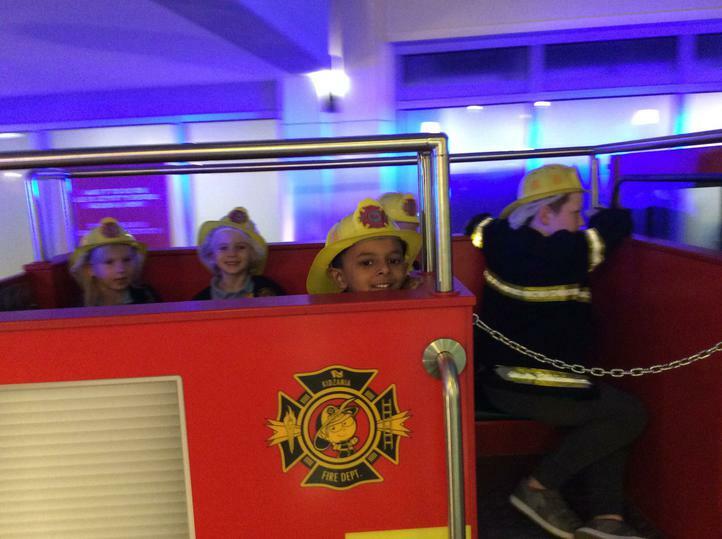 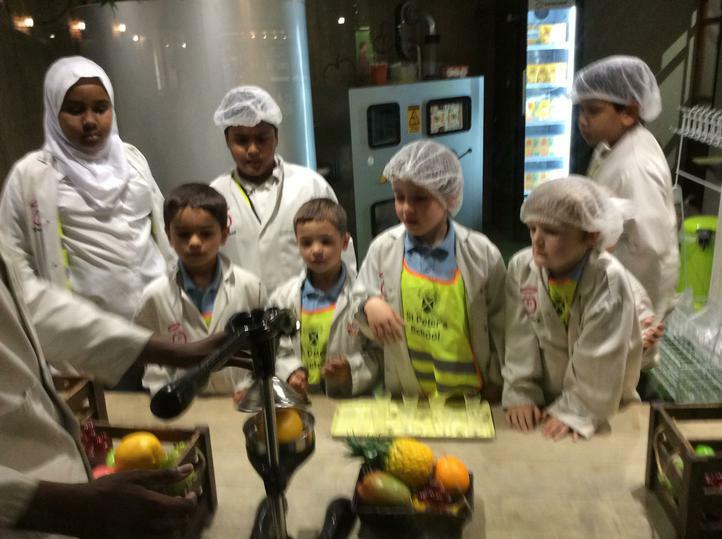 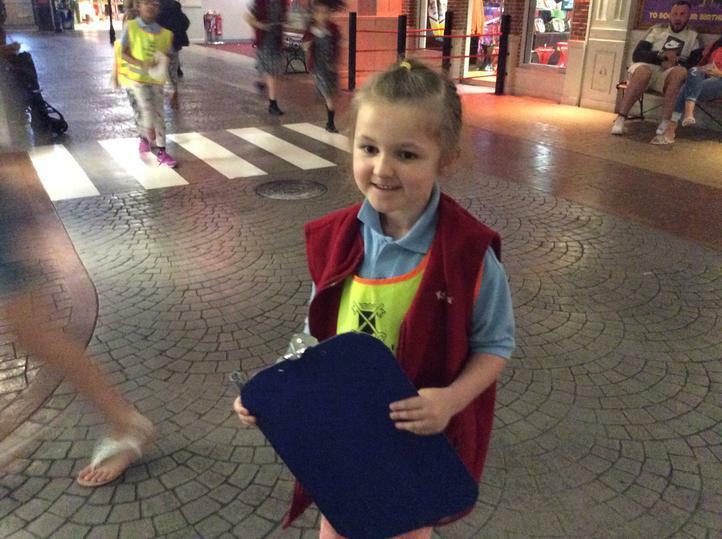 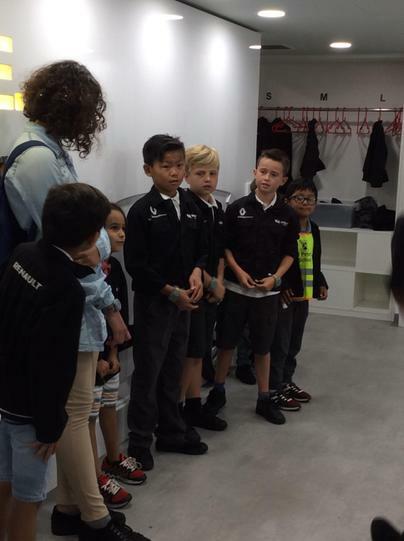 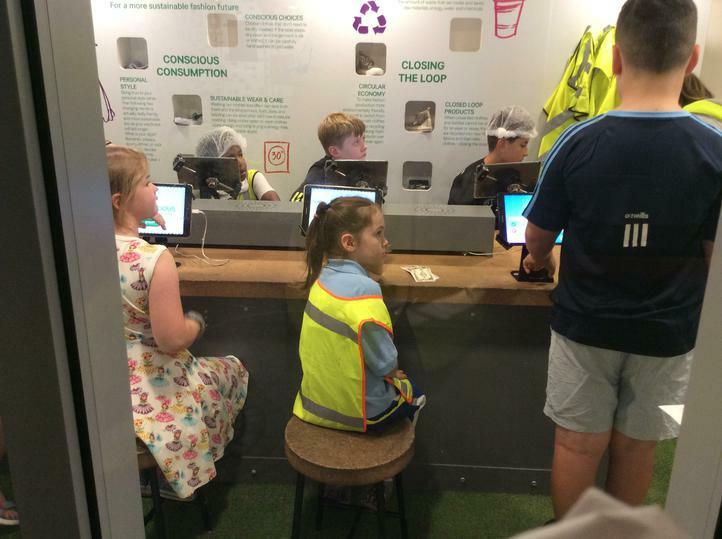 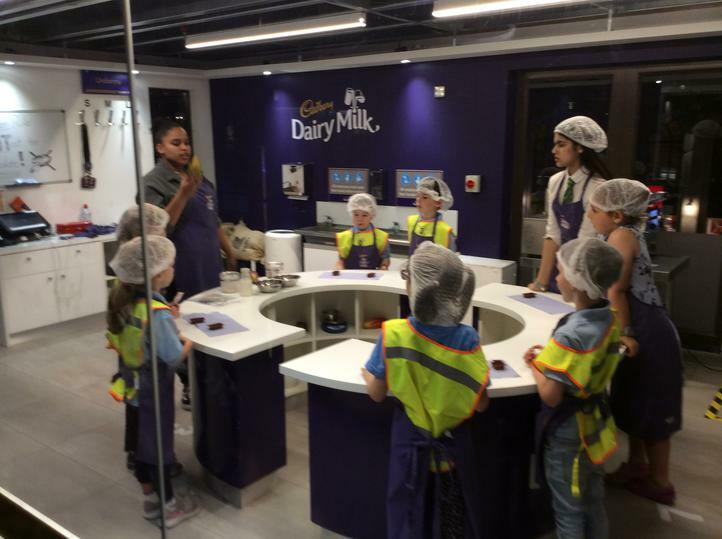 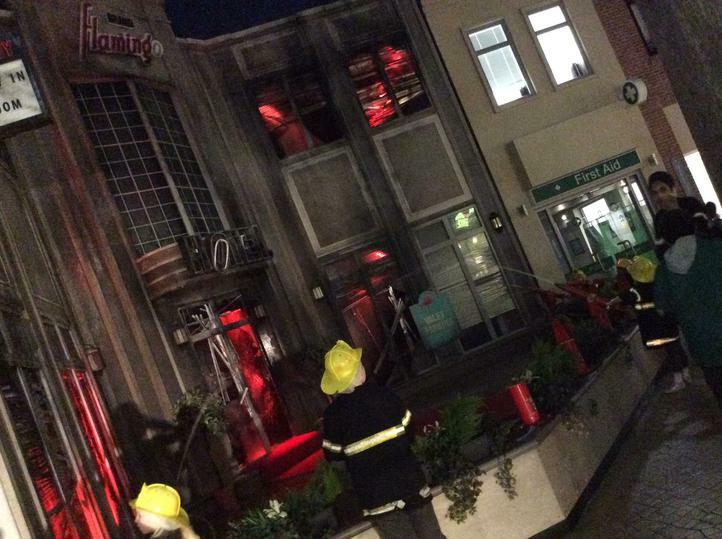 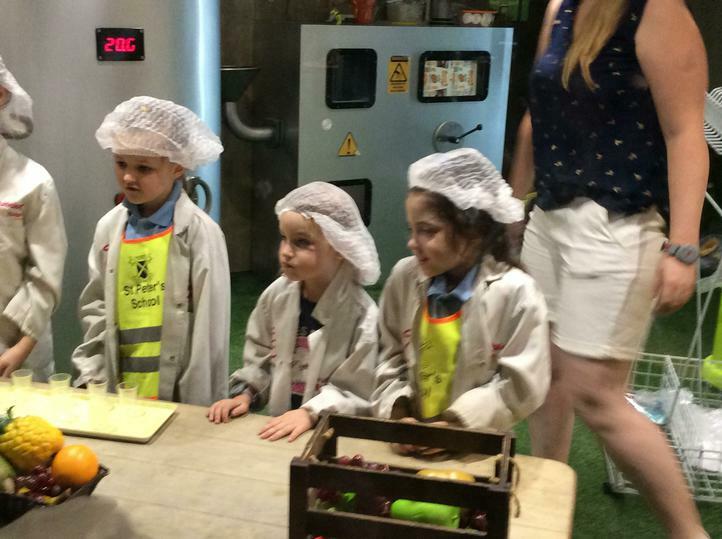 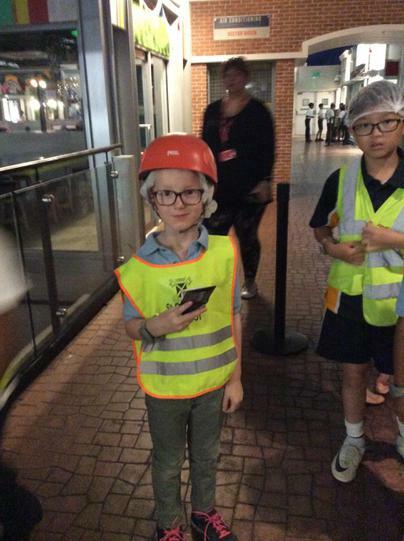 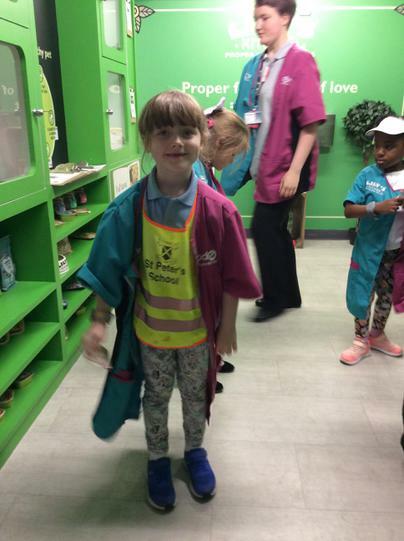 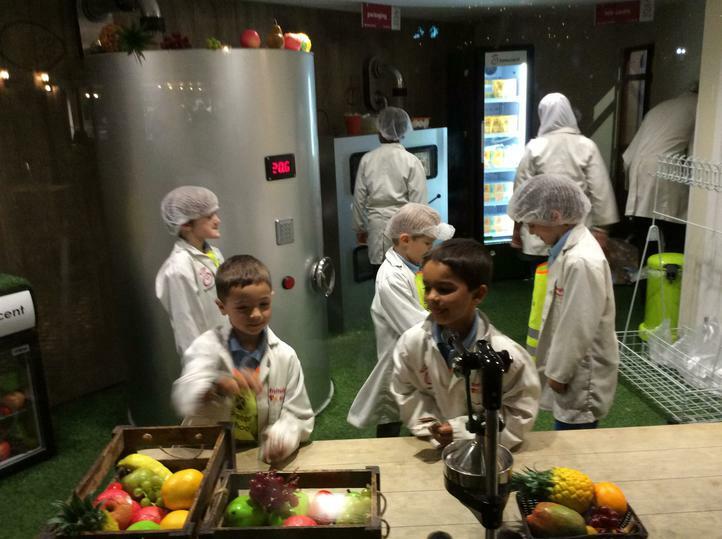 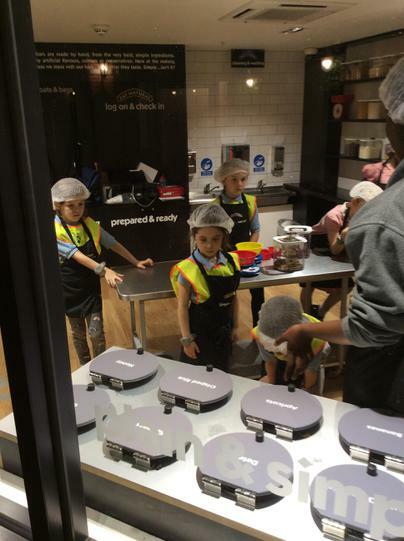 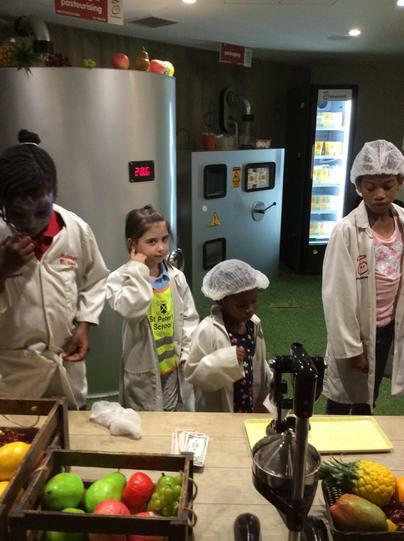 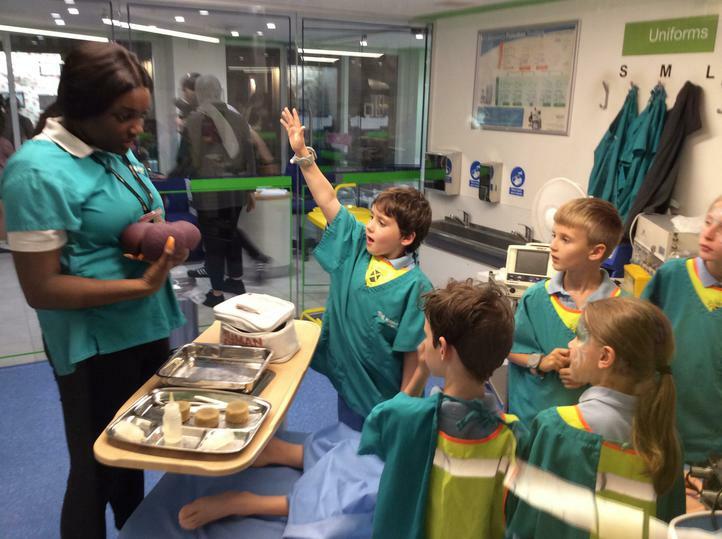 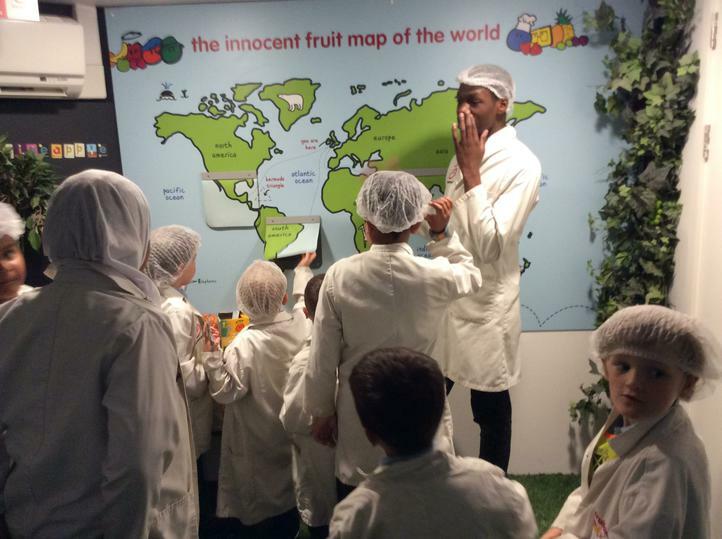 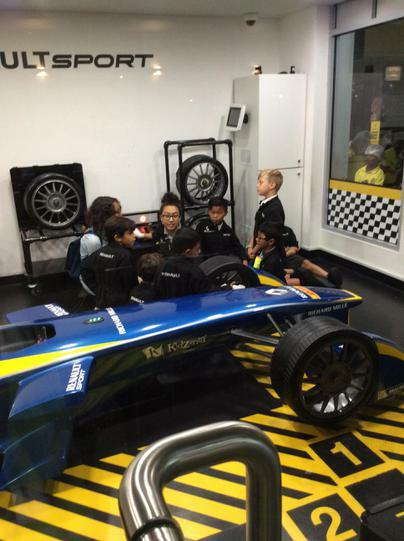 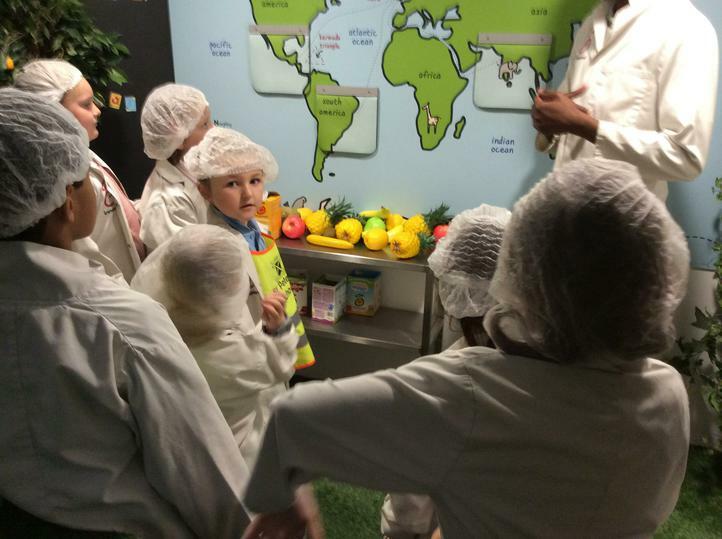 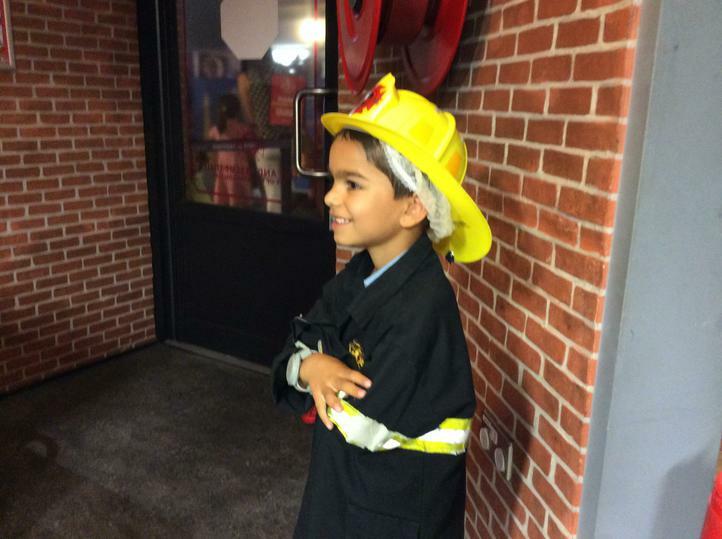 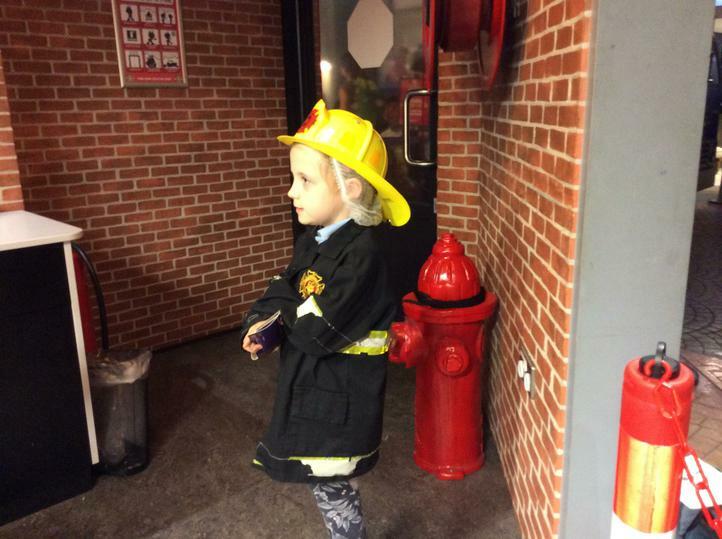 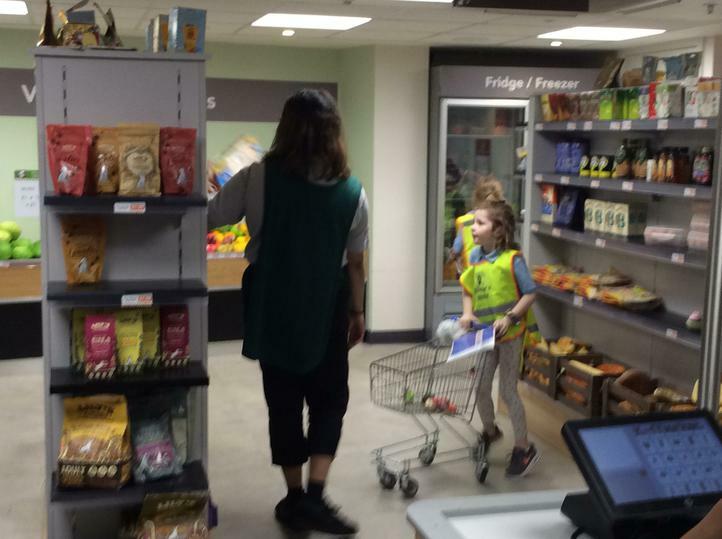 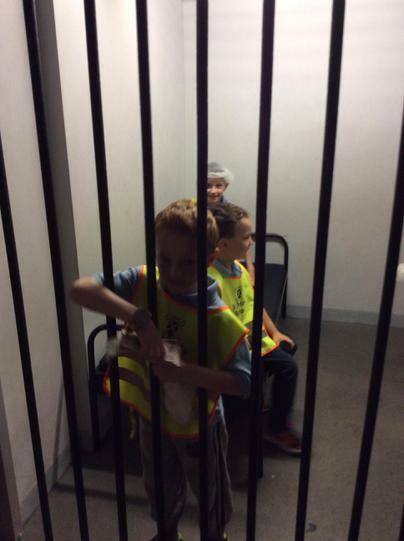 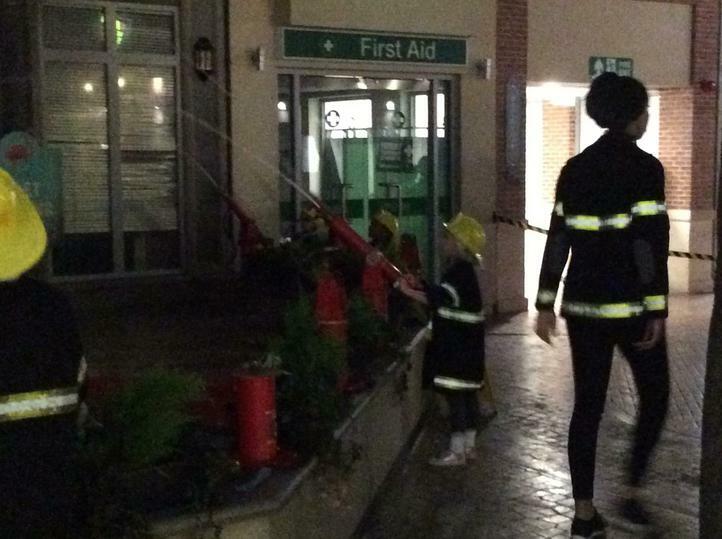 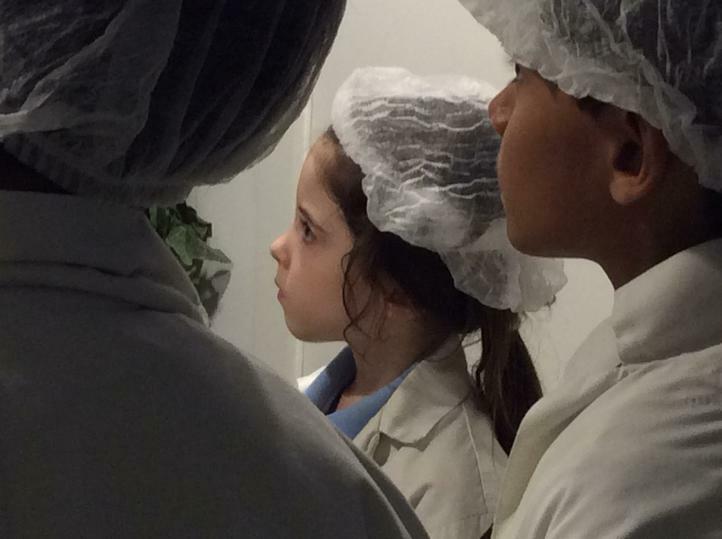 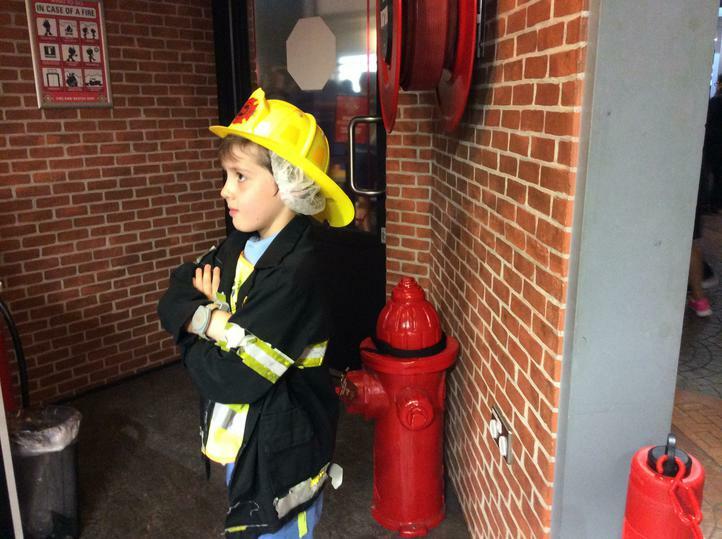 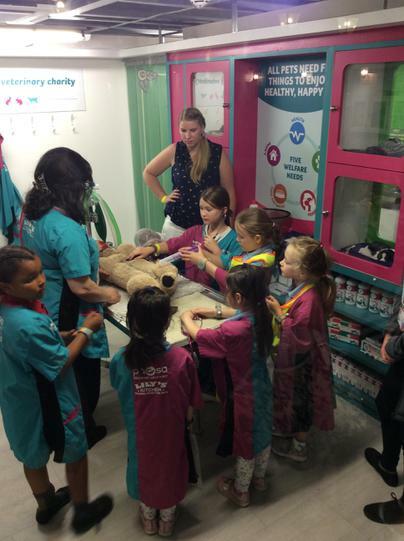 We had a fantastic time at Kidzania last week! 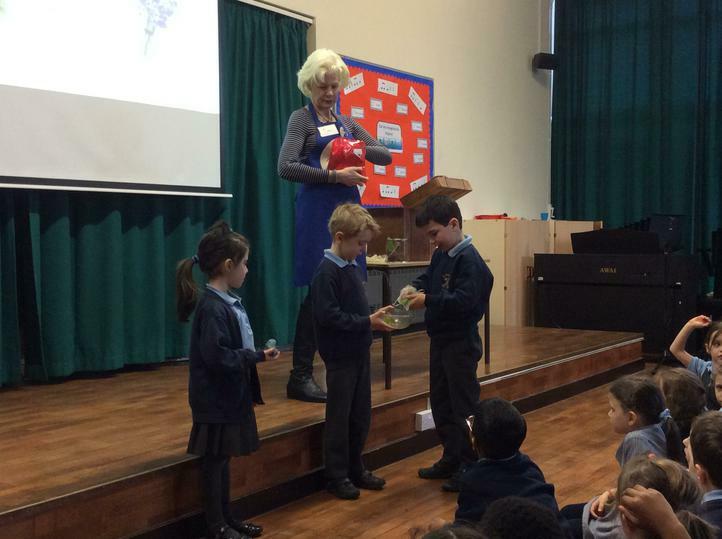 Have a look at some of things we got up to. 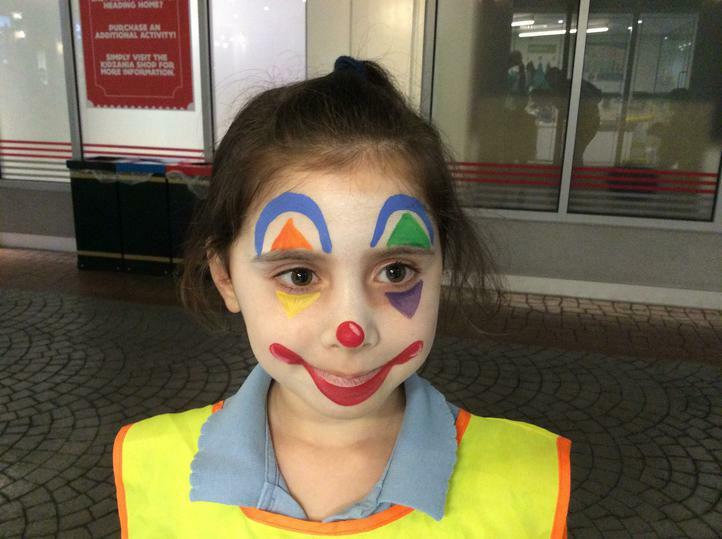 We had so much fun at the Sponsored Bounce! 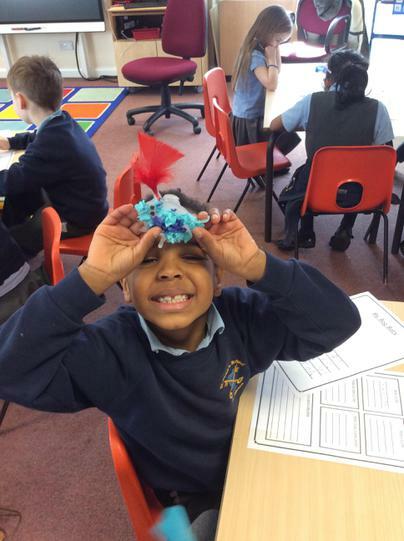 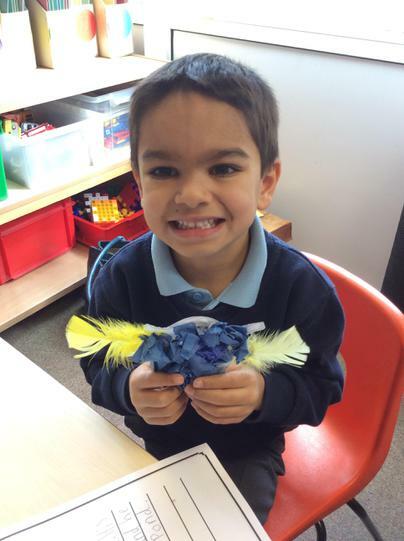 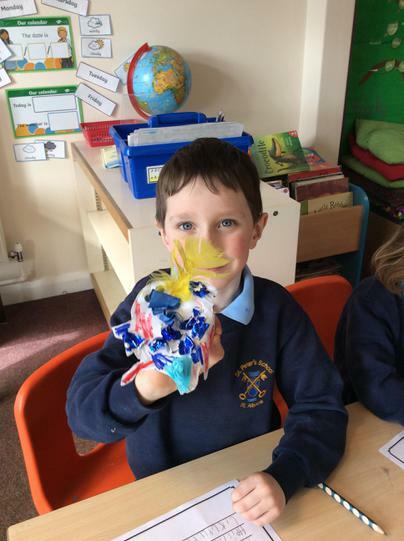 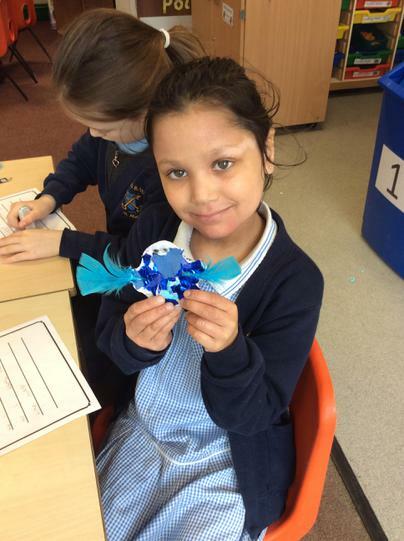 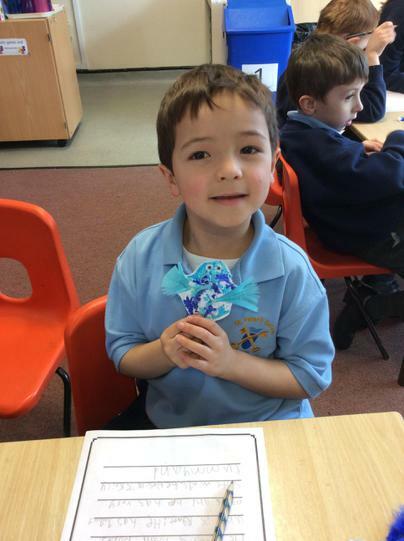 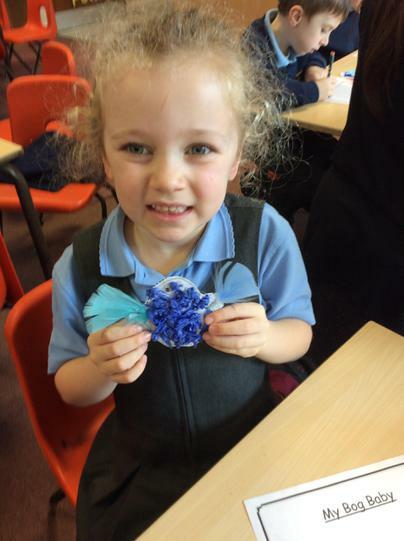 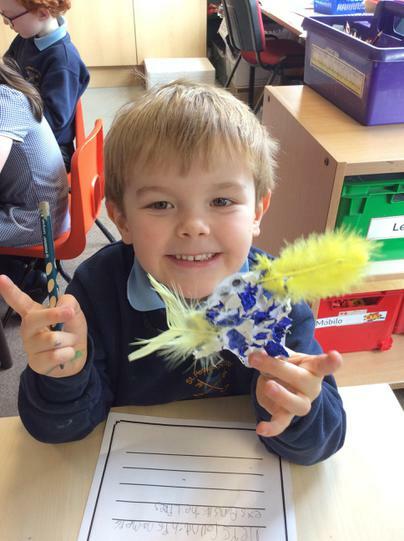 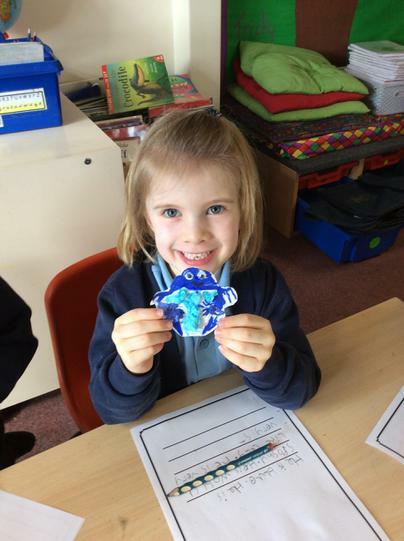 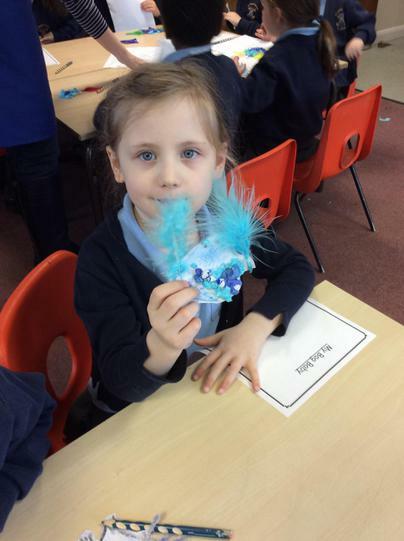 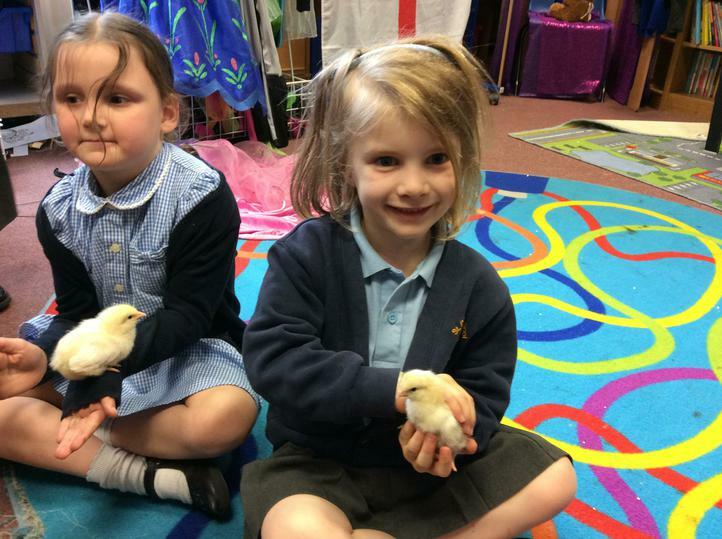 We have loved our topic 'Spring has Sprung' this term! 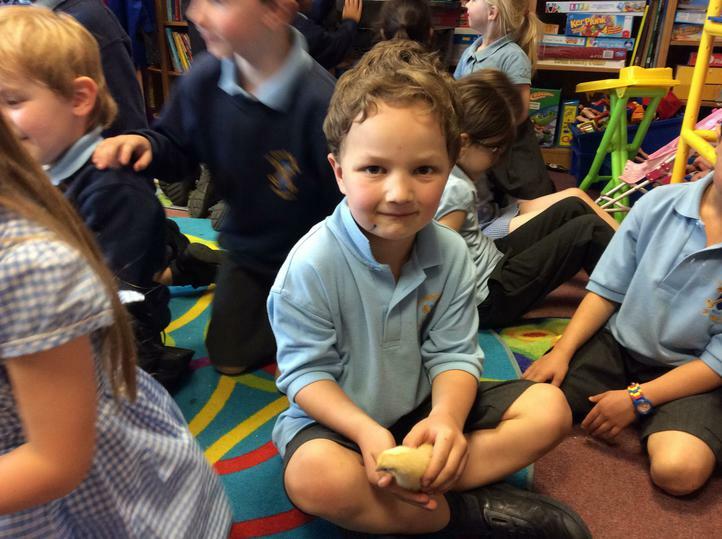 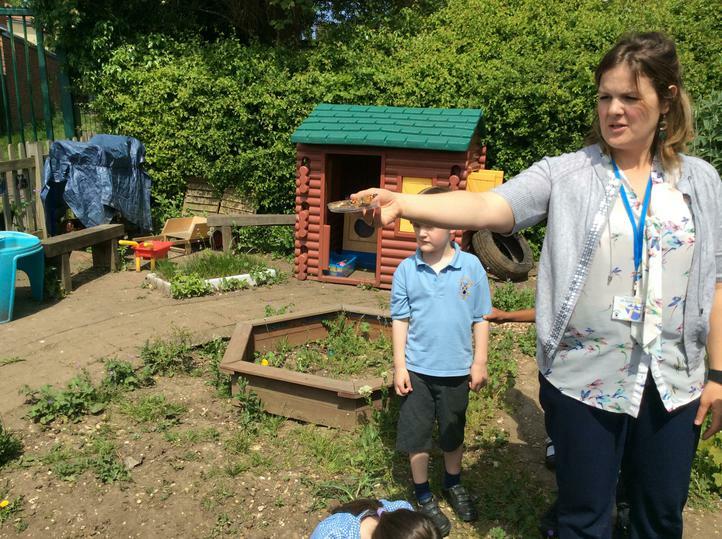 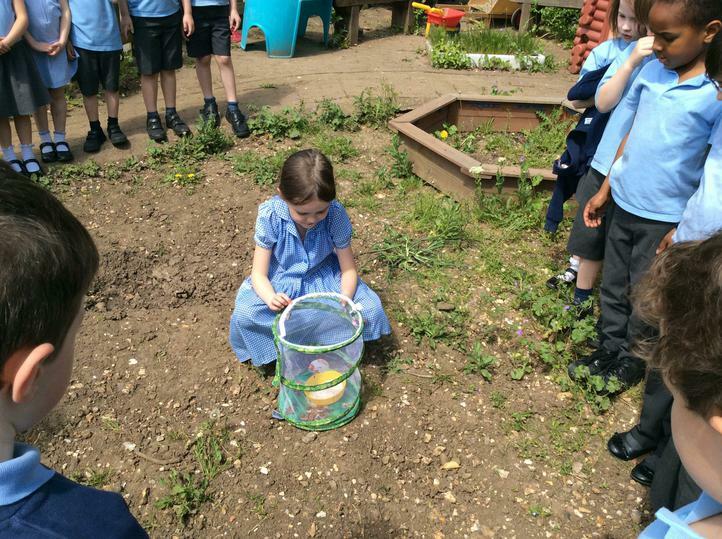 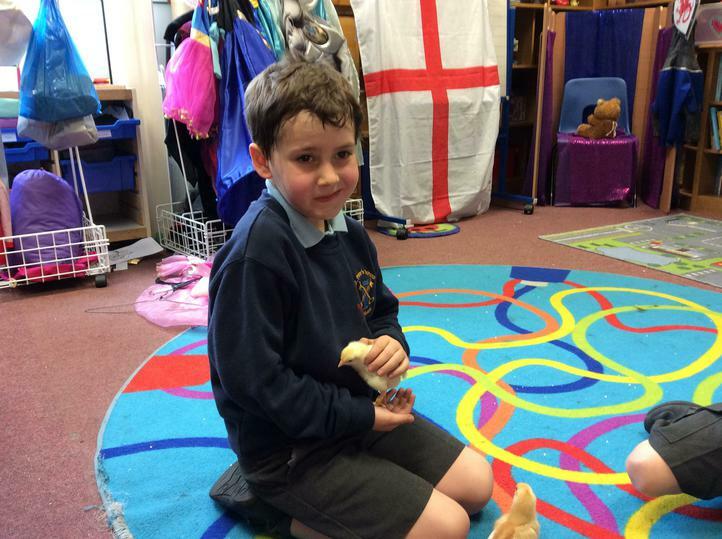 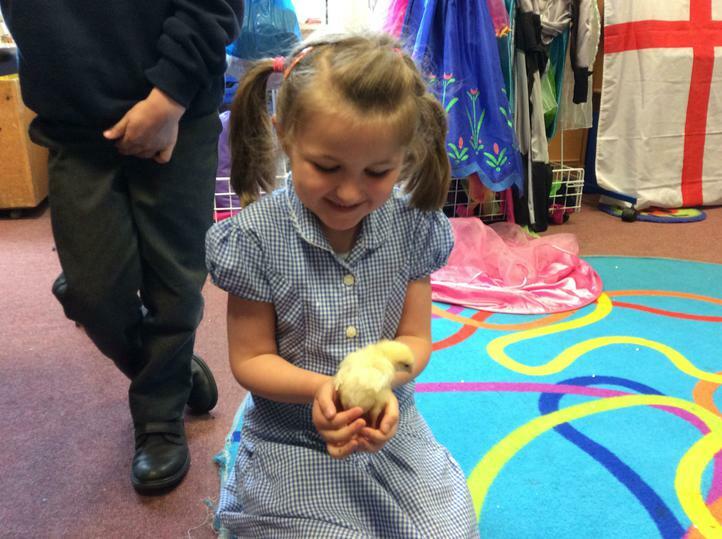 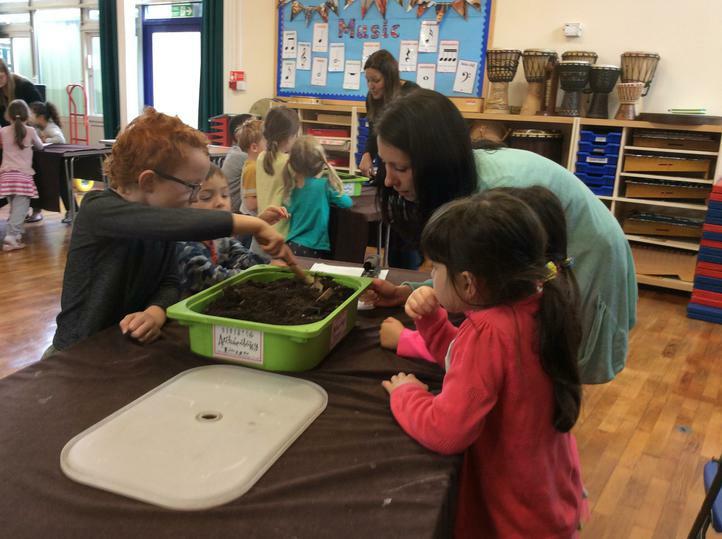 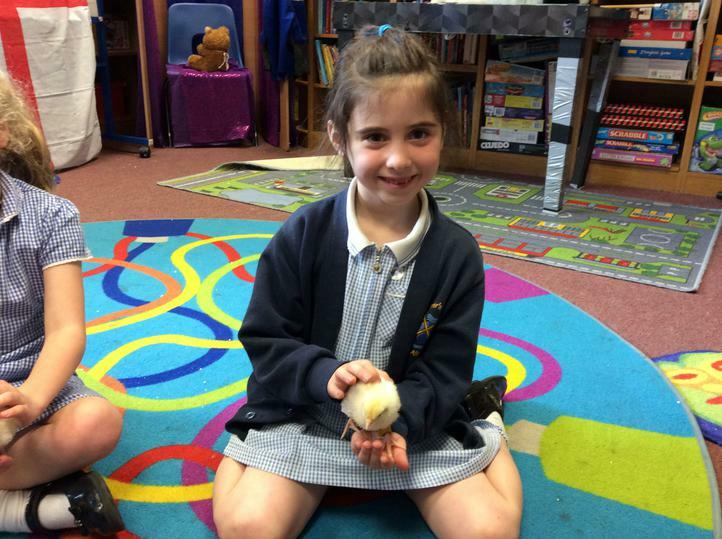 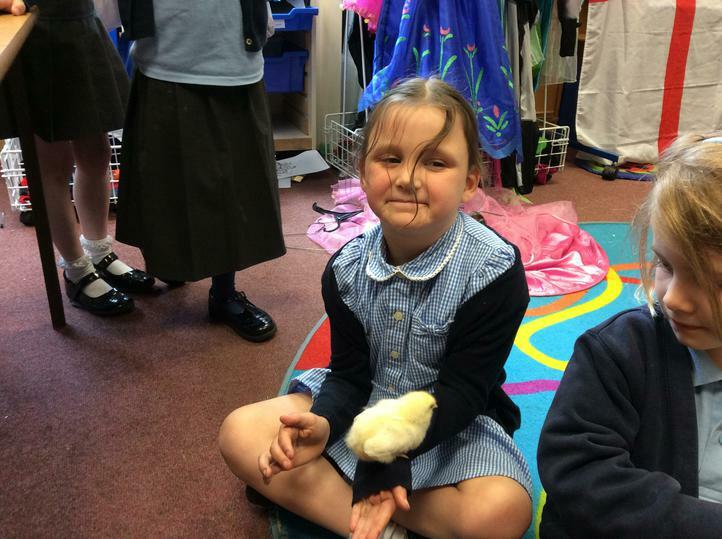 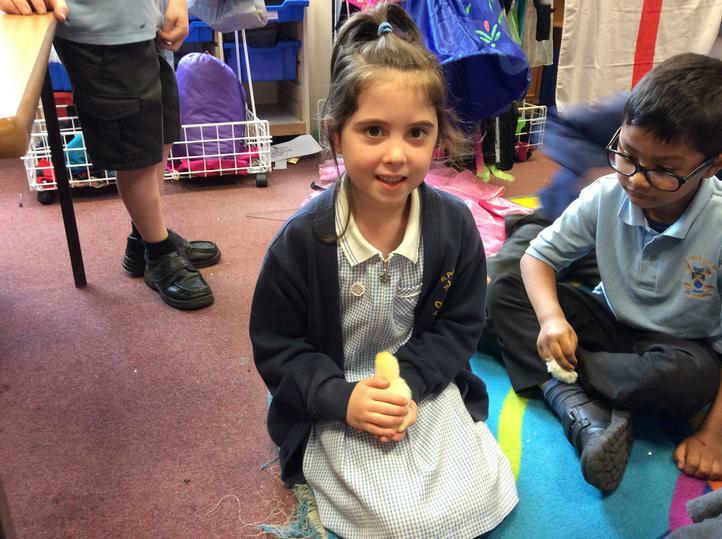 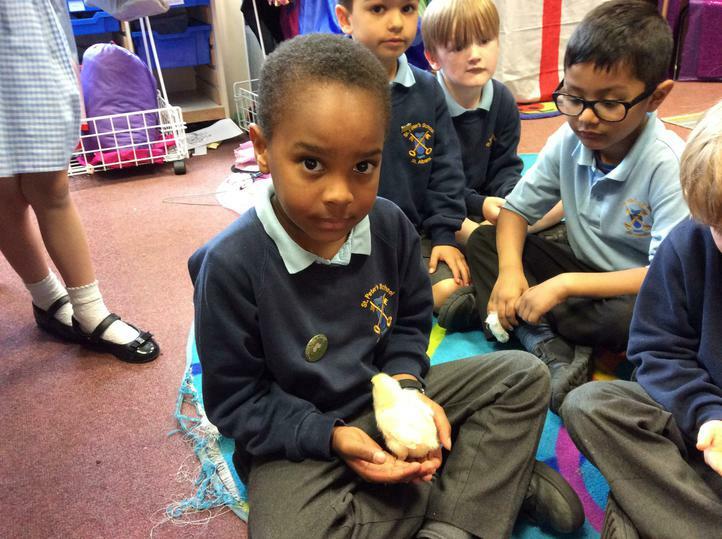 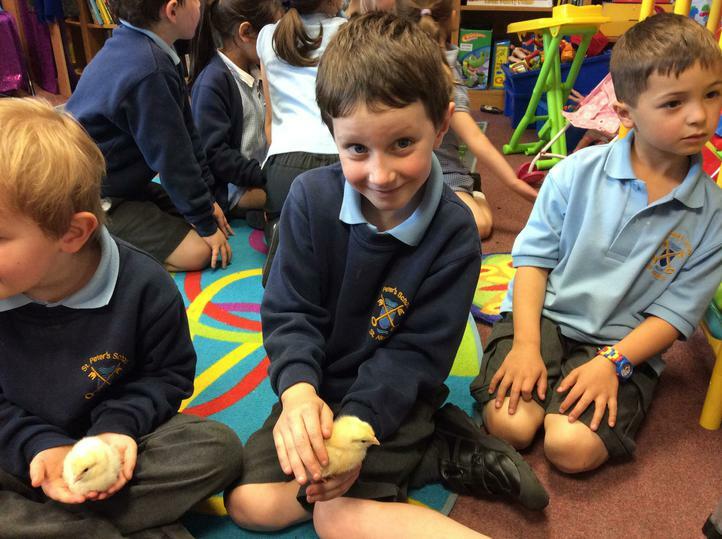 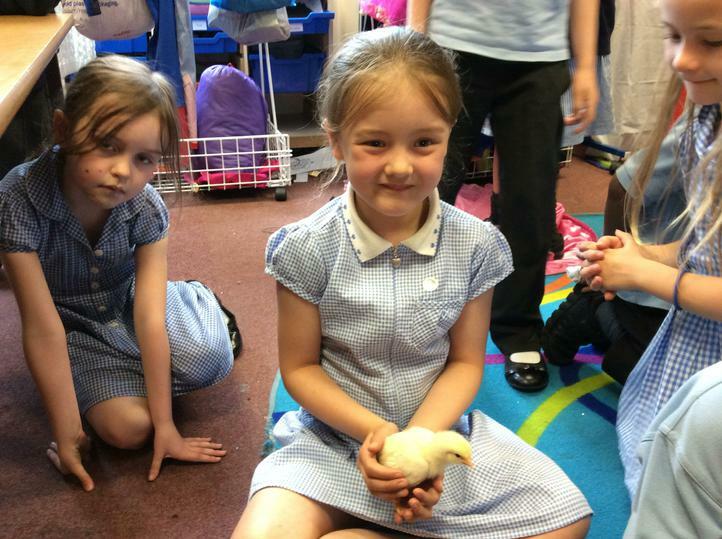 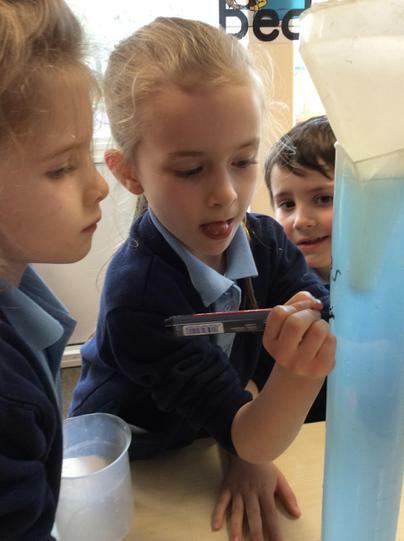 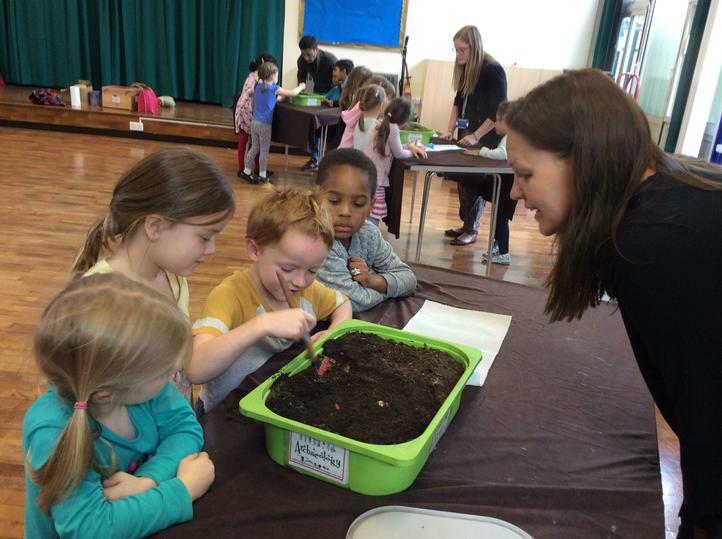 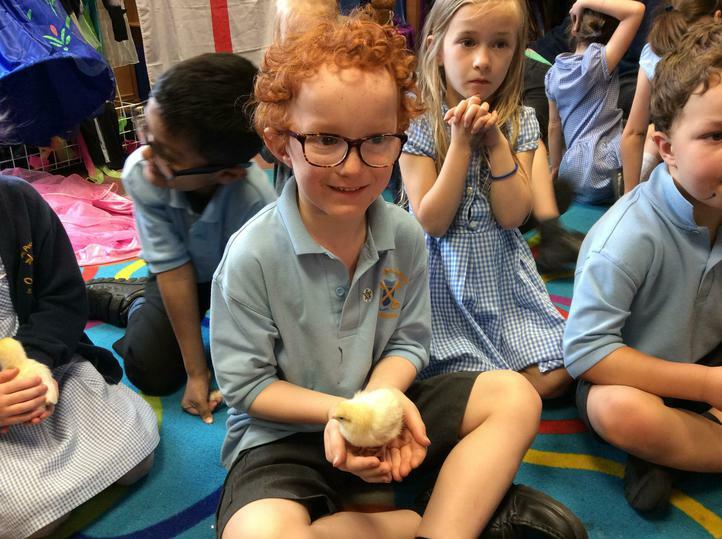 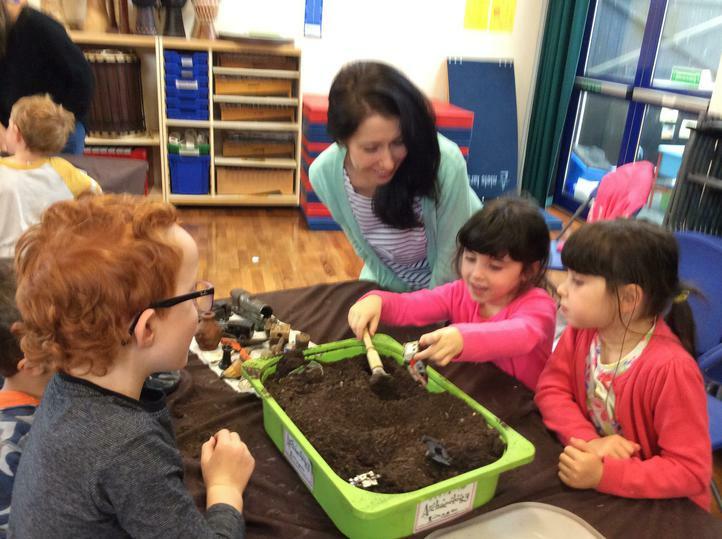 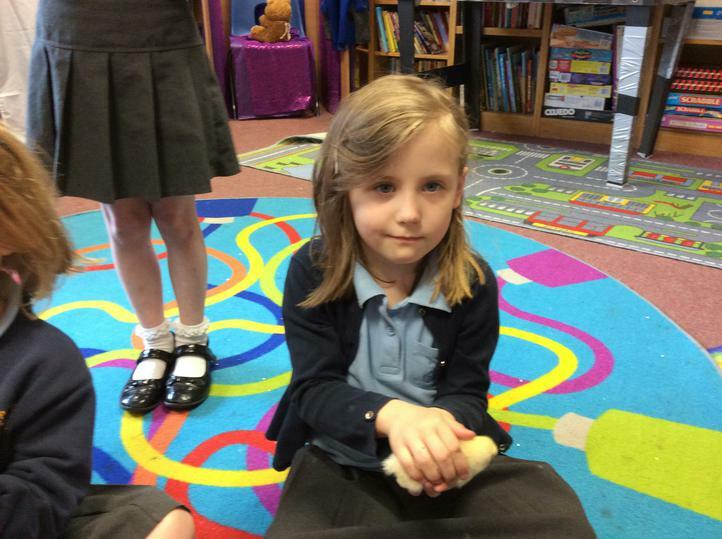 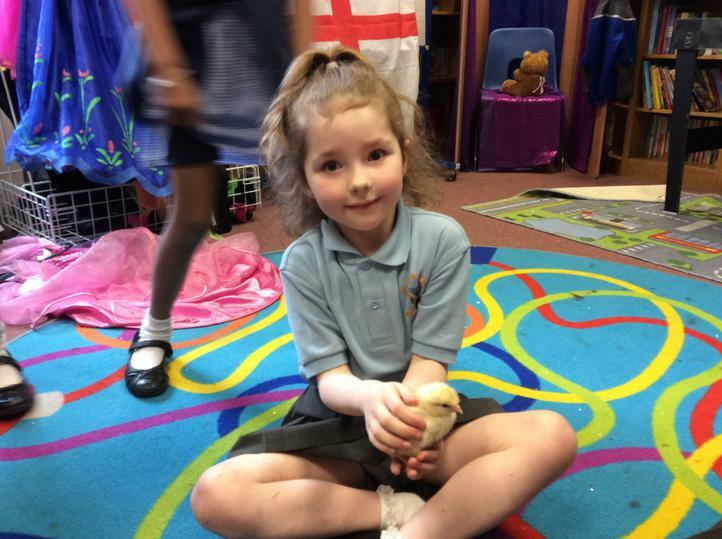 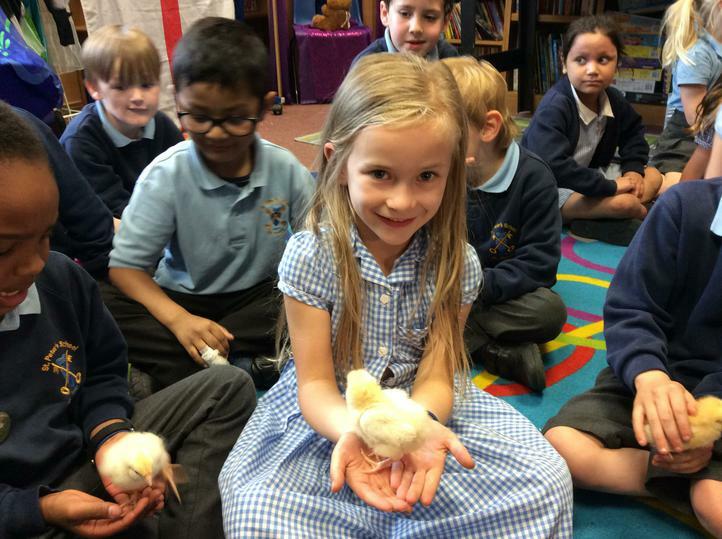 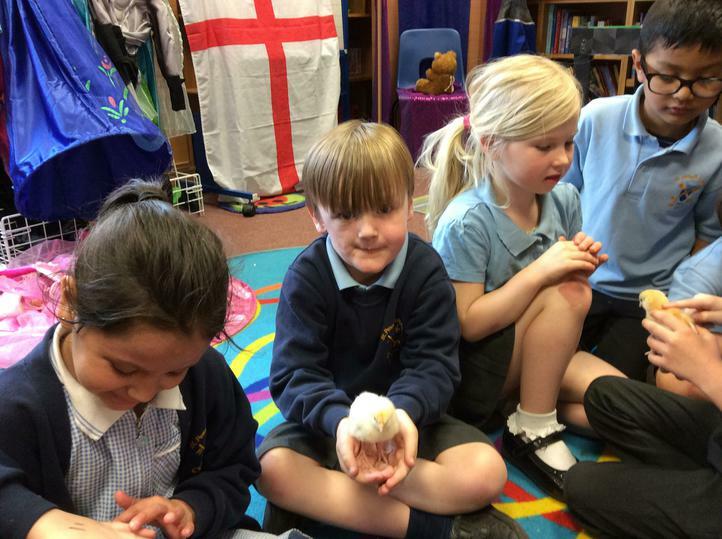 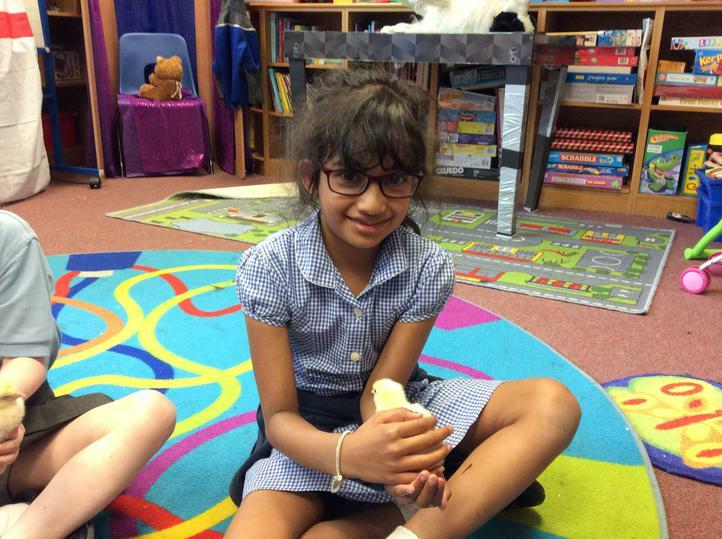 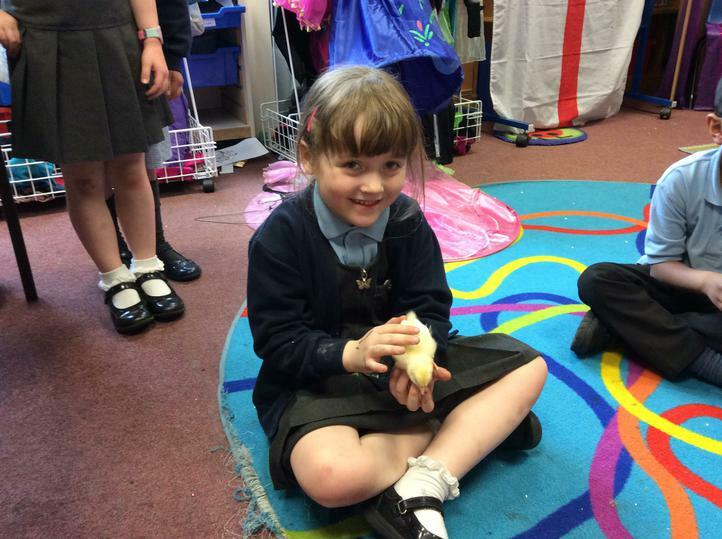 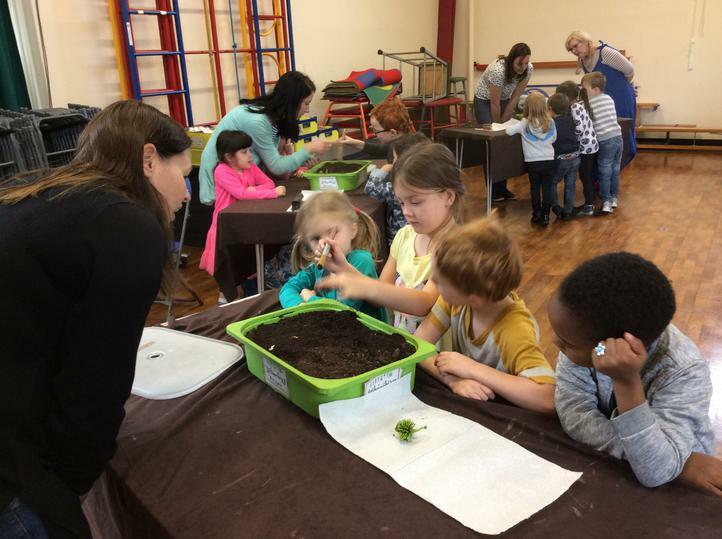 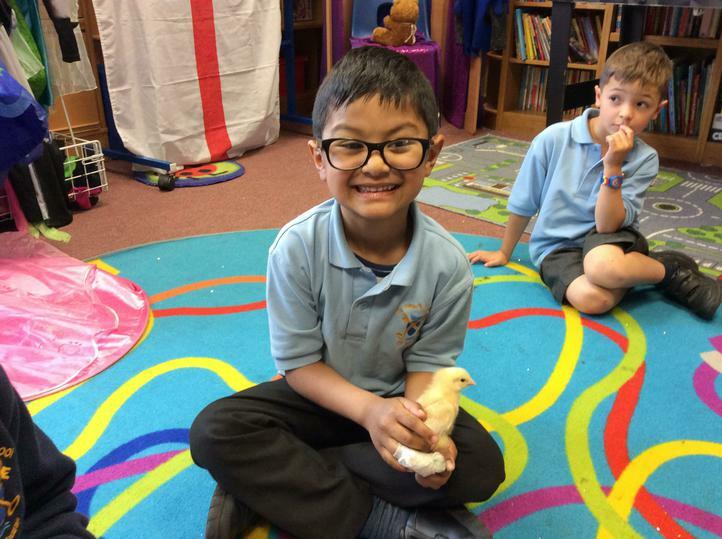 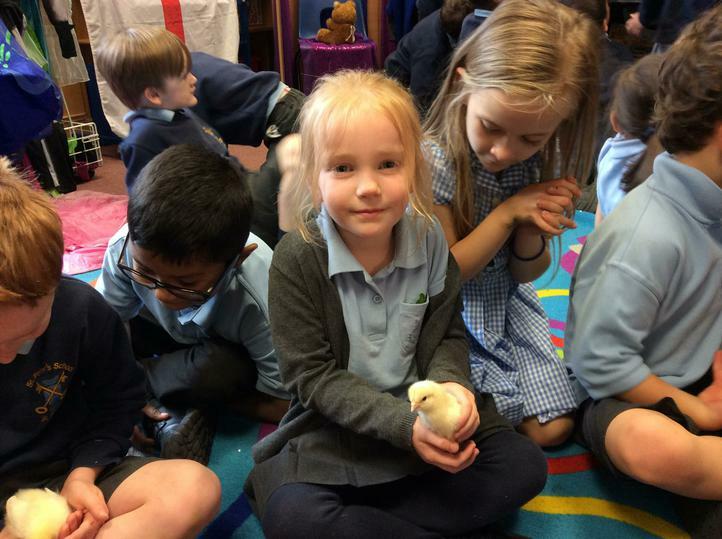 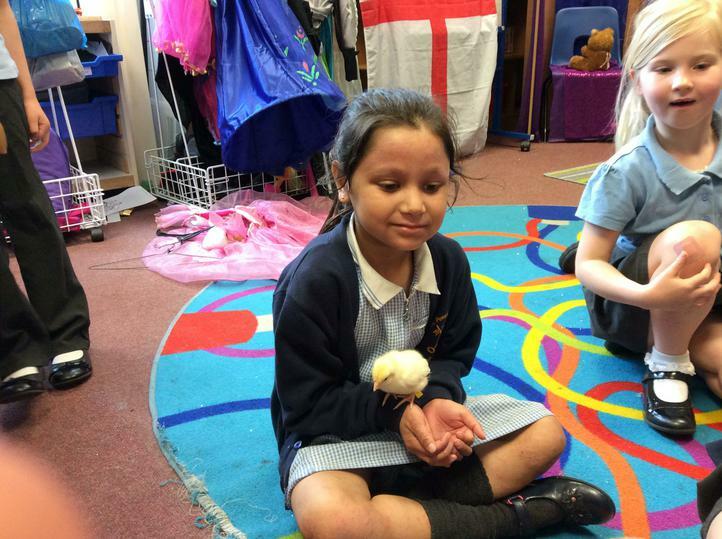 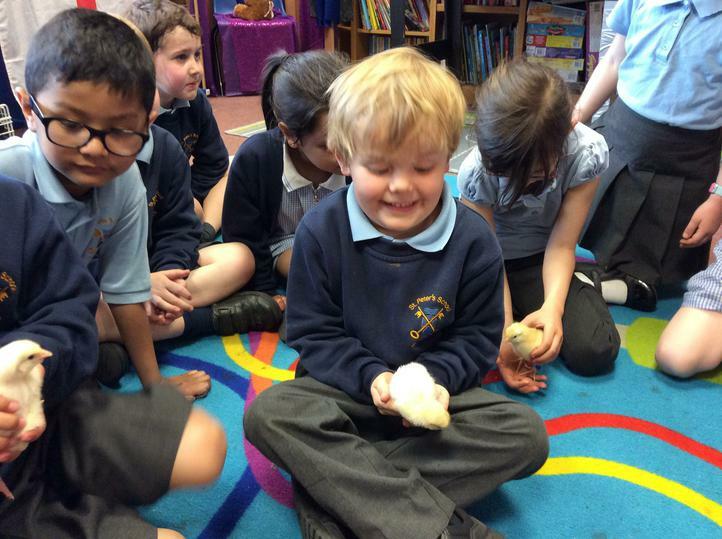 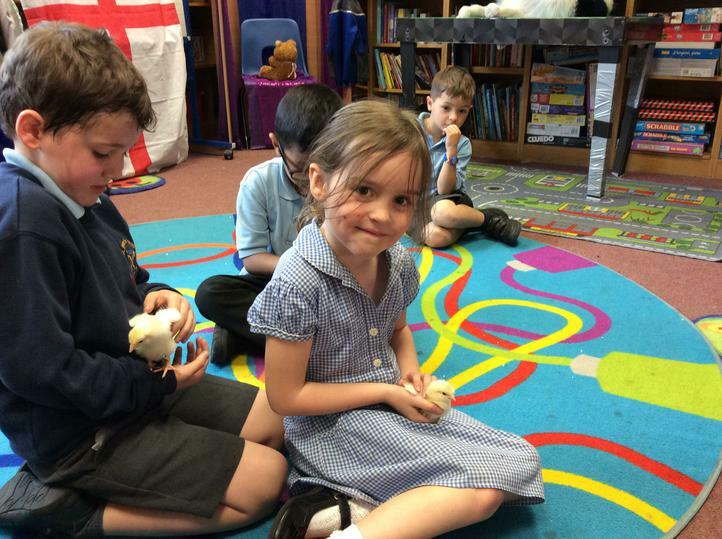 We particularly enjoyed watching the chicks hatch and getting to hold them as well as witnessing the life cycle of a butterfly and releasing our butterflies into the garden. 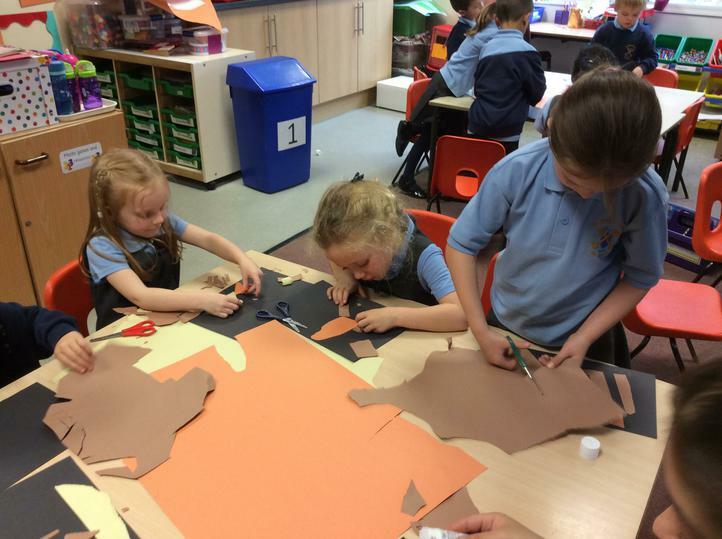 This week we began a new Design and Technology project. 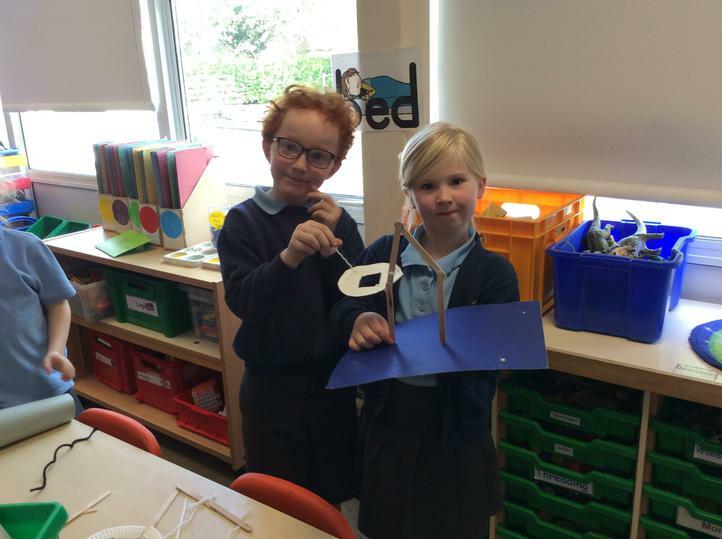 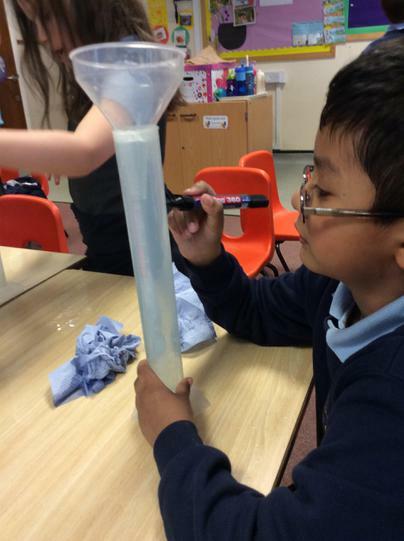 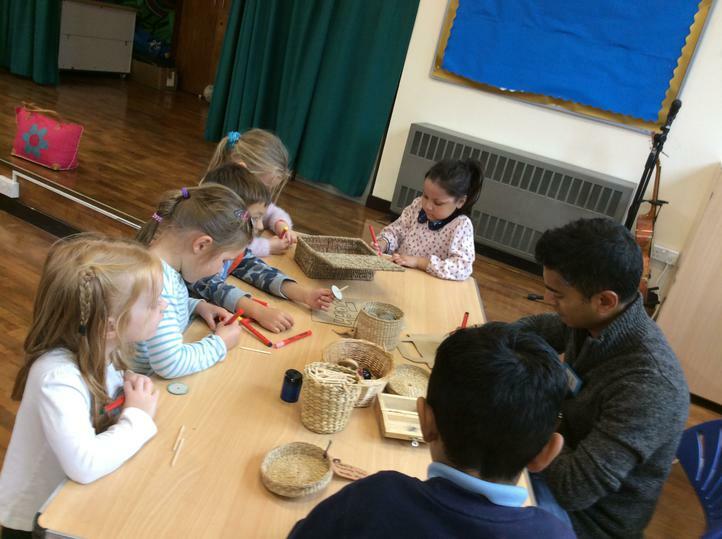 We will be creating models of different playground equipment, concentrating on how to strengthen supports and which materials to choose to suit different purposes. 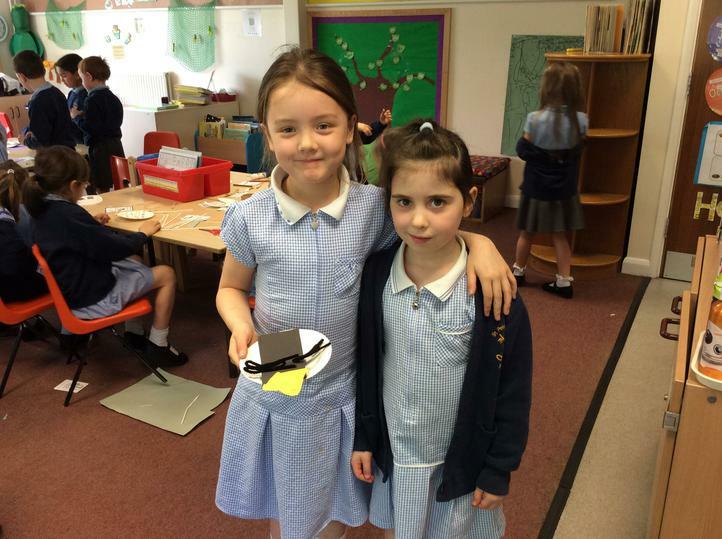 These models were our first attempts - watch this space for the final products! 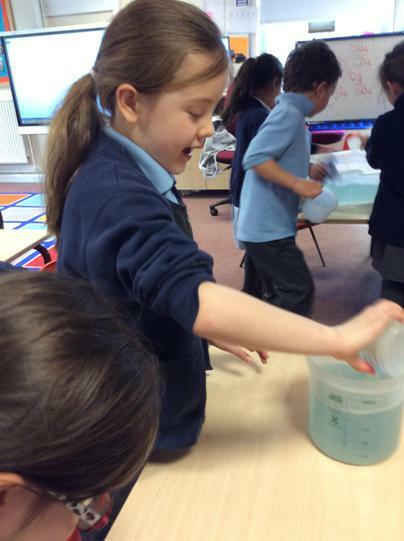 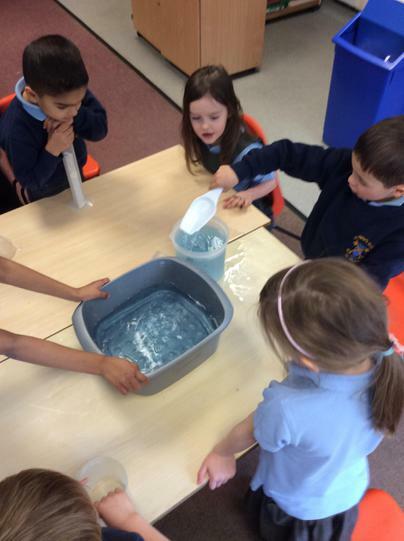 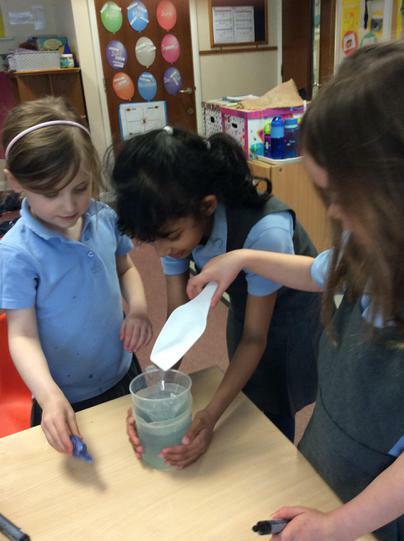 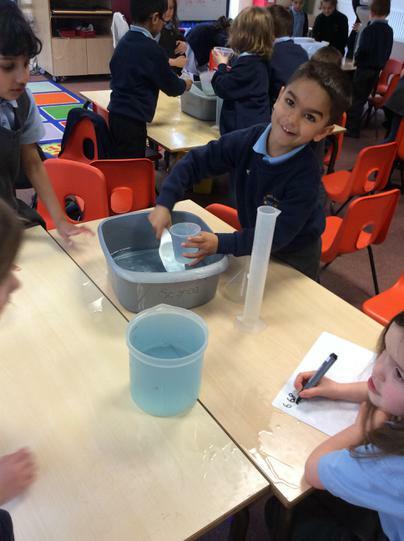 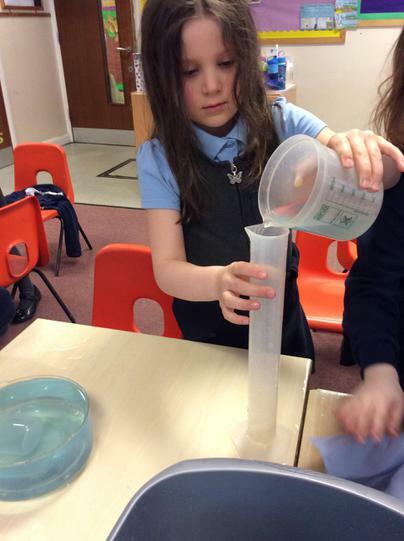 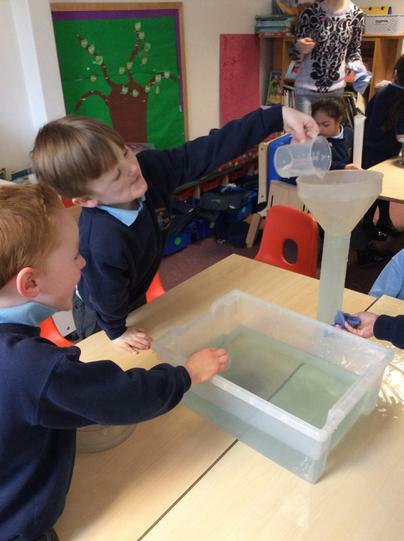 We have really enjoyed learning about capacity and getting soaking wet doing it! 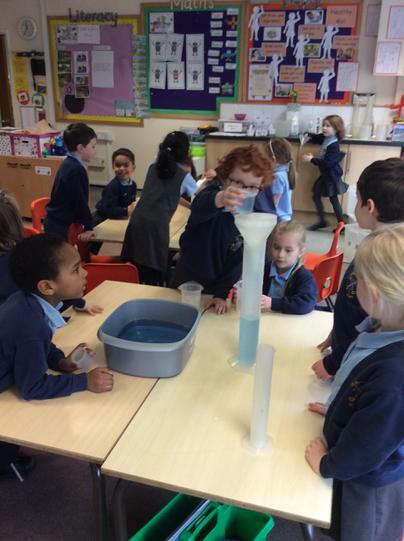 We measured how many cups it would take to fill different containers and began to explore the standard units used to measure capacity. 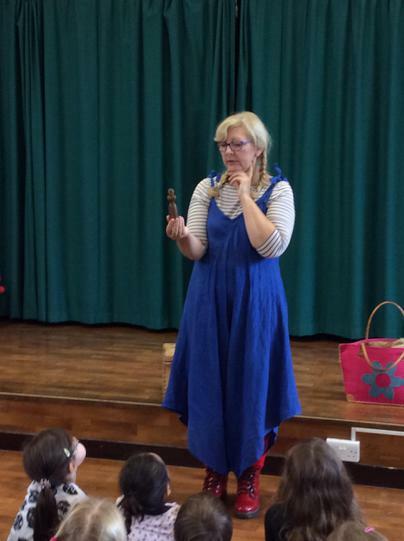 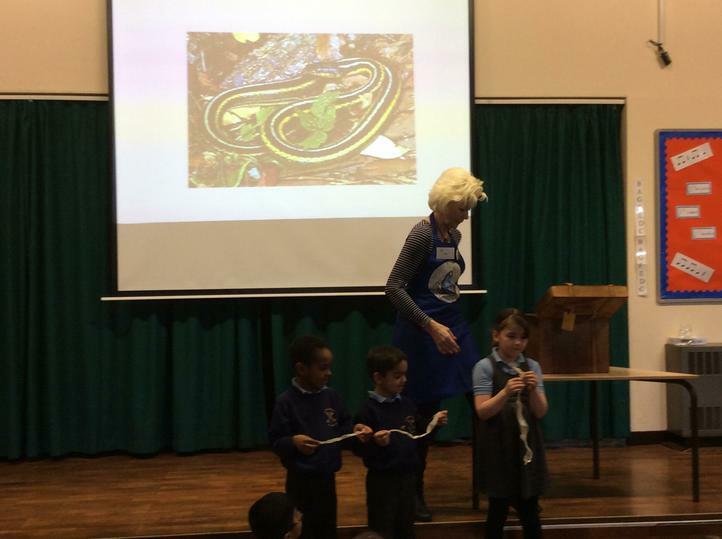 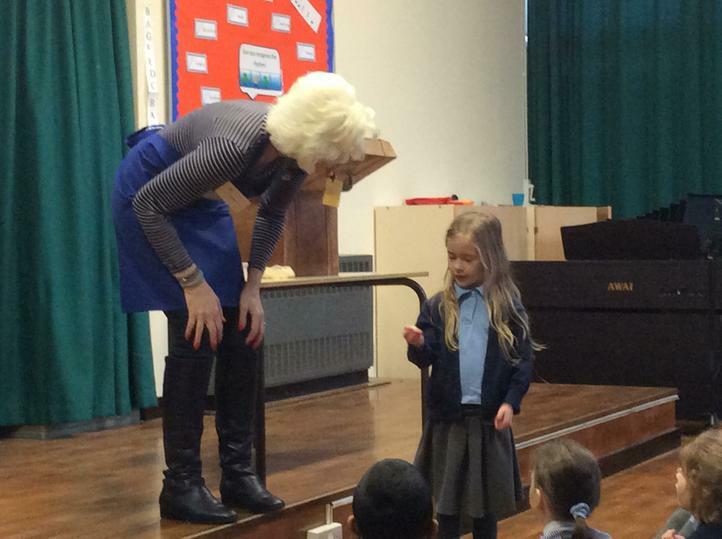 We had a great time in Writing Week and especially loved the visits from other authors! 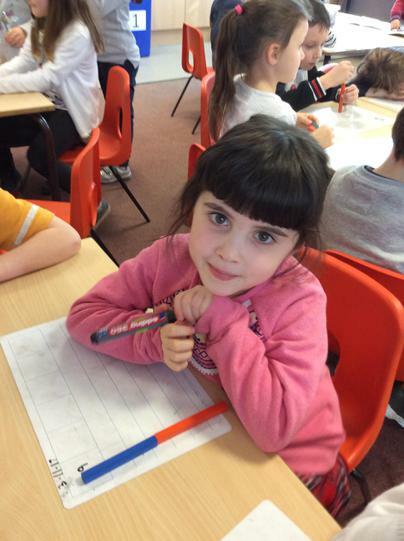 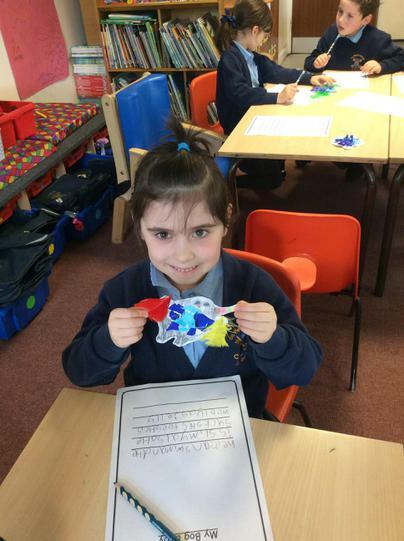 Thank you for coming in to class and looking at our writing; we worked hard and were very proud to show you! 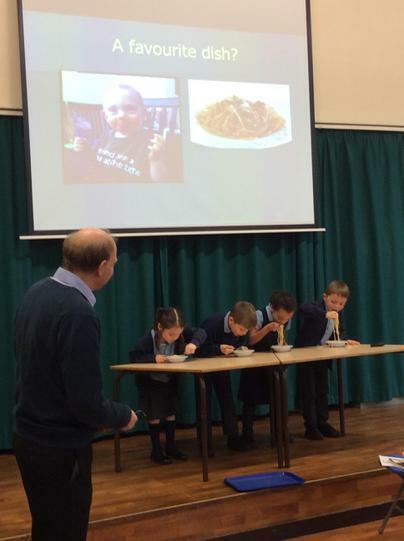 On Thursday, the ECadets from Year 6 came to visit us and teach us about how to stay safe online. 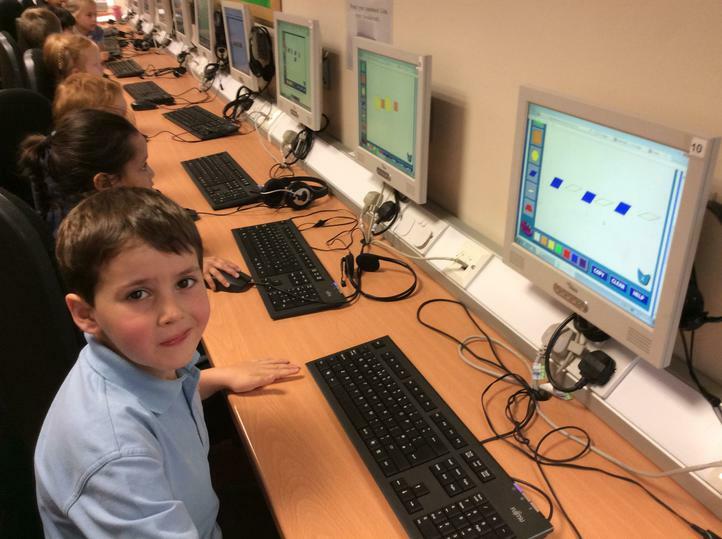 If you were not able to attend the Esafety parent meeting Mrs Zawadzka hosted, please do take the time to look at the slides and talk to your children about this important issue. 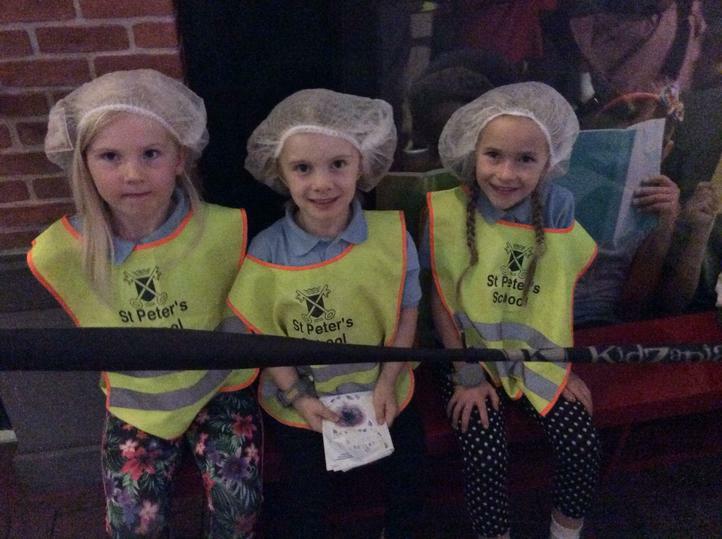 This week we have been lucky enough to go on two trips! 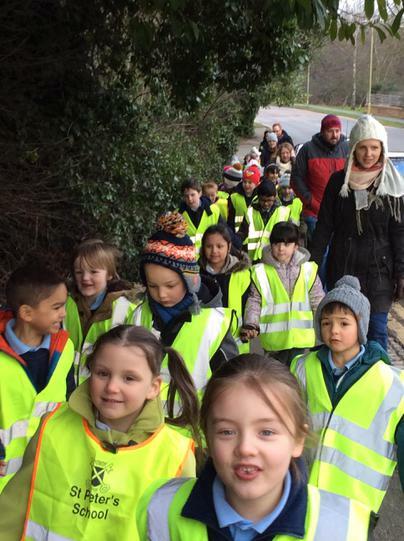 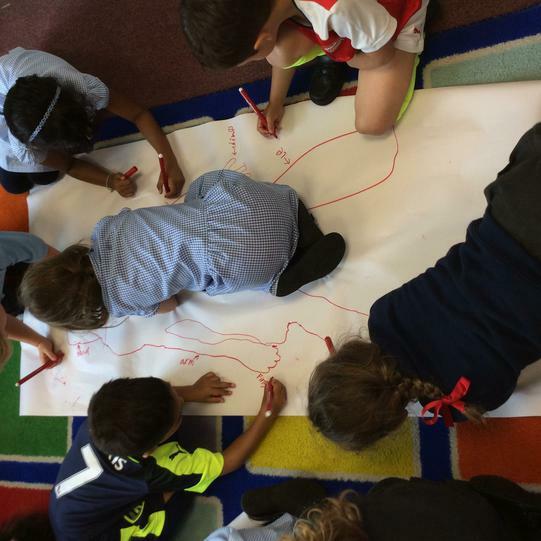 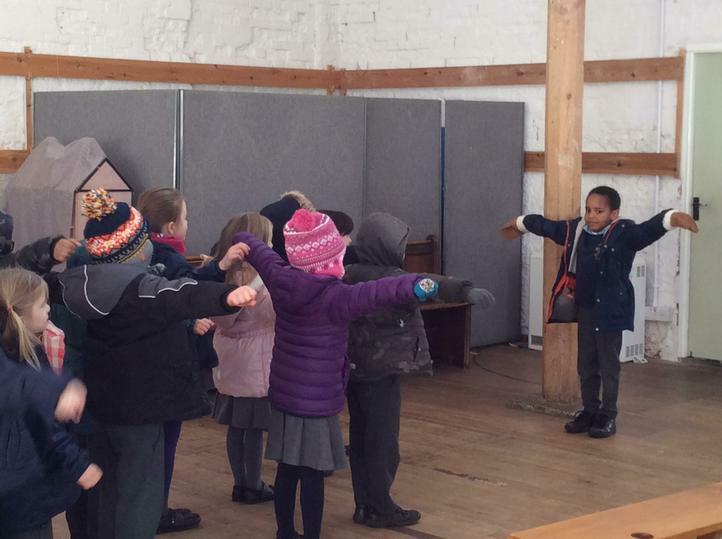 First of all, we went for a walk to Verulamium Park to have a look at our local area and compare the route we walked to maps we have seen. 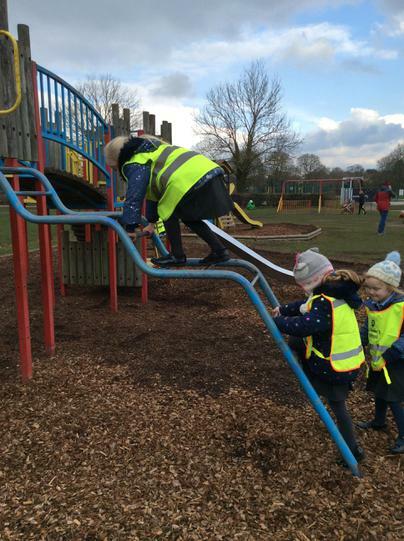 We even got to have a play in the play park! 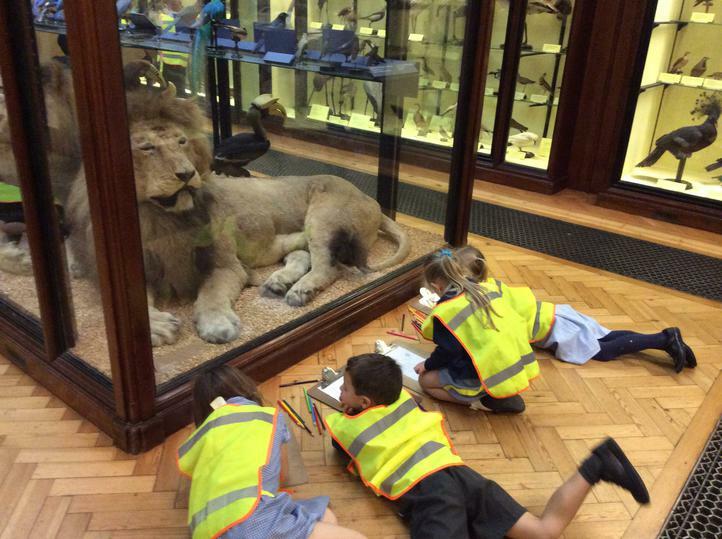 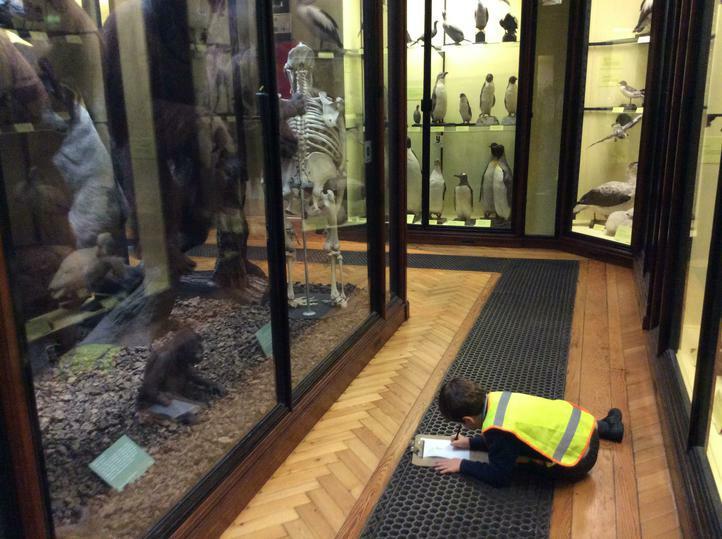 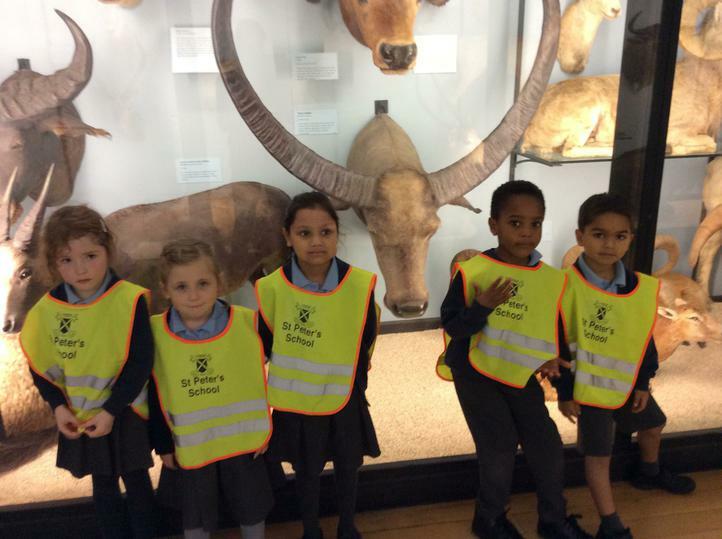 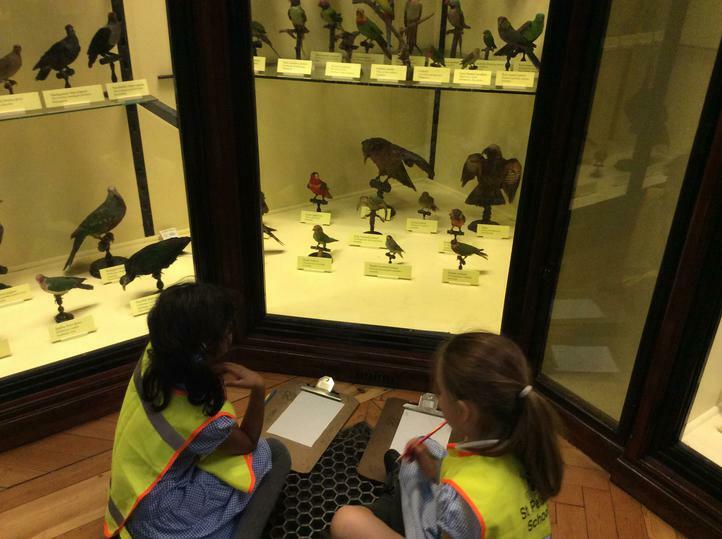 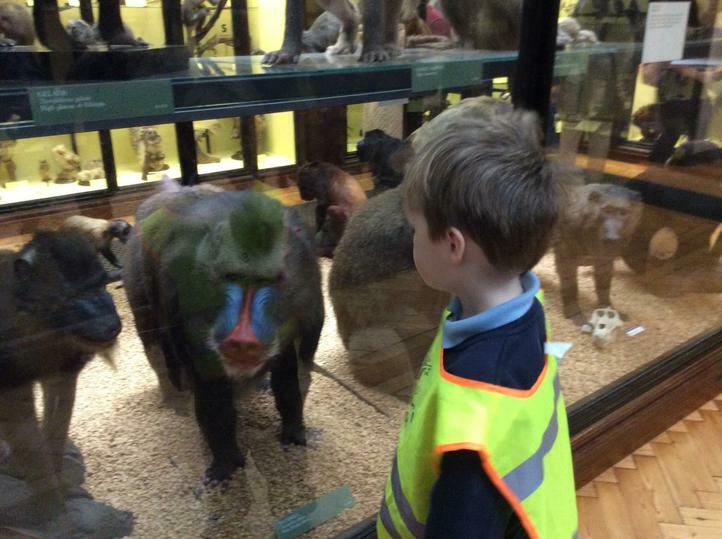 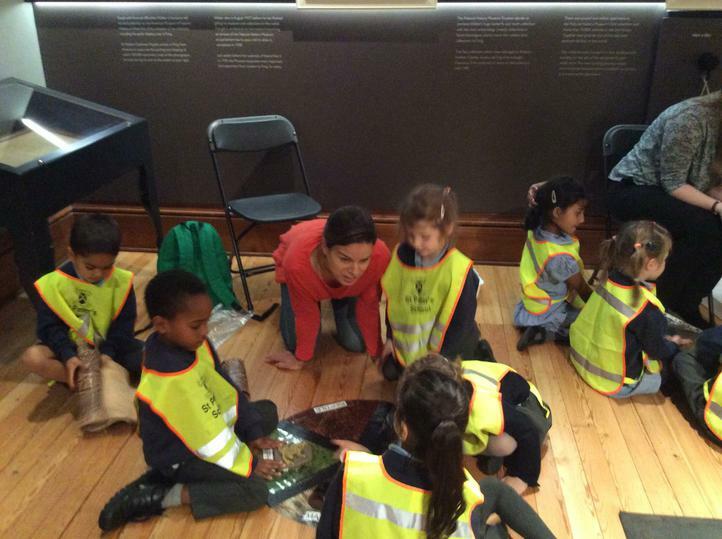 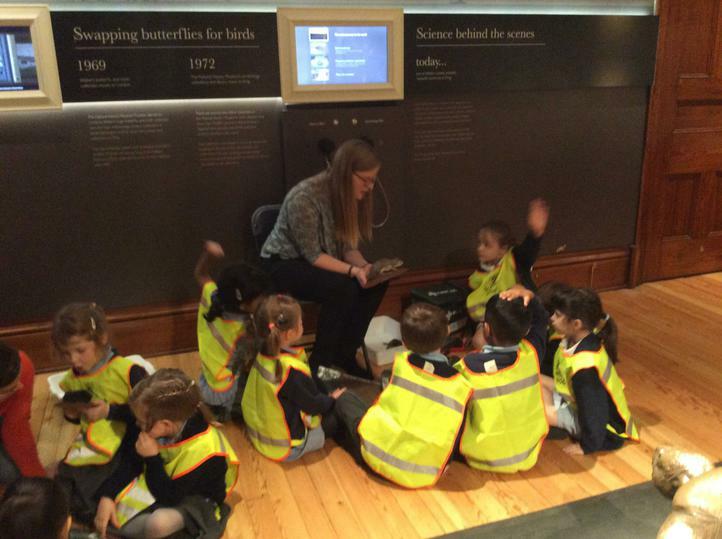 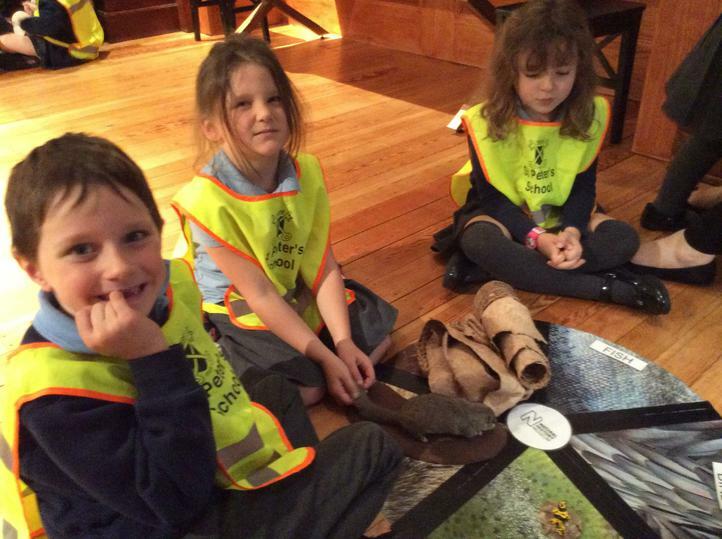 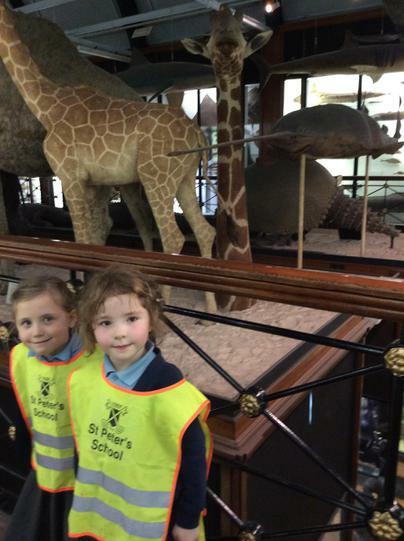 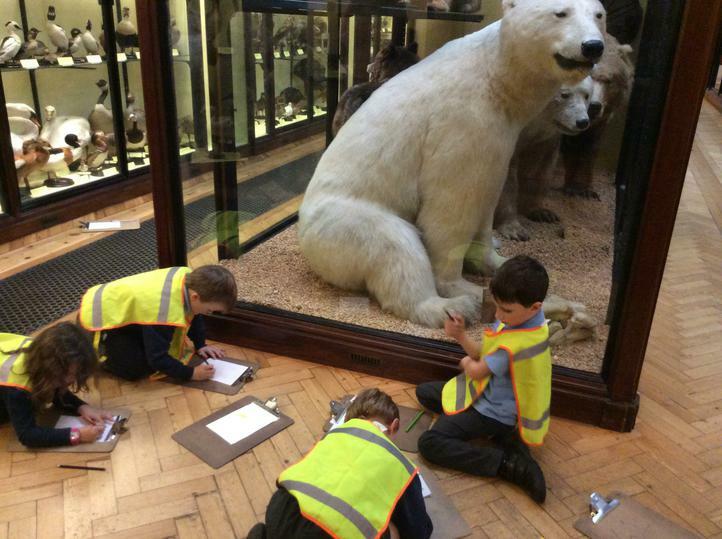 The next day we went to the British Schools Museum in Hitchin. 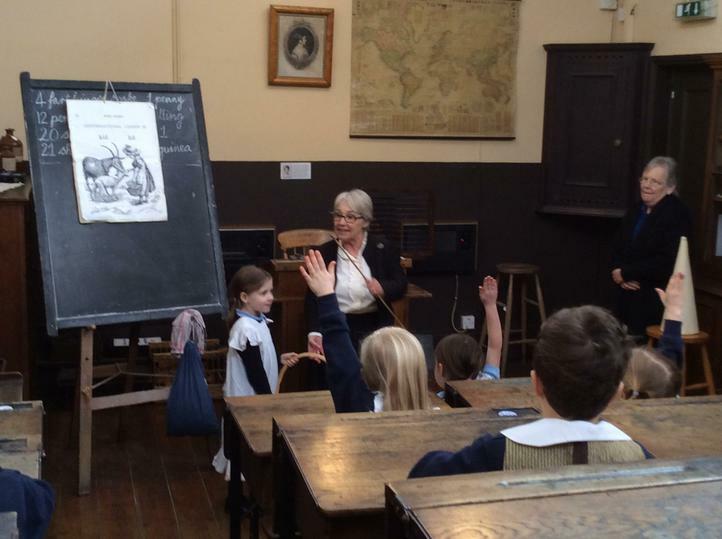 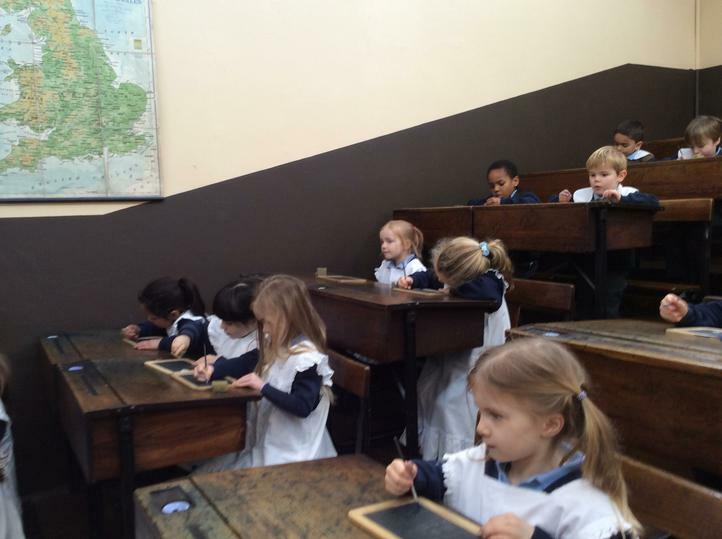 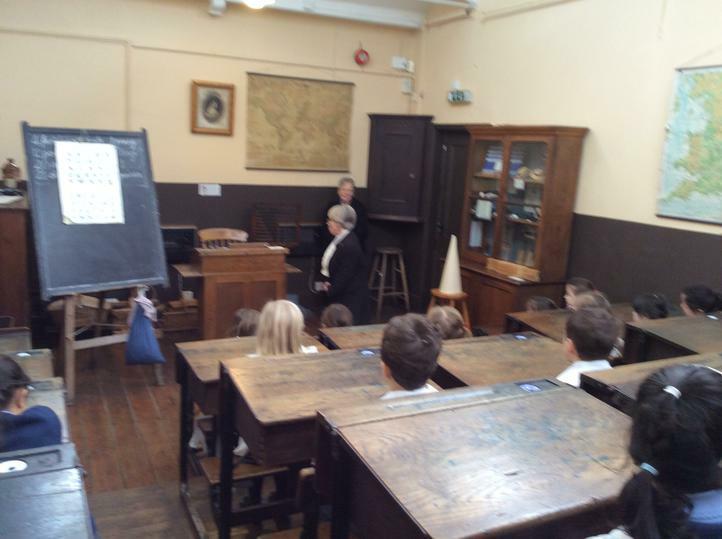 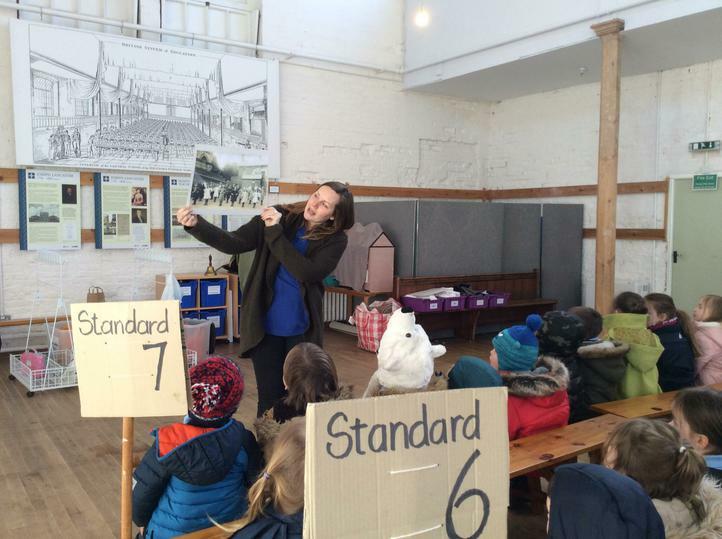 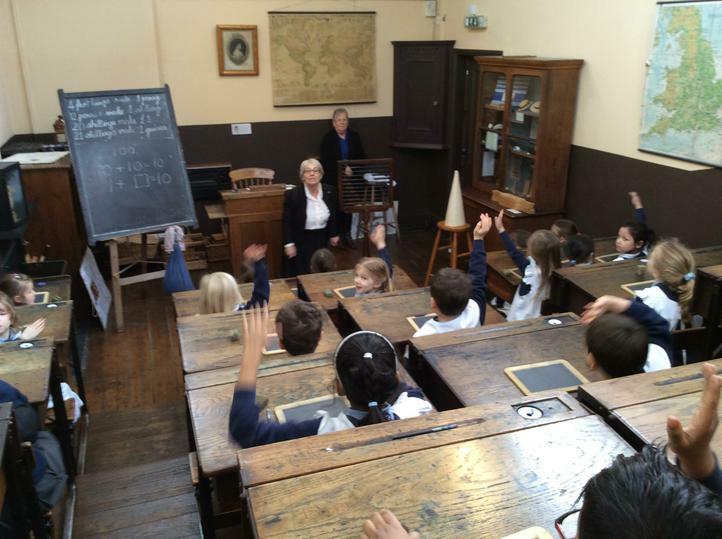 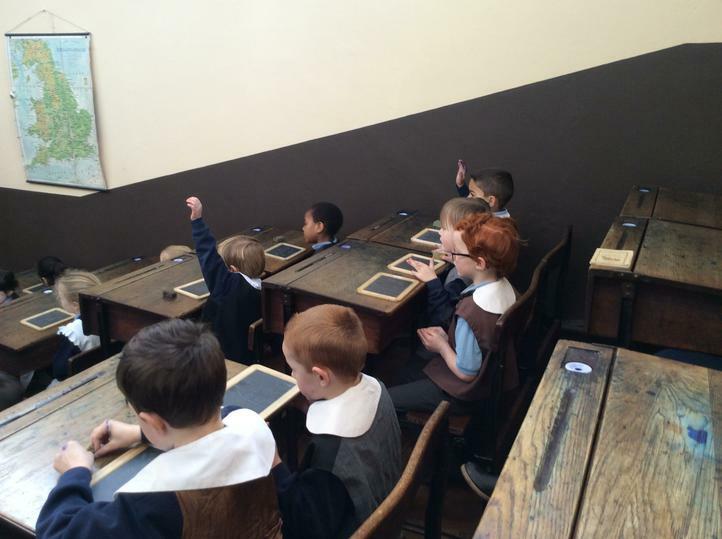 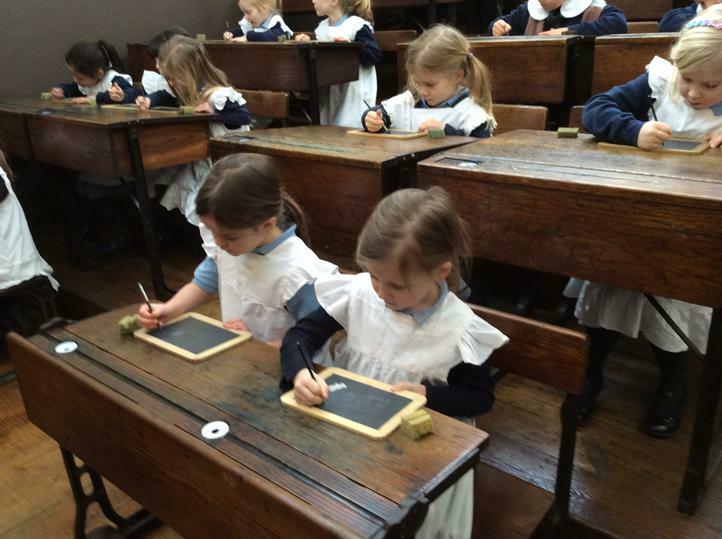 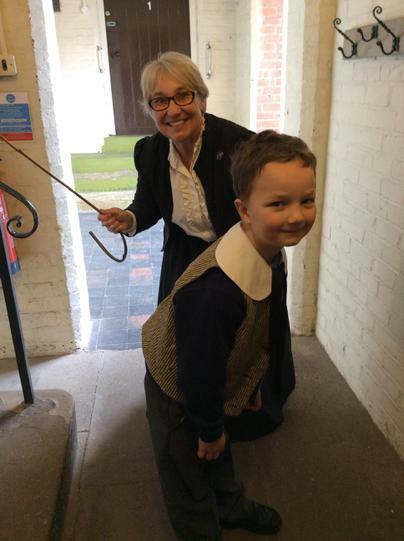 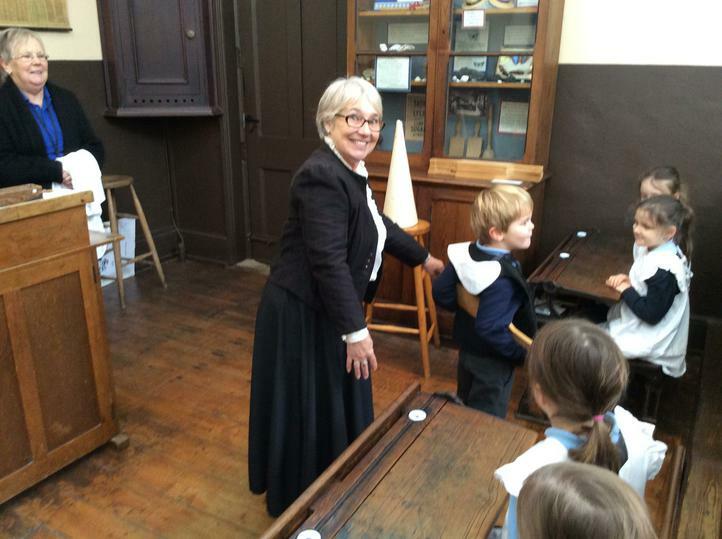 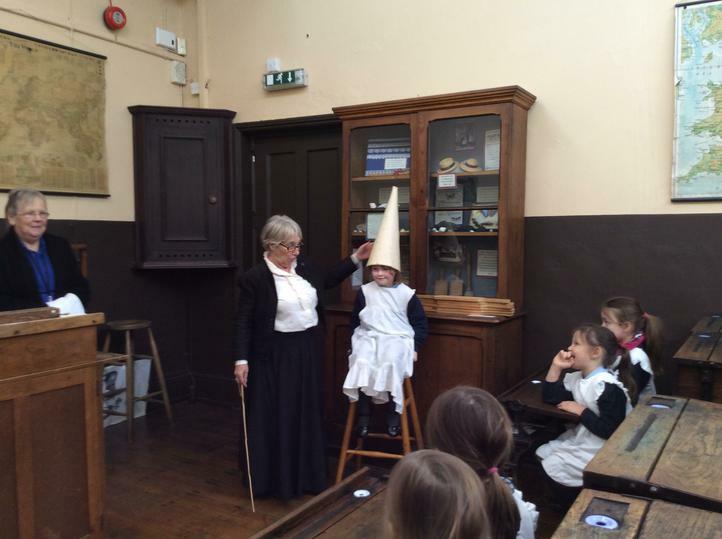 We loved the Victorian lesson where we got to write on slate with chalk, recite our alphabet and some children even had to wear the dunce cap or get the cane! 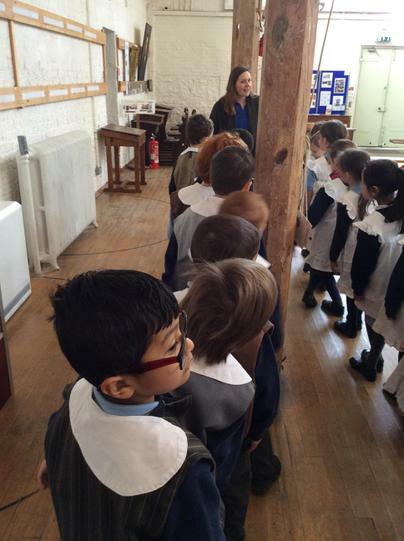 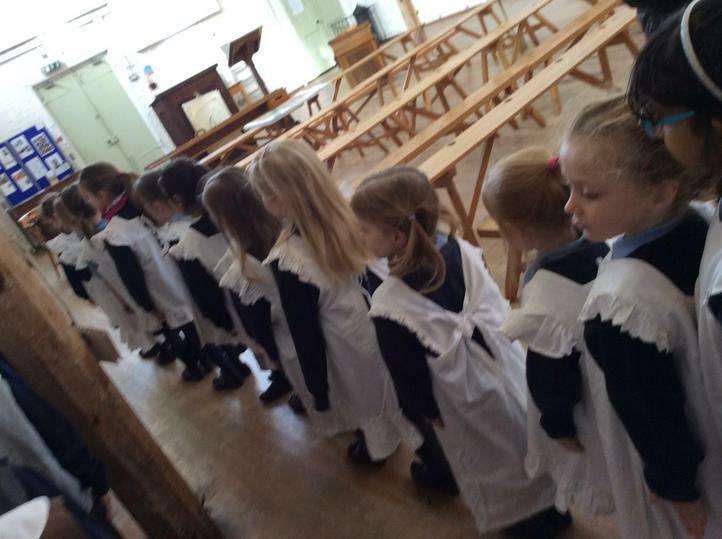 We also looked around the Headmaster's house and thought about how homes have changed over time. 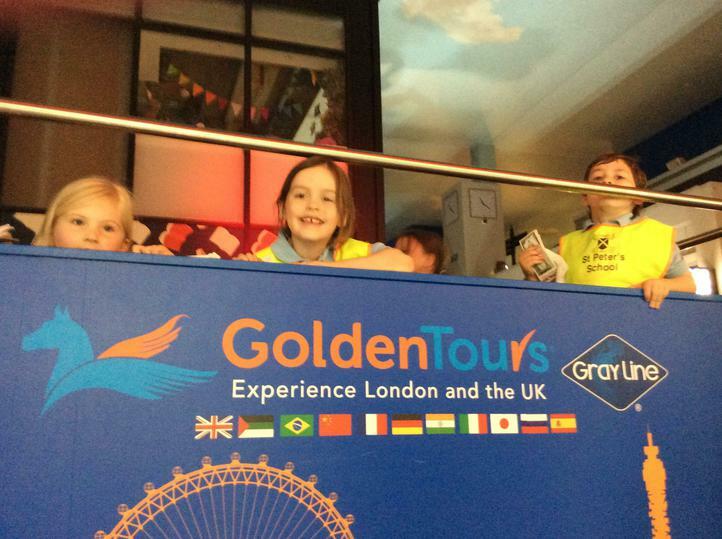 We had a fantastic time on both trips - thank you very much to the parents who came to help us! 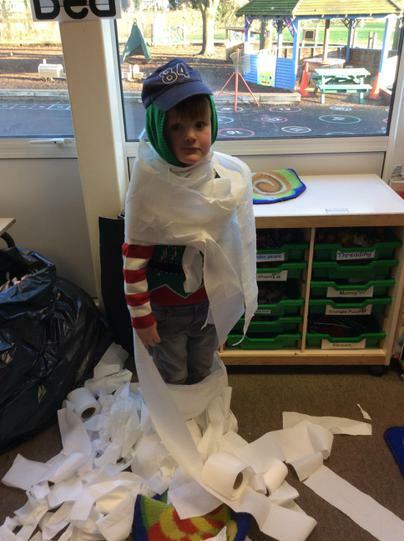 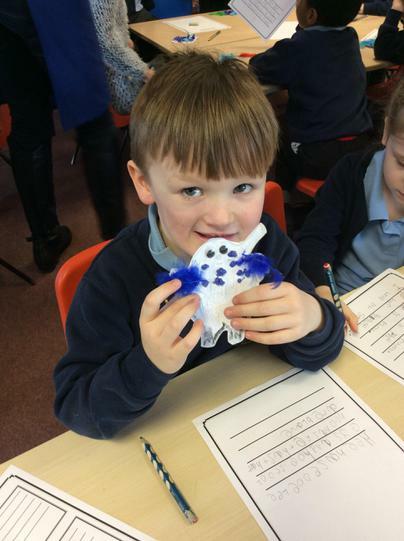 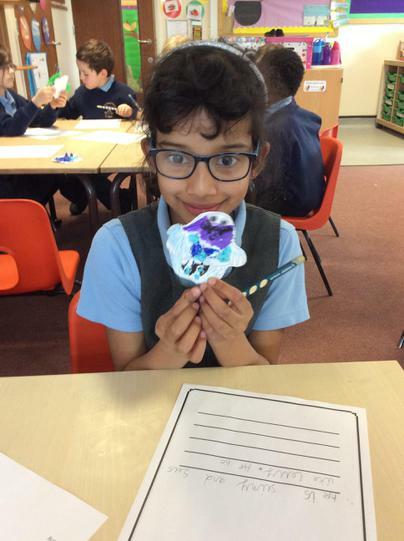 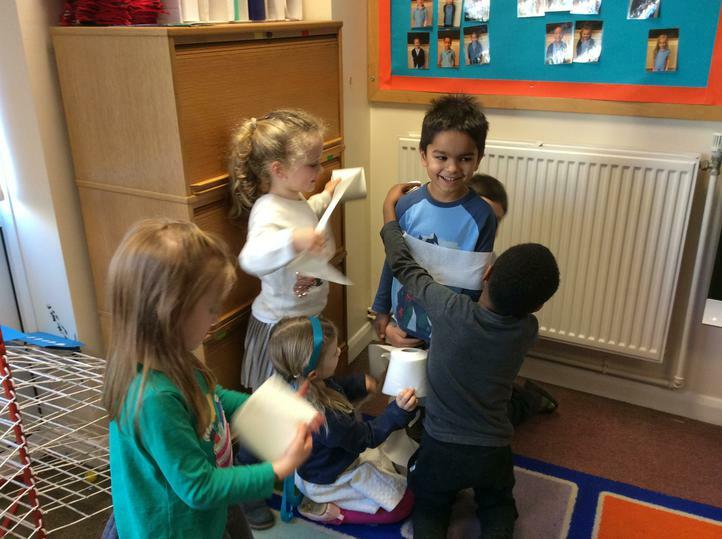 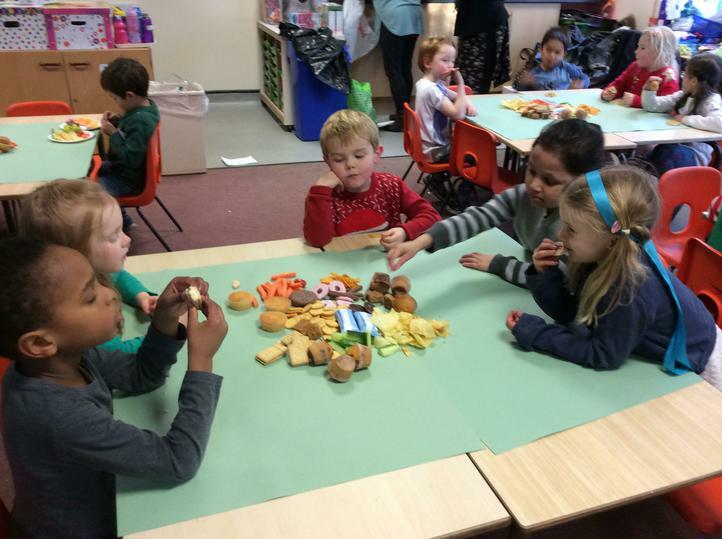 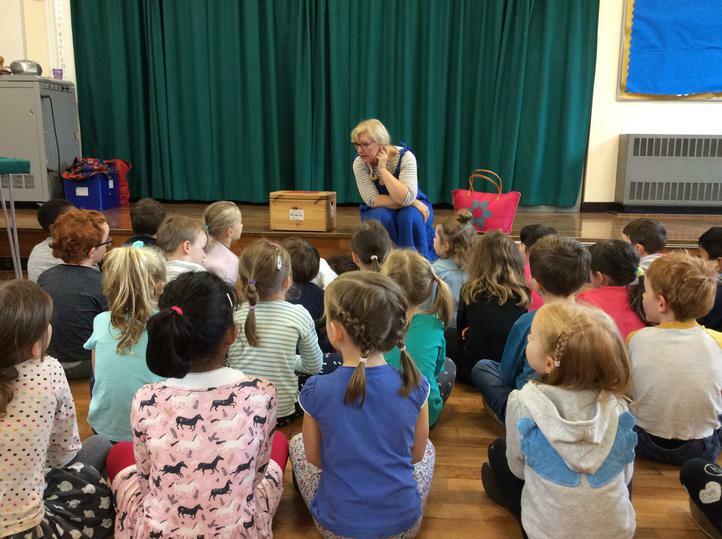 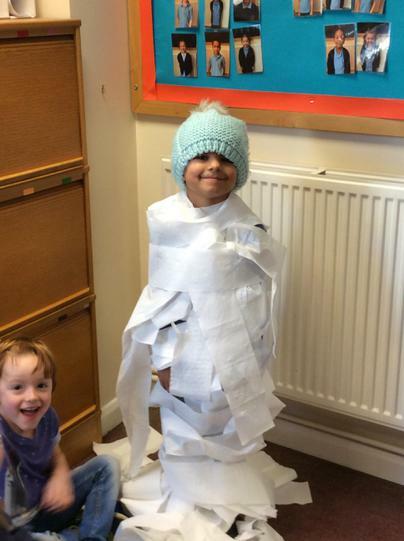 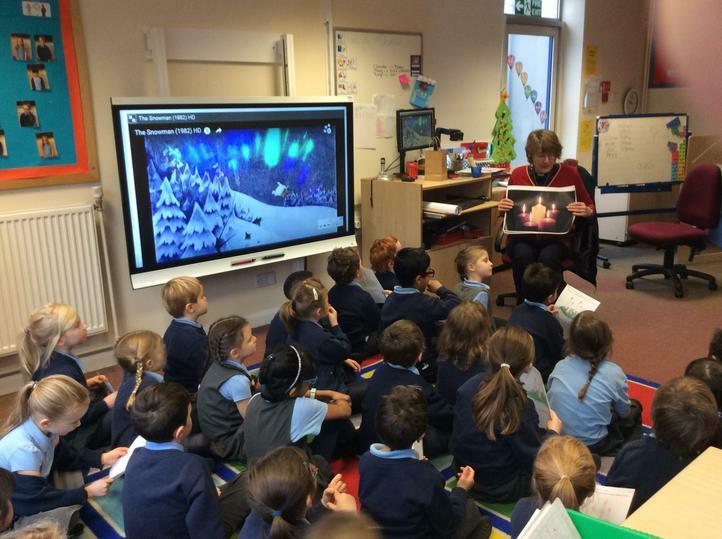 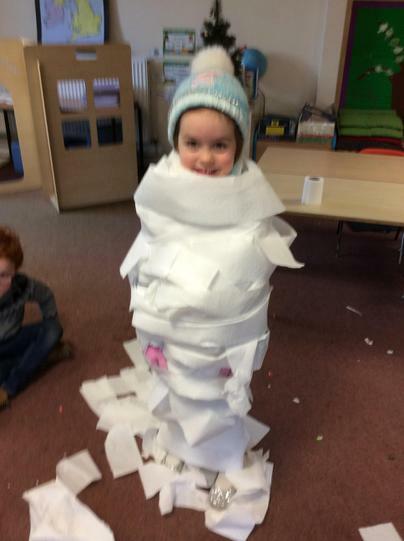 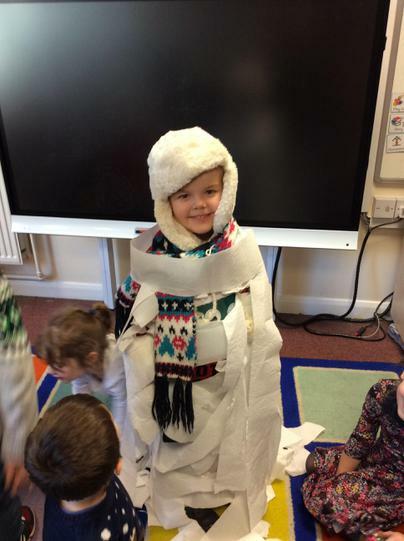 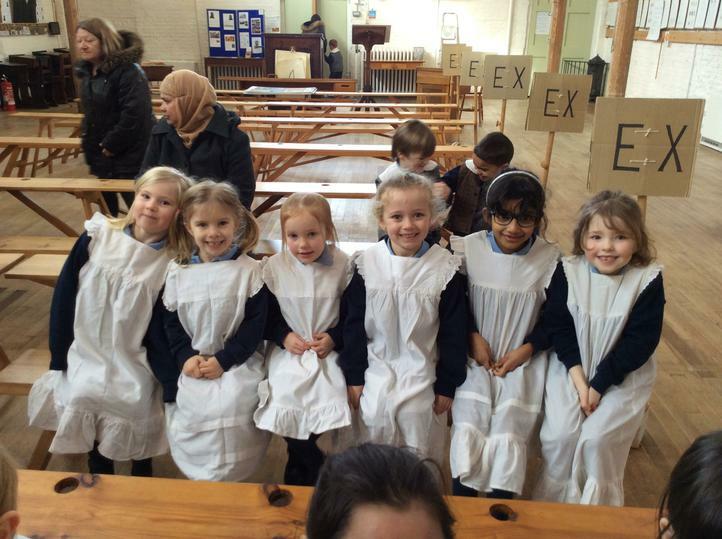 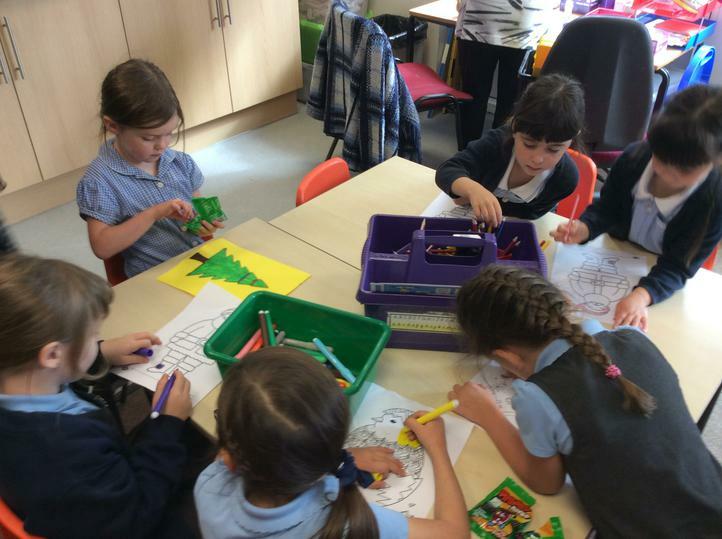 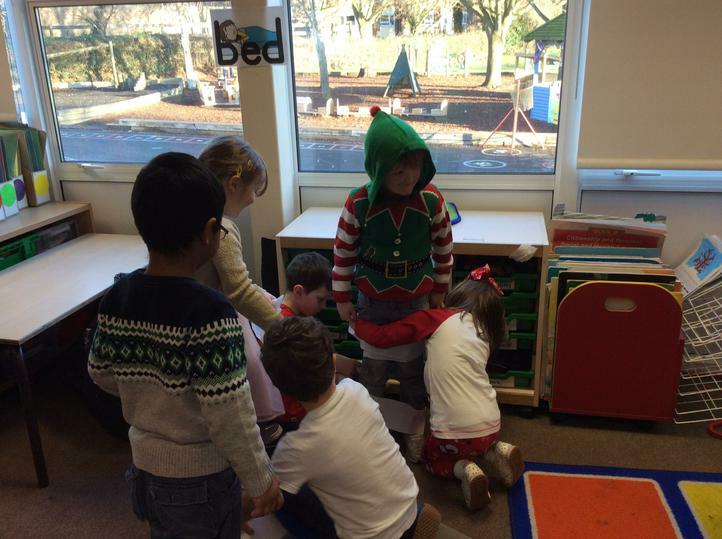 We have had a lovely Christmas-filled week with activities such as writing the story of The Snowman, having a visit from a local minister to talk about Advent and, of course, our Christmas party! 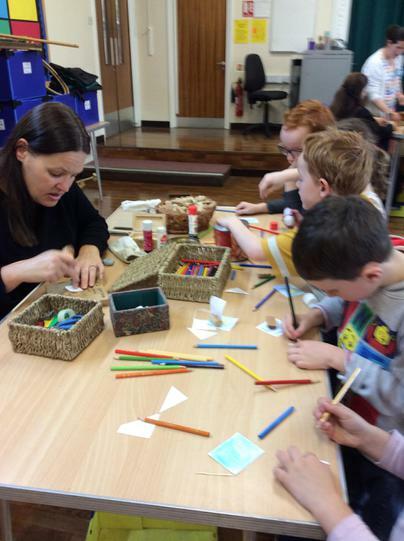 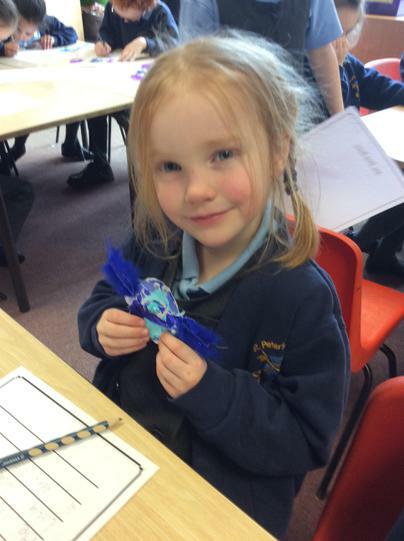 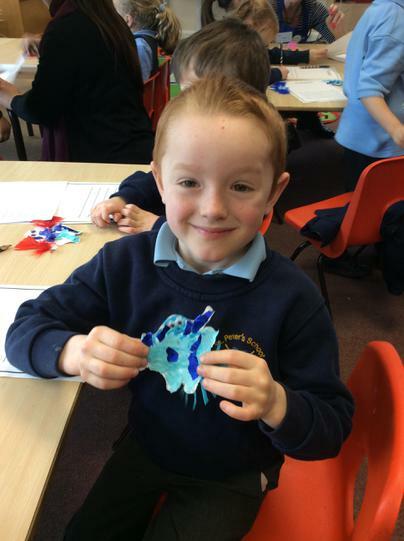 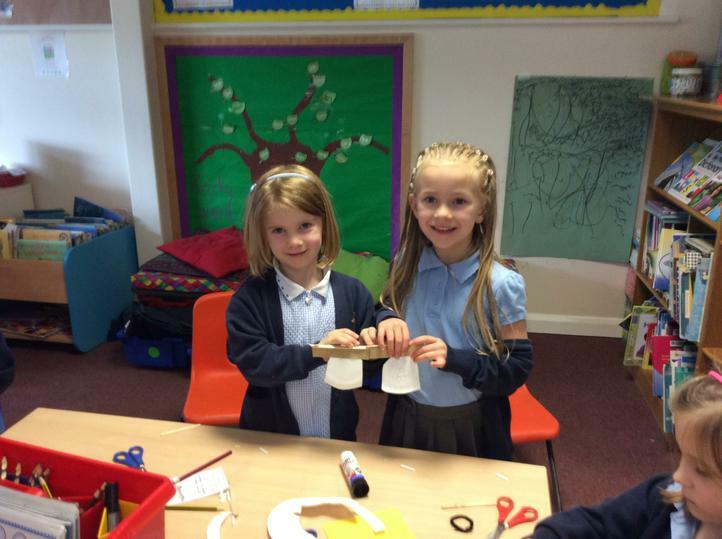 We have also been busy making lots of festive crafts to take home and enjoy. 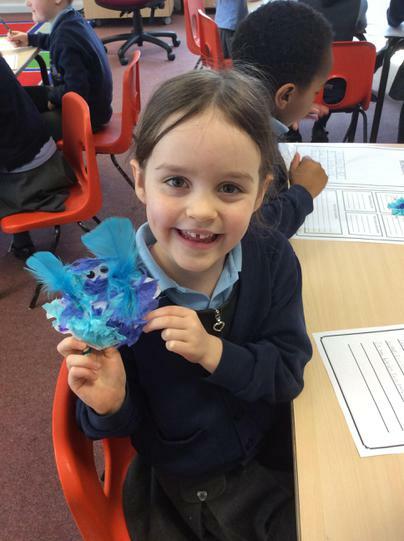 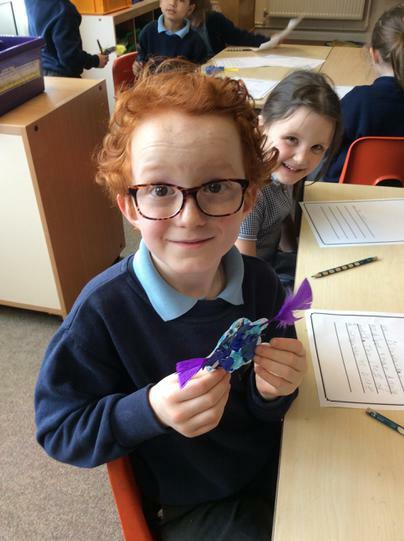 It has been a lovely way to finish off a term in which the children have worked so hard - and we still have a trip to the Odyssey on Monday to look forward to! 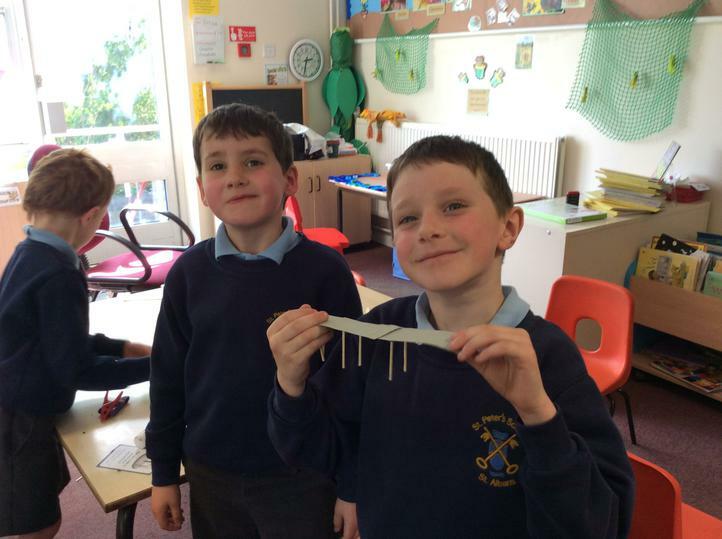 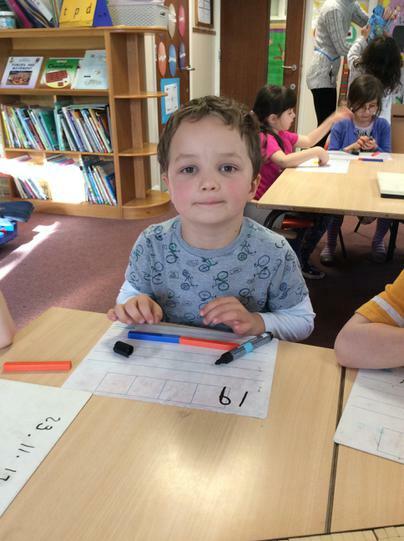 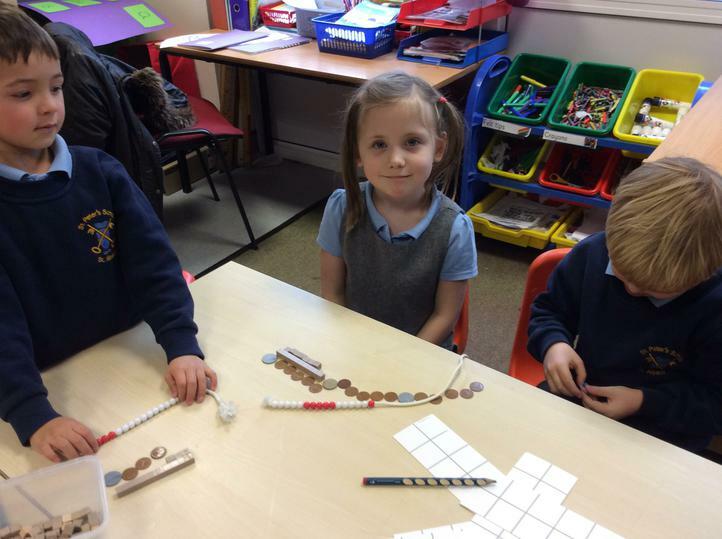 In Maths this week we have been learning about the place value of 'teen' numbers. 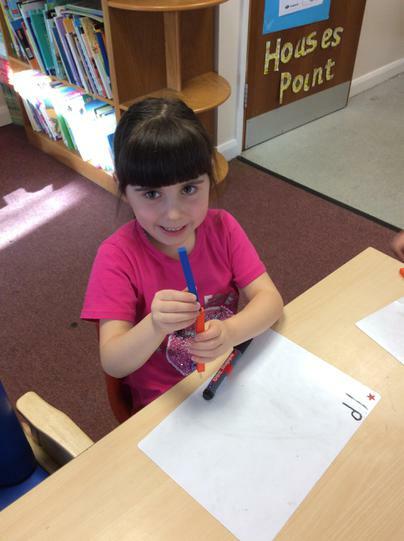 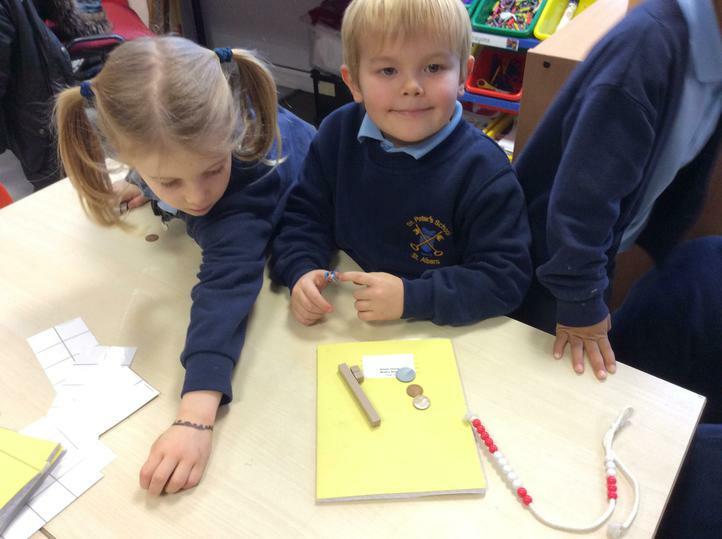 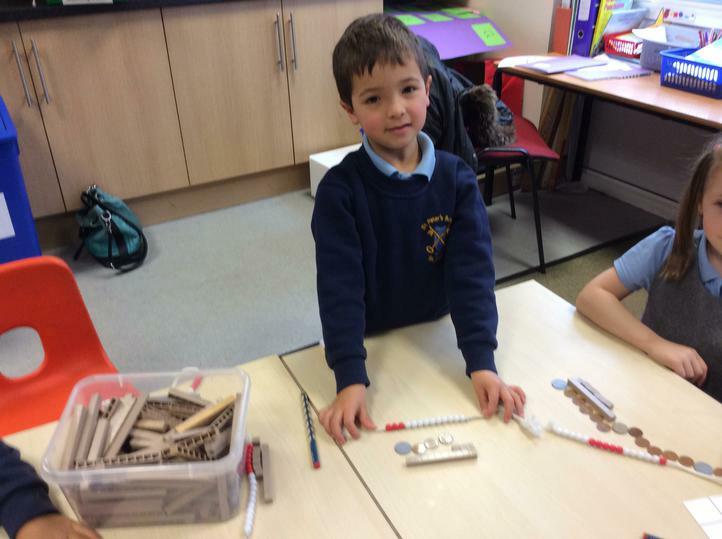 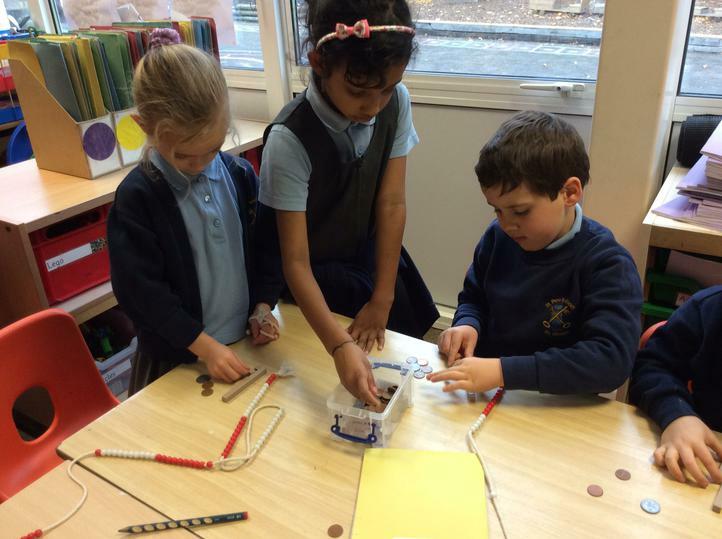 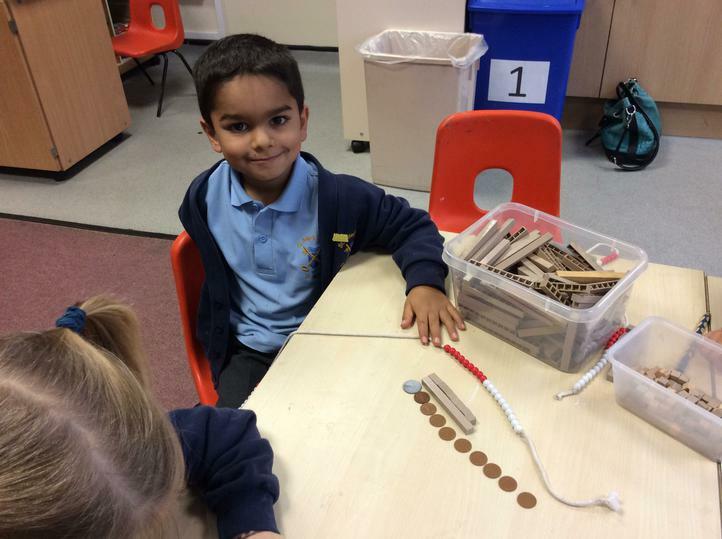 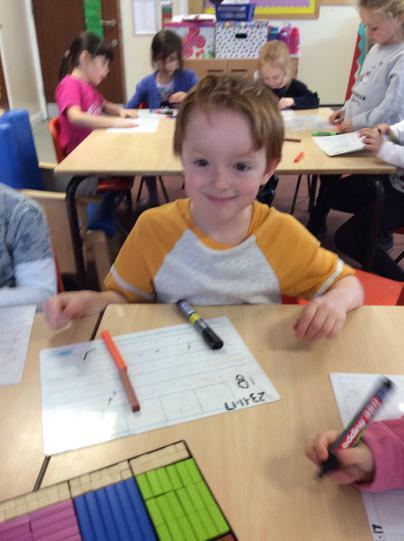 We have used lots of different equipment to explore how many tens and how many ones are in each number. 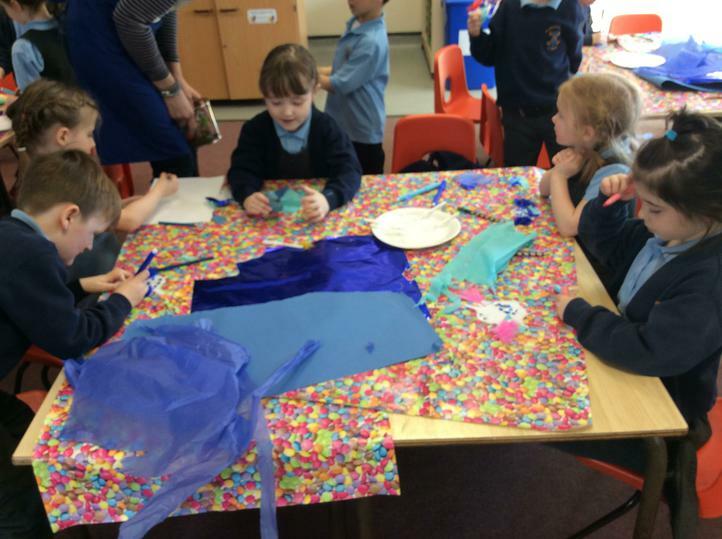 We have begun our sewing! 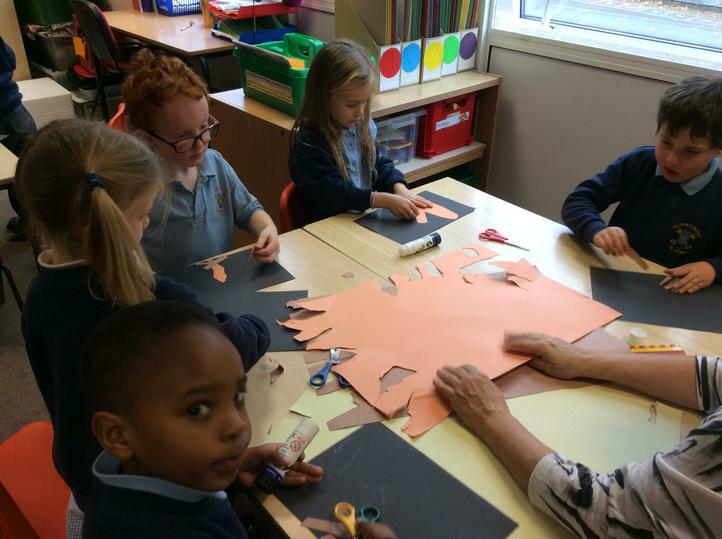 We are very grateful to the parents who have already come in to help us. 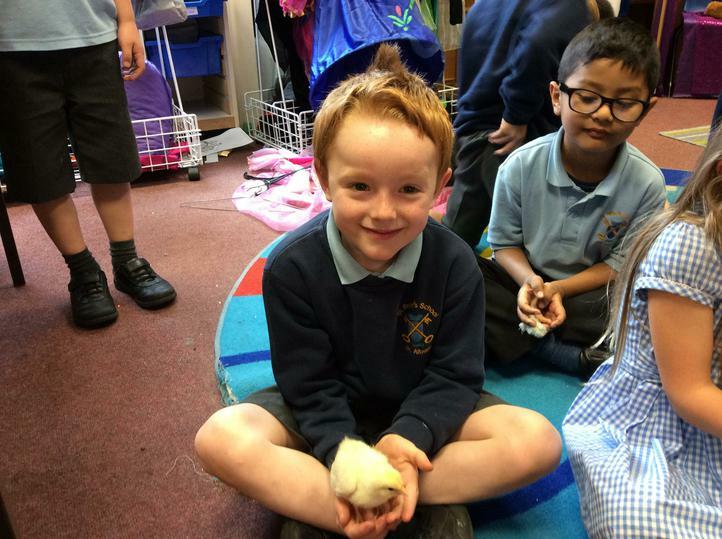 If you would like to join them please let Mrs Boggis know. 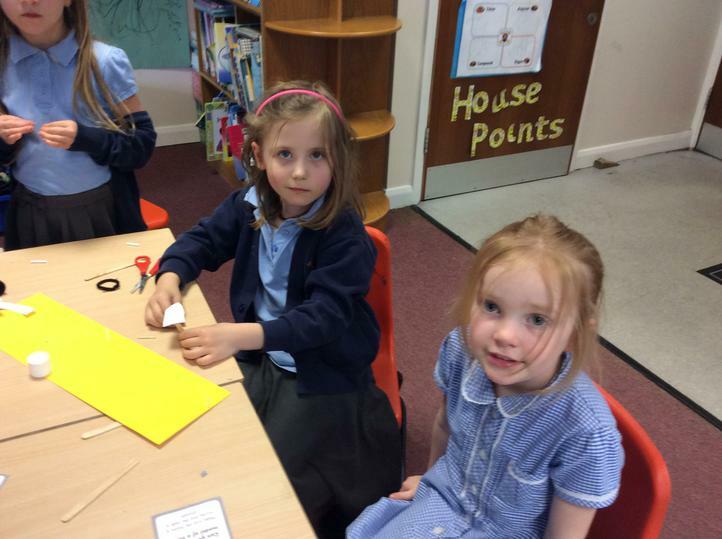 We are sewing every Thursday afternoon from 1:45pm to 2:30pm. 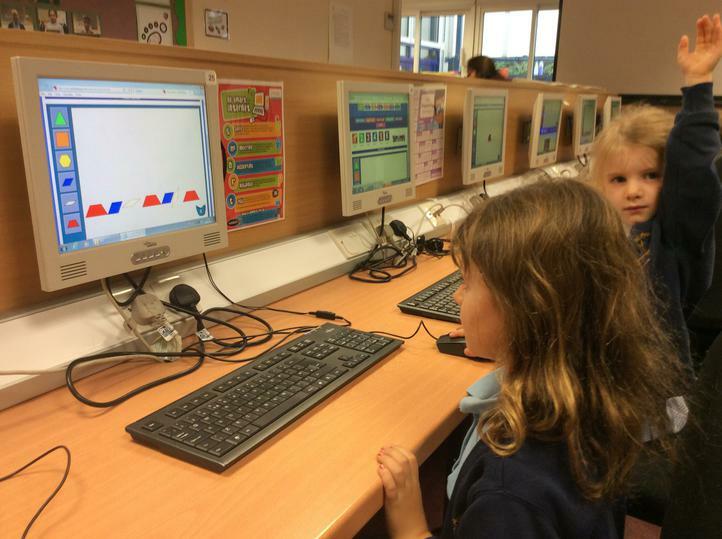 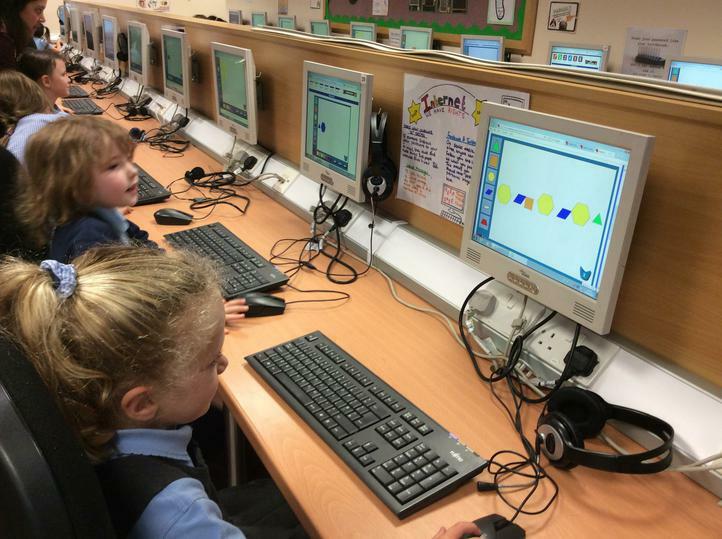 Today we began our Design and Technology lessons. 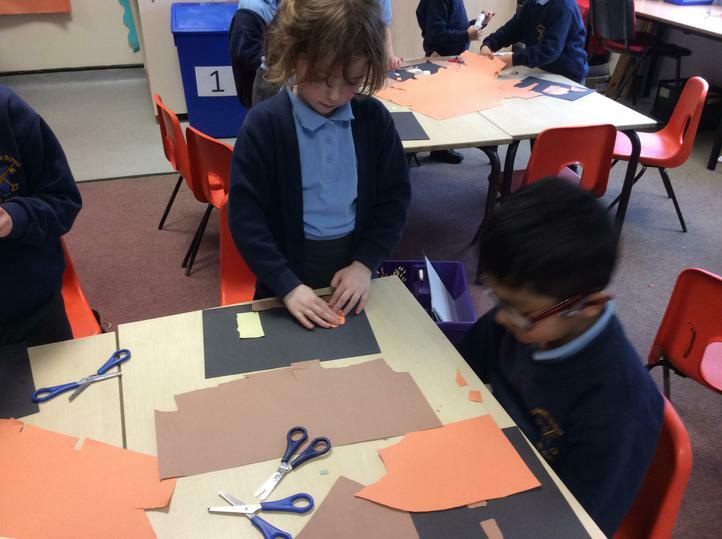 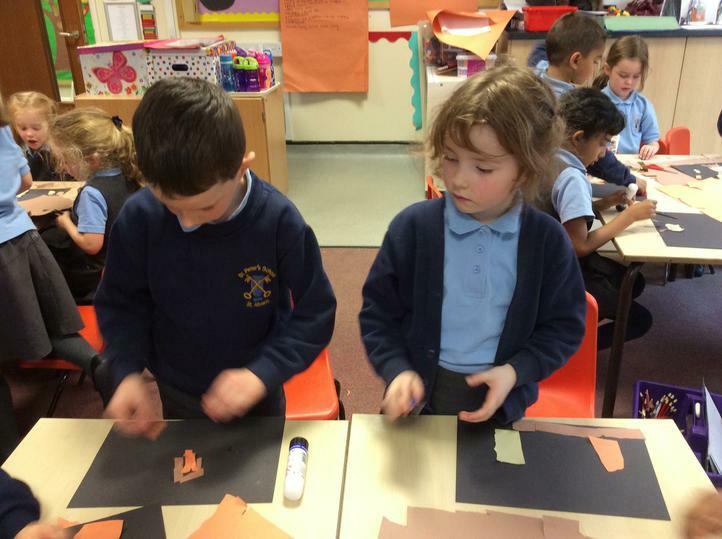 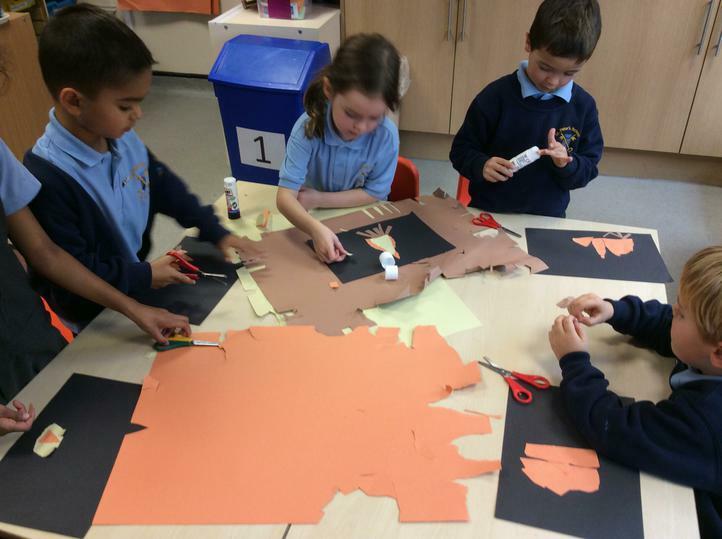 We are learning different techniques to shape paper and today we explored tearing and cutting by making bonfire night pictures. 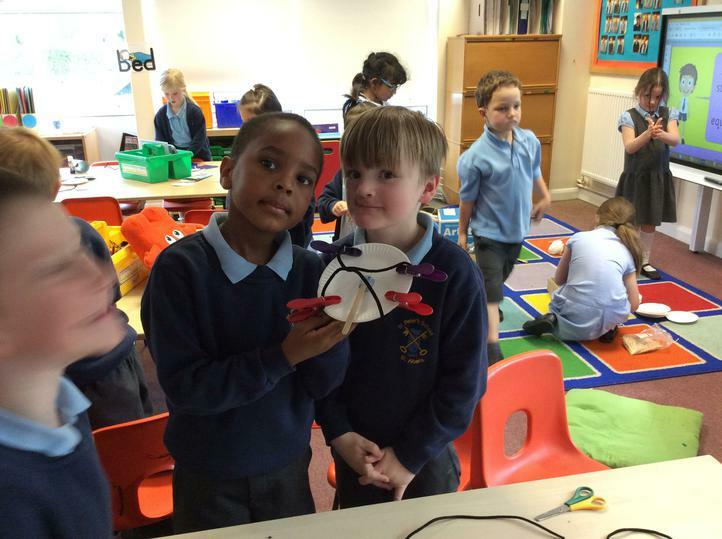 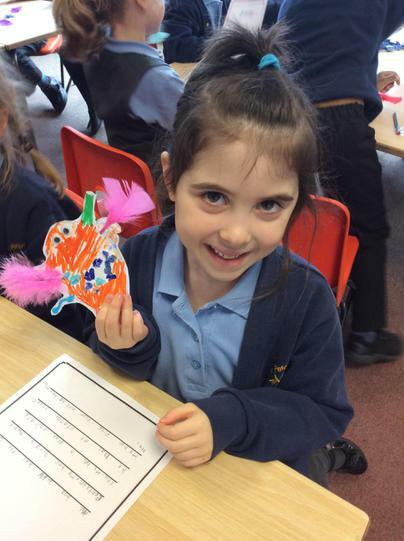 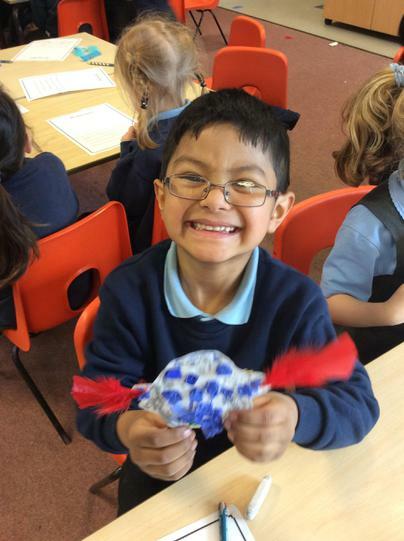 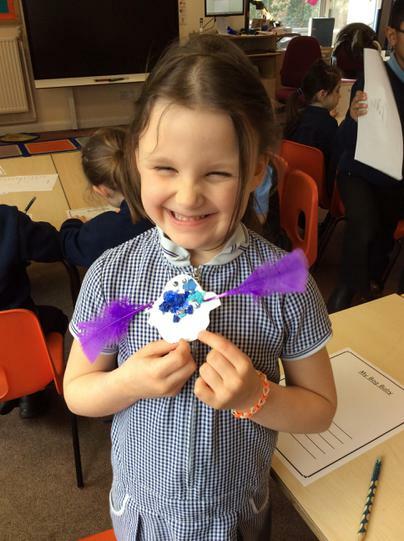 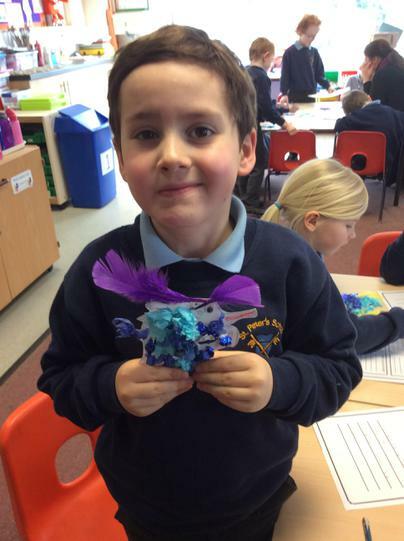 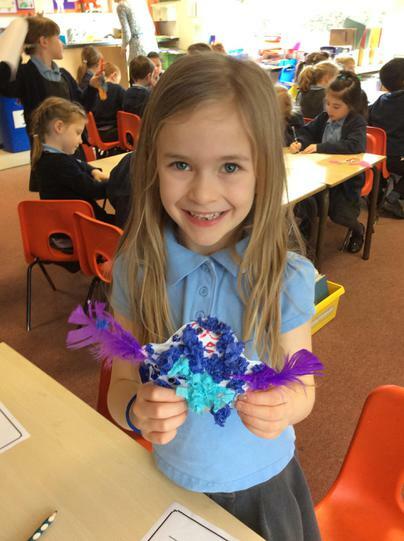 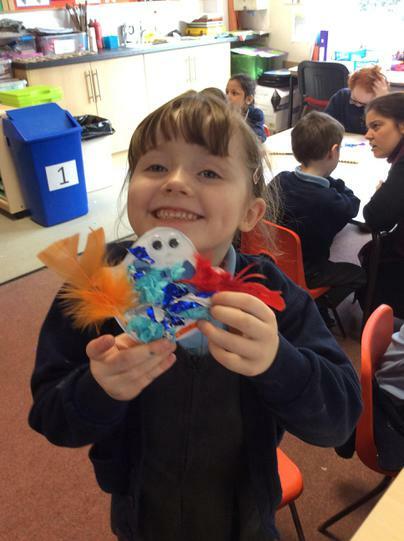 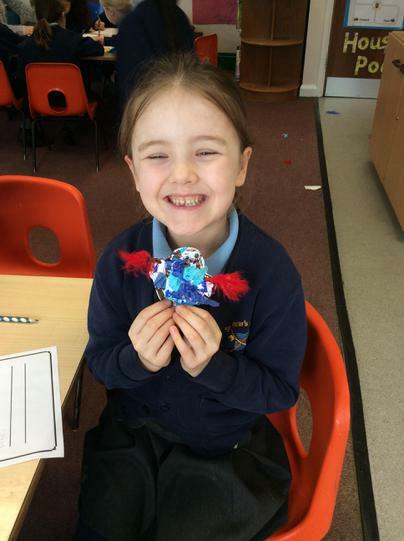 Next week we would like to begin sewing our Christmas puppets! 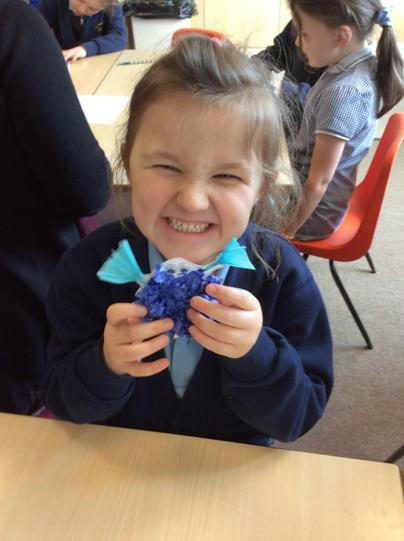 We are looking for any volunteers (Mums, Dads, Grannys, Grandads etc) who might like to come and help us sew on a Thursday afternoon. 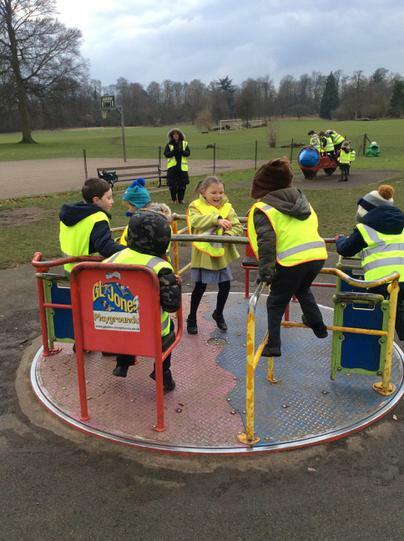 If you are available and would like to help, please let us know! 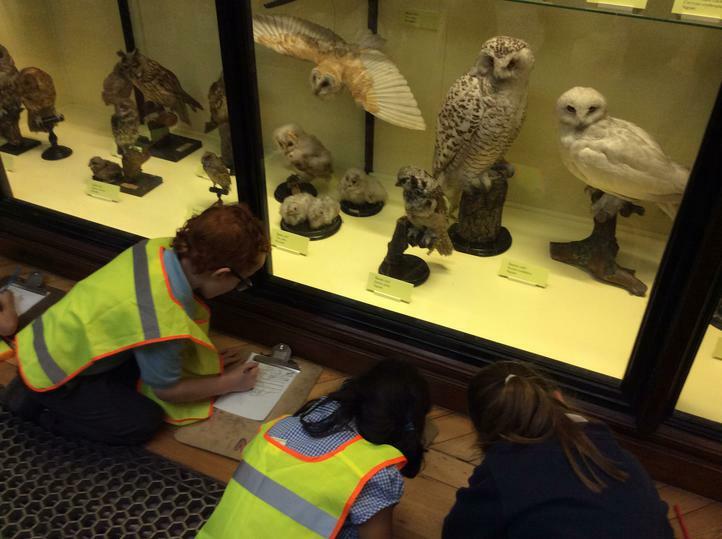 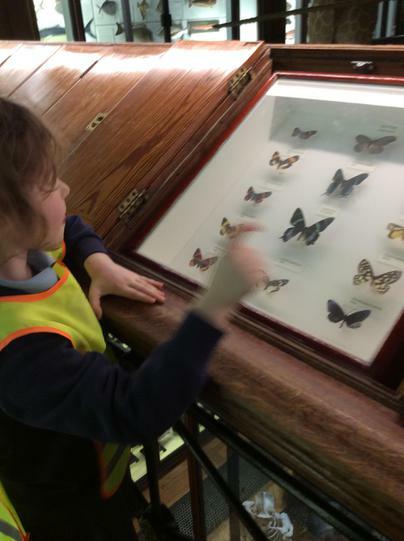 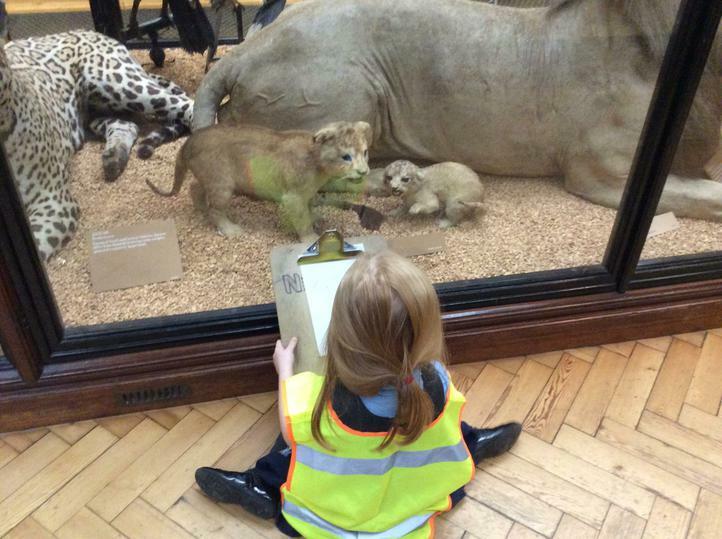 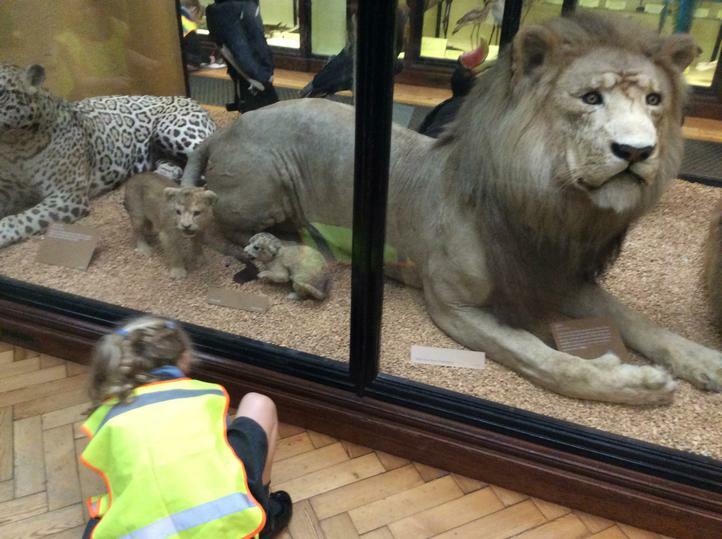 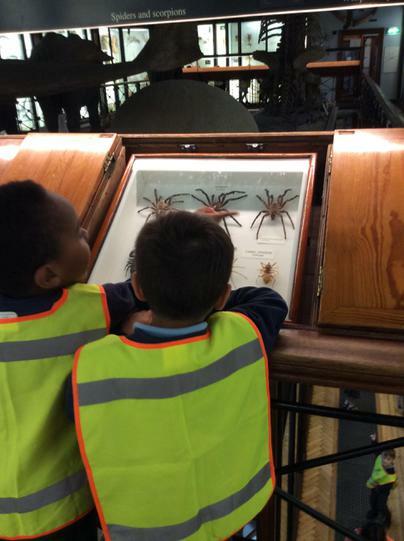 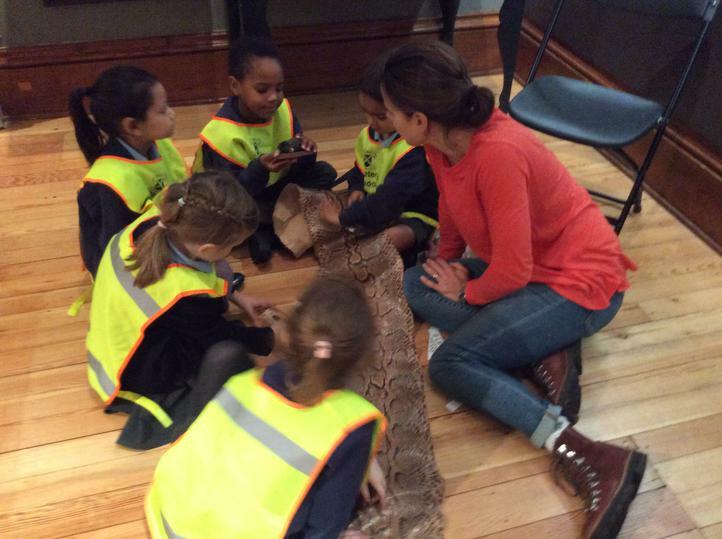 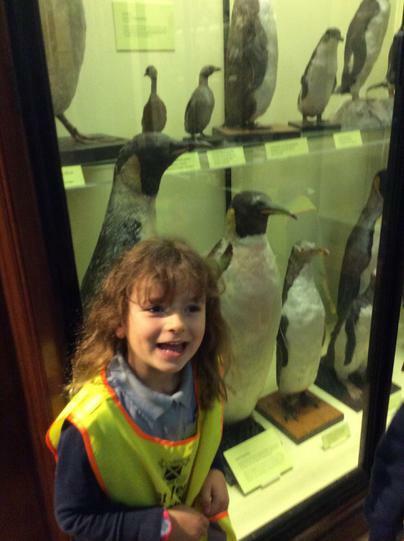 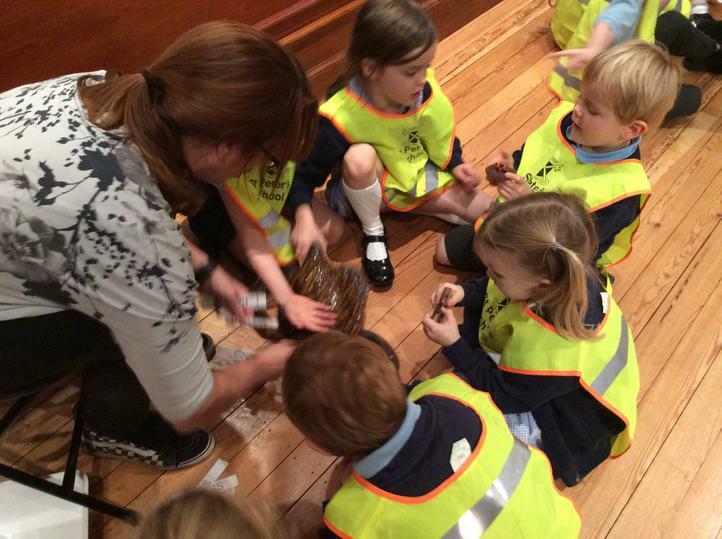 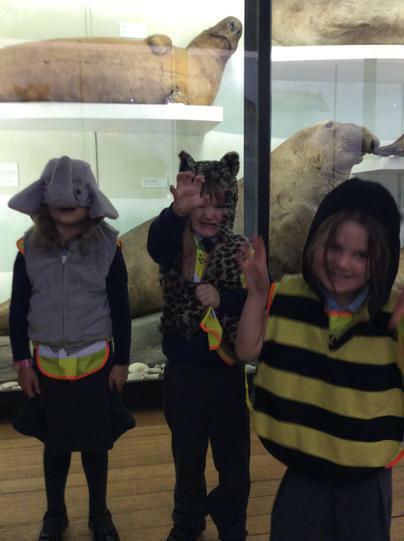 We had a fantastic day at Tring Natural History Museum. 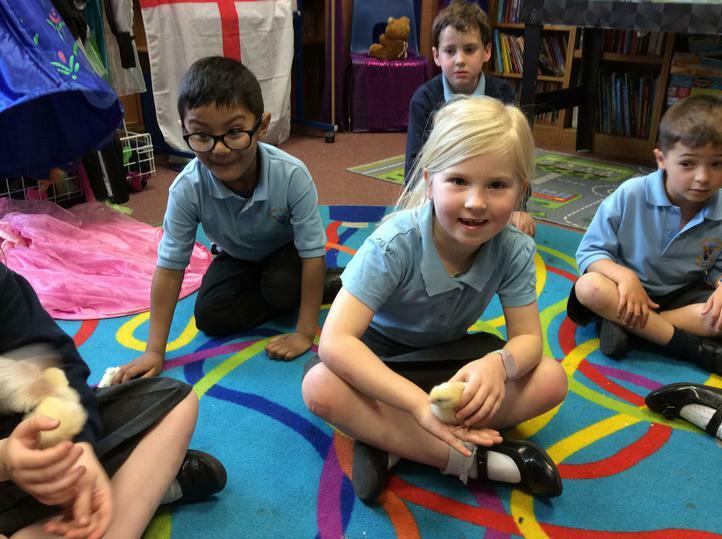 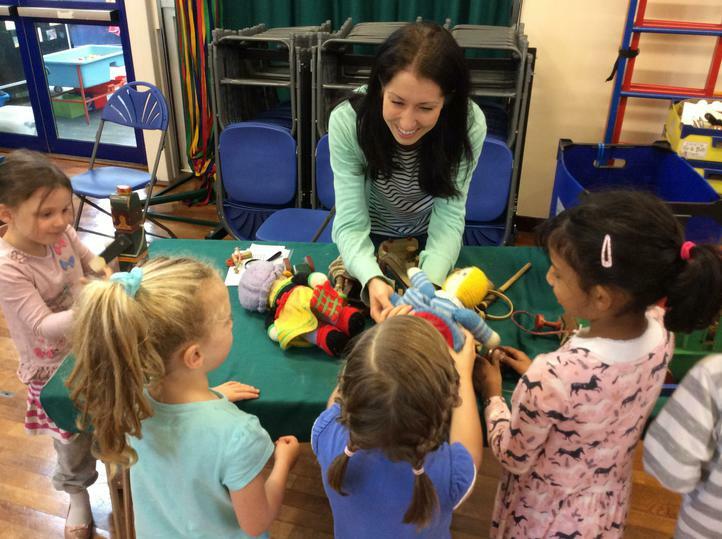 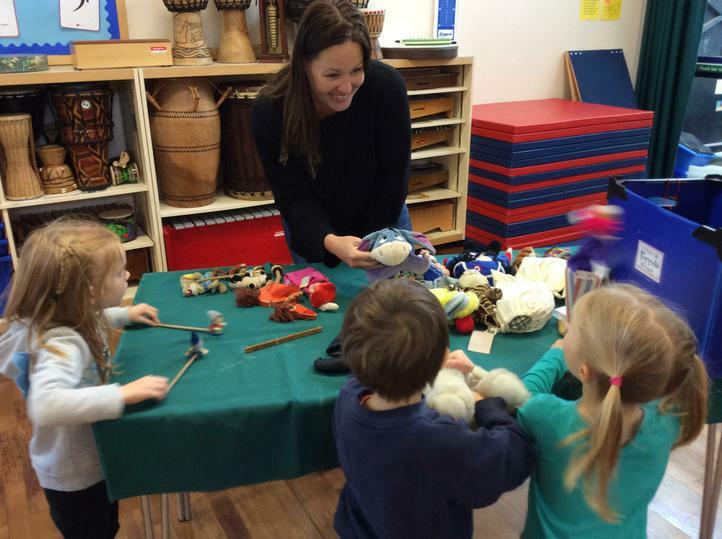 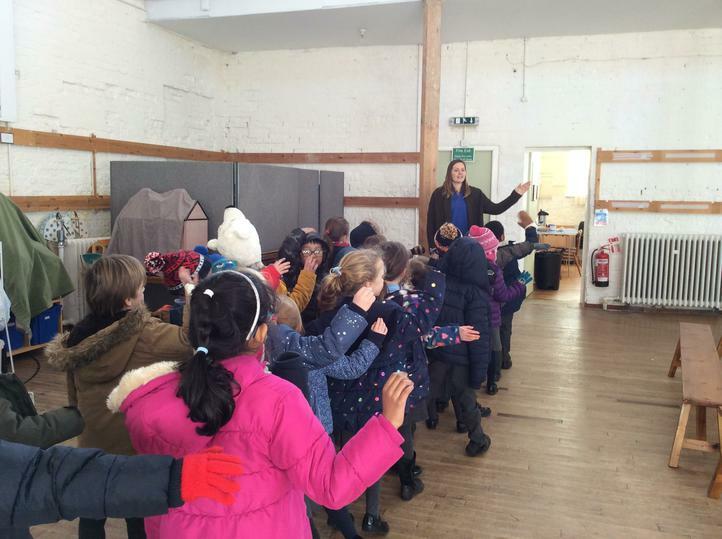 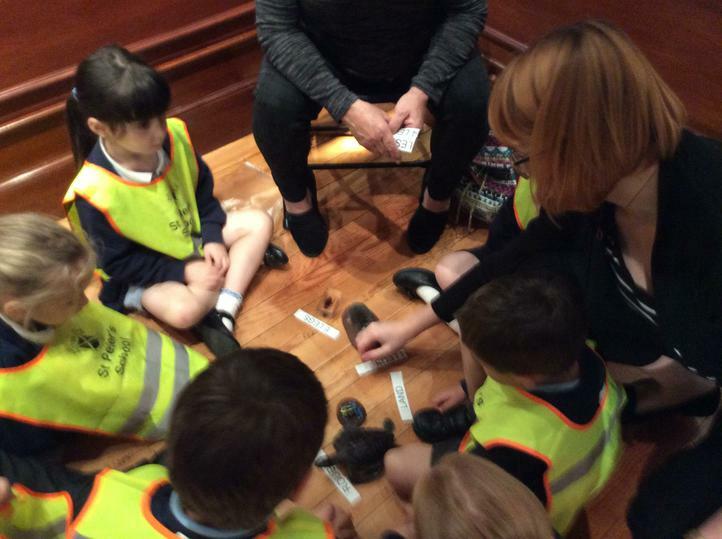 We started the day with a workshop where we learnt how to sort animals into different categories and even got to touch some of them! 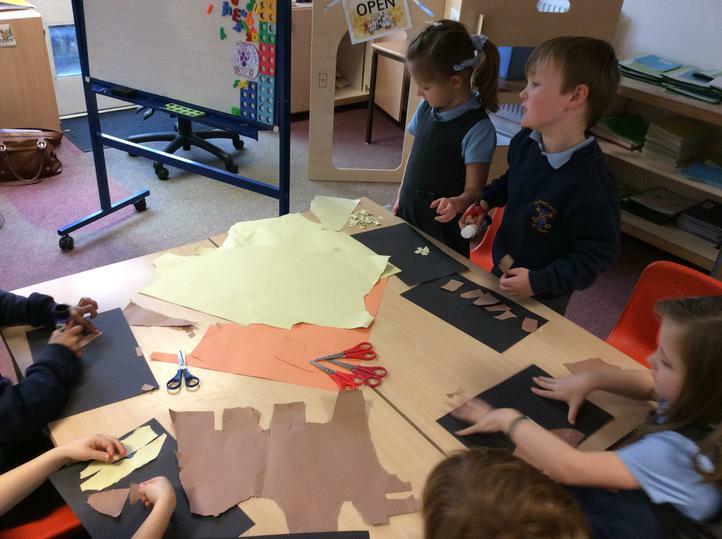 After lunch we spent lots of time looking at all the different animals of al shapes, sizes and colours. 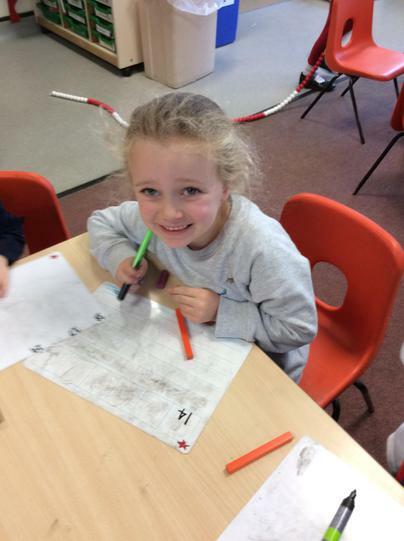 We finished the day by choosing our favourite ones to draw - you can see our drawings in our topic books at parents evening! 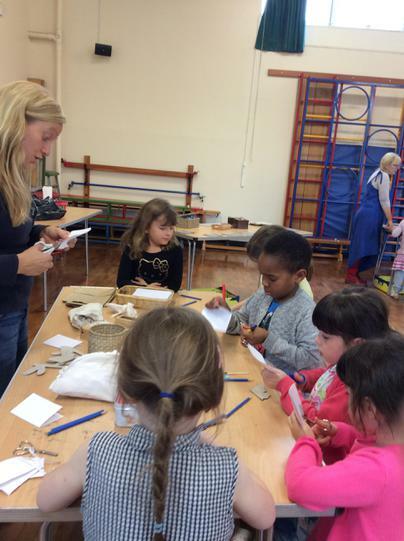 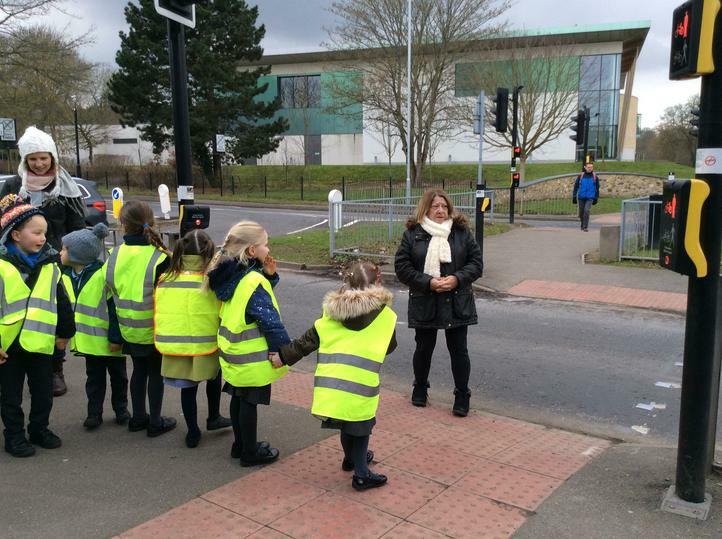 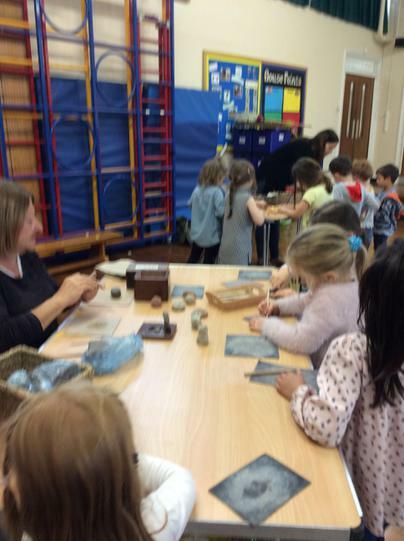 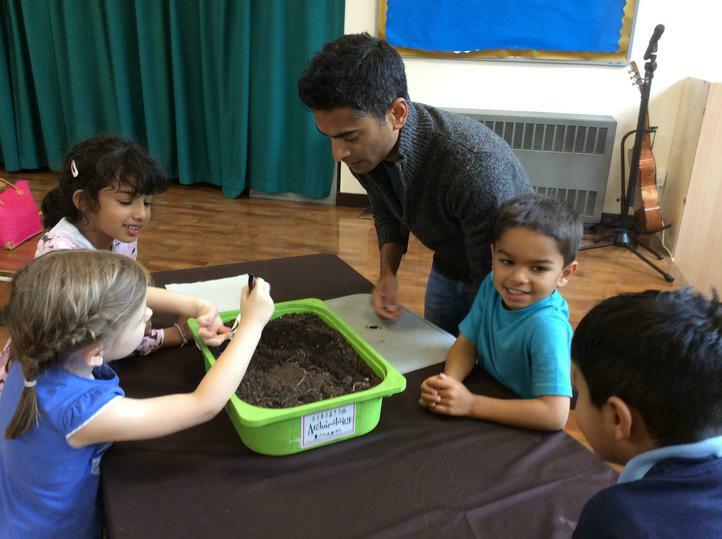 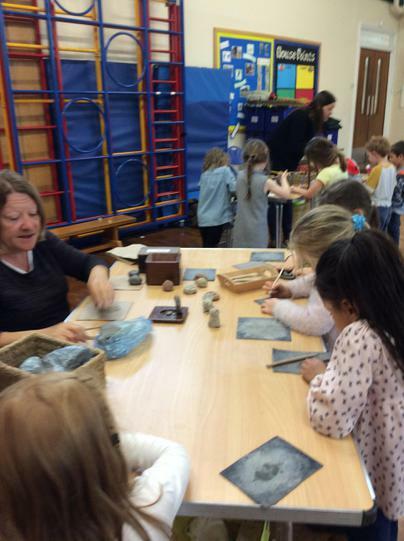 Thank you very much to the parents who came to help us. 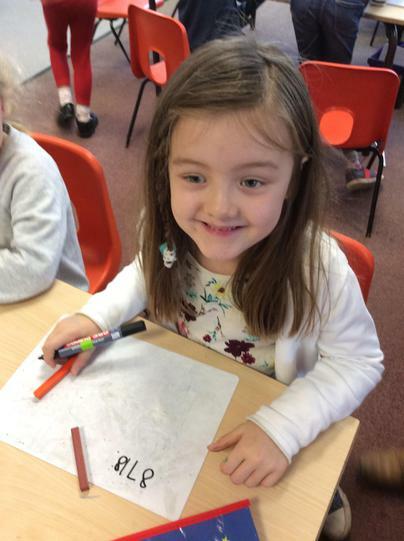 We hope you had a great day too! 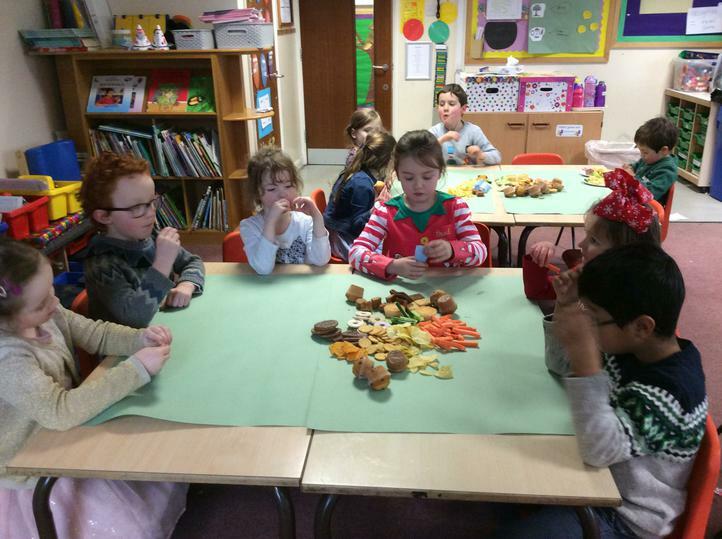 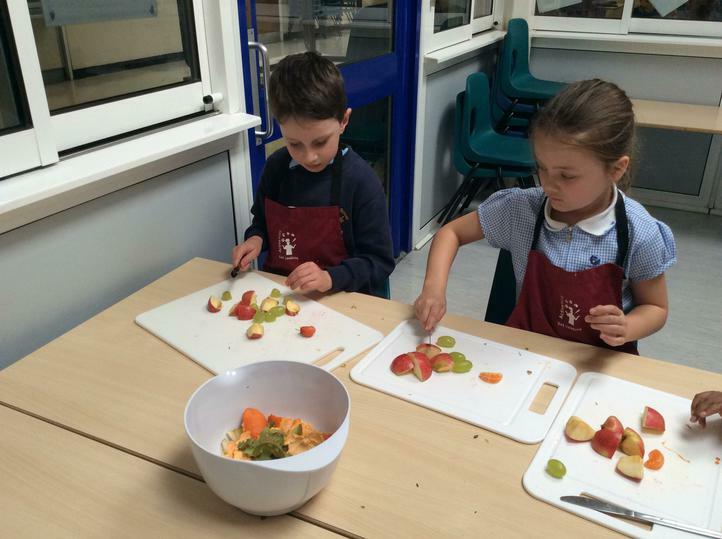 Our cooking sessions began this week! 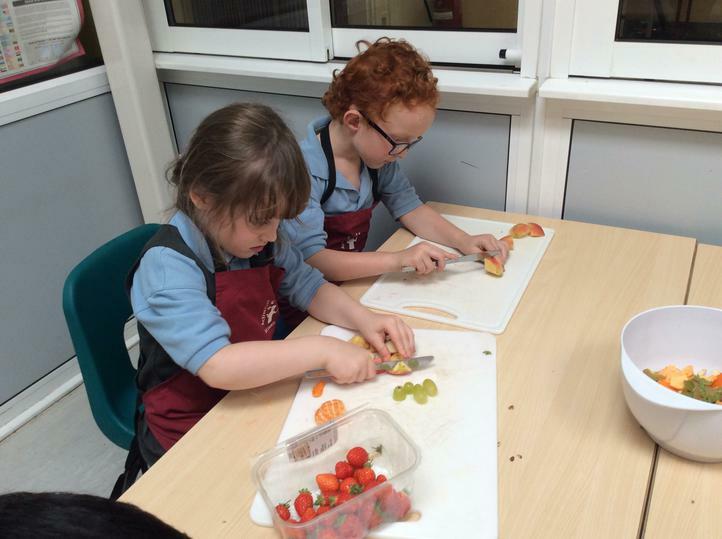 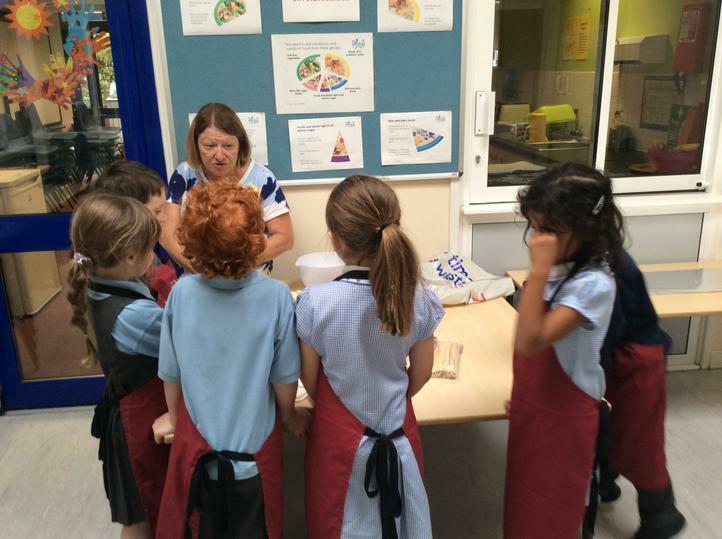 Every Wednesday, Mrs Kenchington will be taking a small group of children to develop their cooking skills. 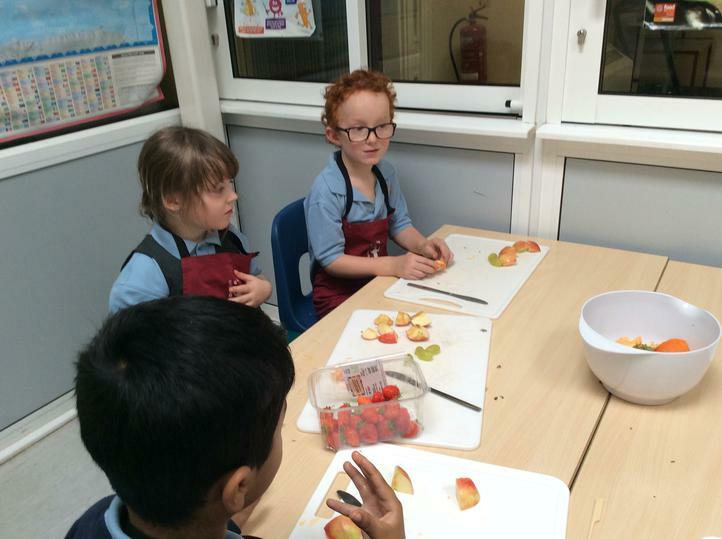 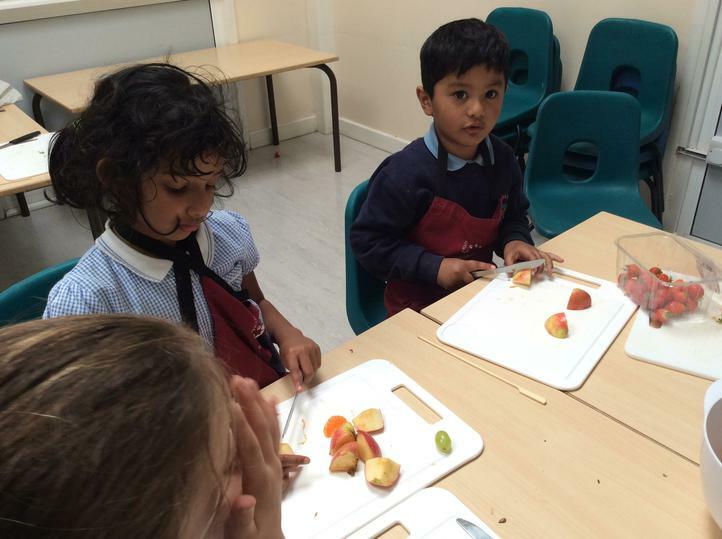 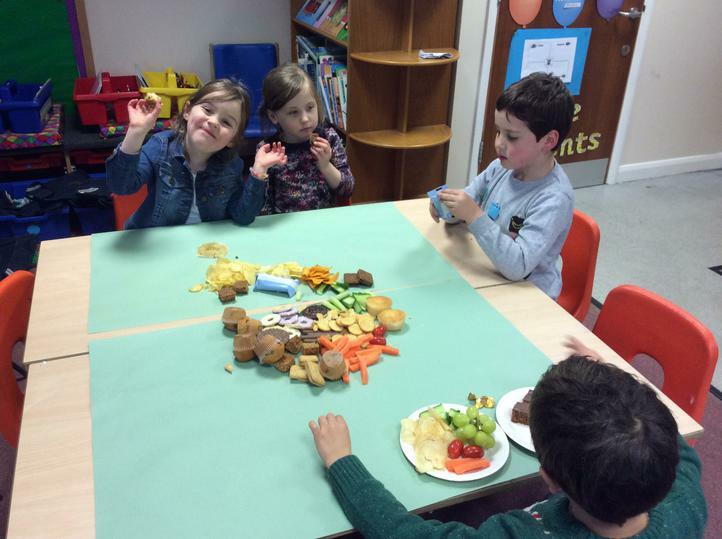 This time we are working on cutting and chopping by making fruit kebabs! 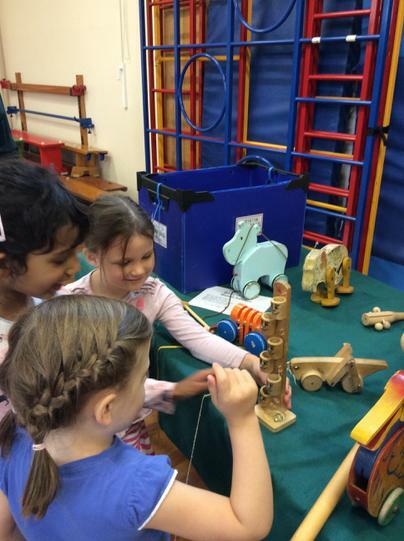 We have had a fantastic day today learning all about toys! 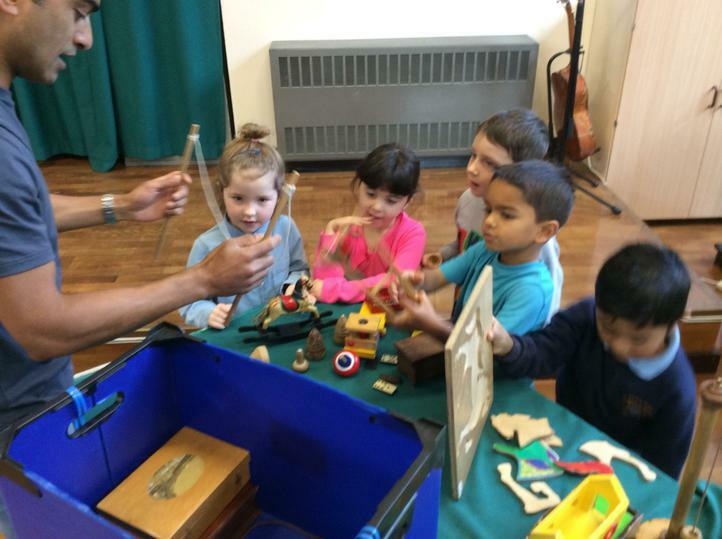 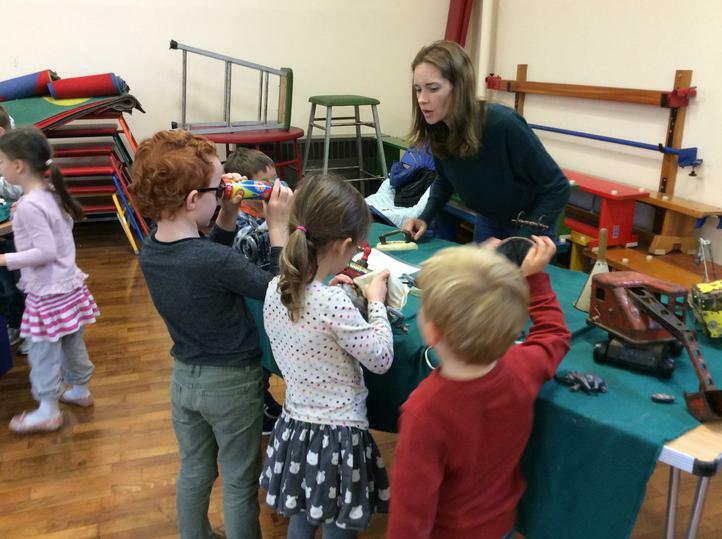 In the morning we got to play with lots of different old toys as well as learn about how archaeologists dig for artefacts. 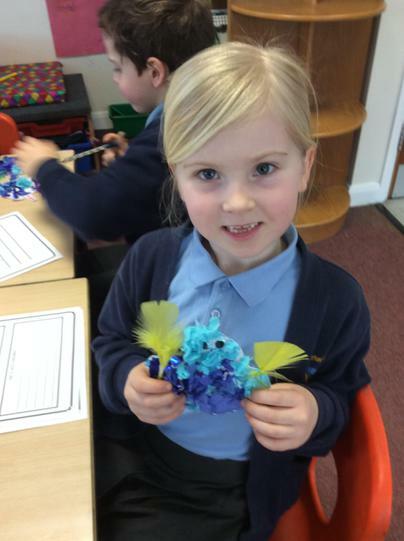 Then in the afternoon we made our own toys! 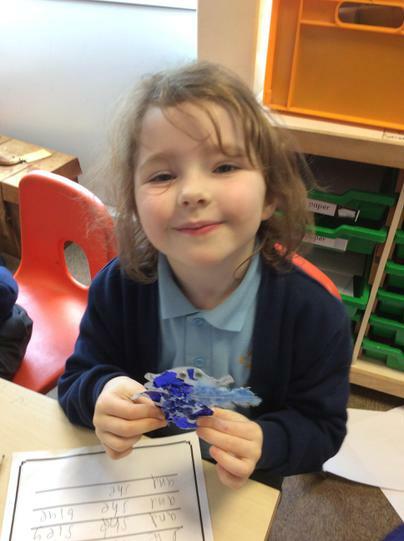 It has been a busy and exciting day. 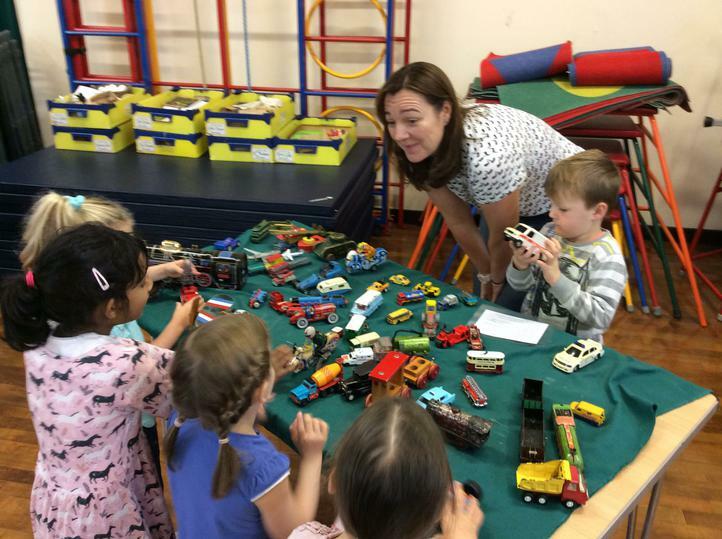 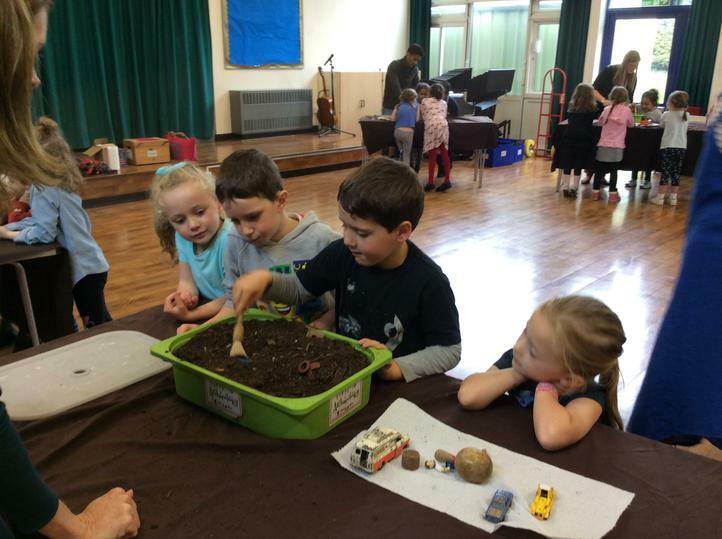 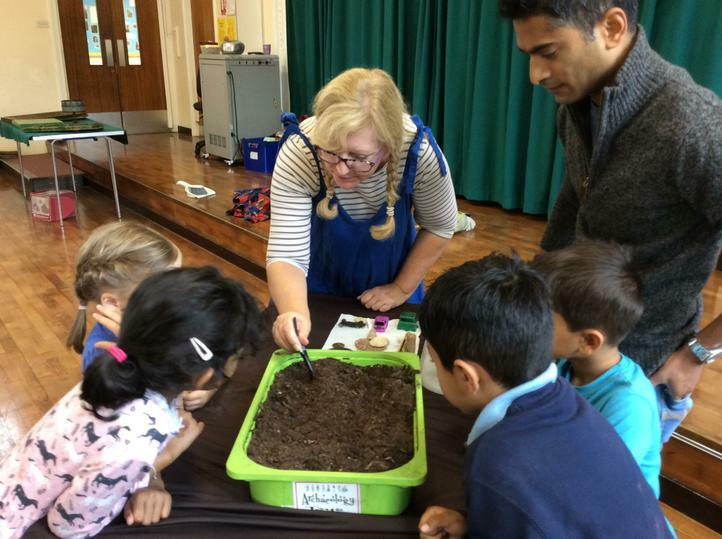 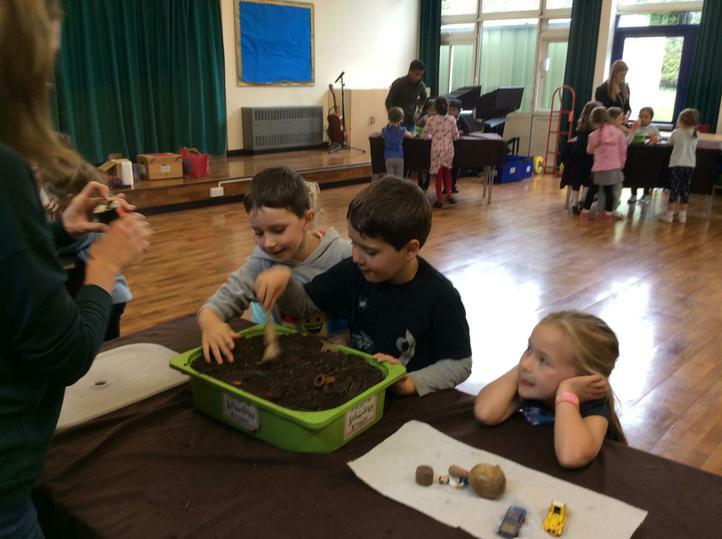 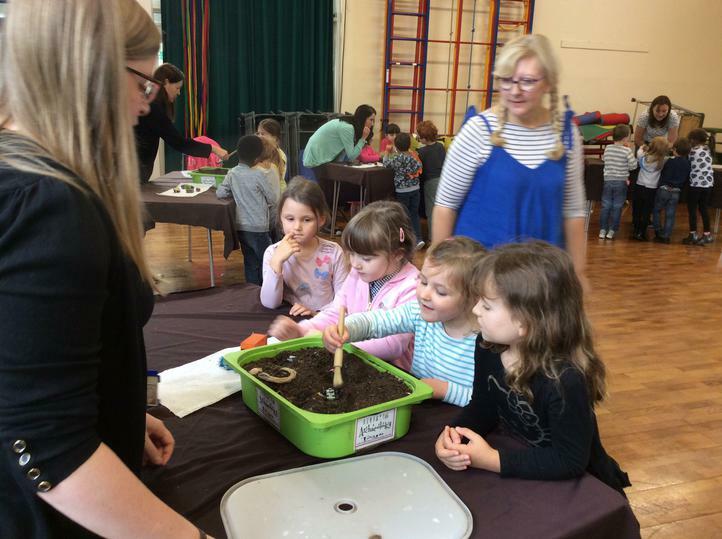 Thank you very much to the PSA for funding this fantastic learning opportunity and thank you also to all the parents who came to help - we couldn't have done it without you! 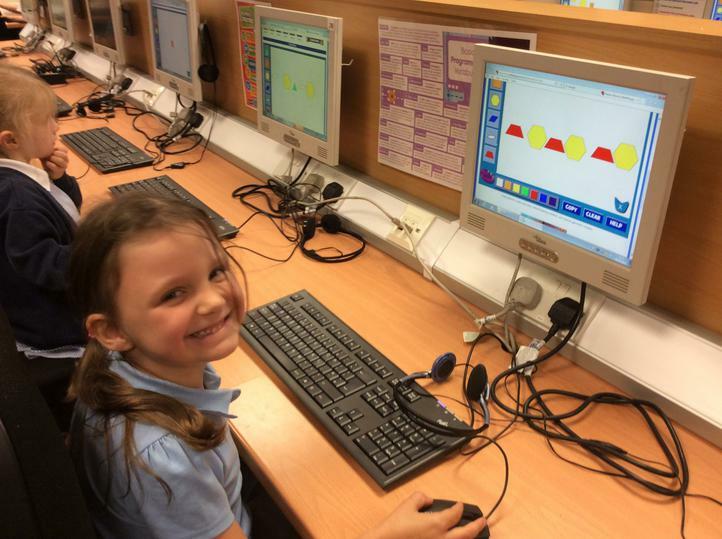 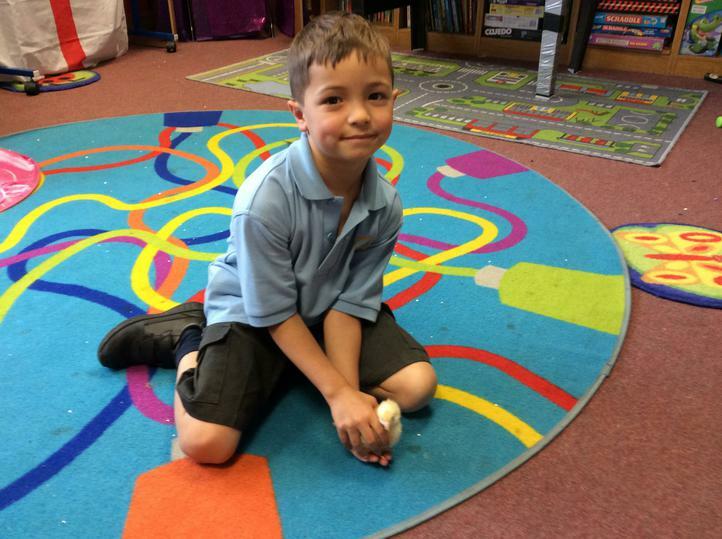 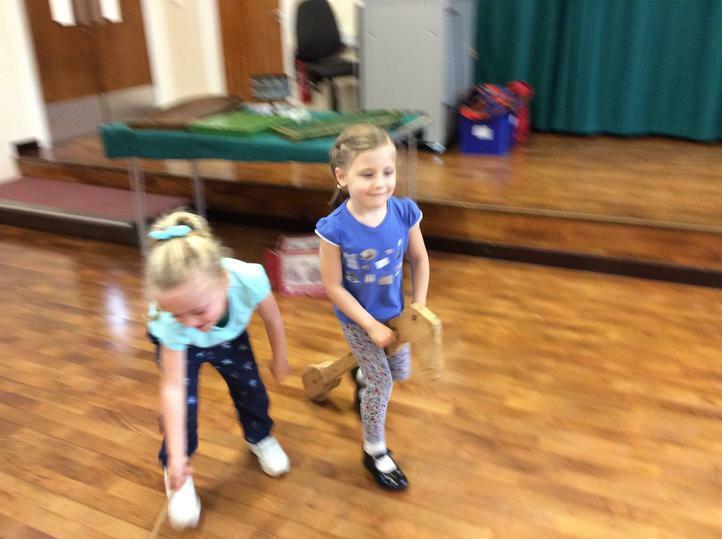 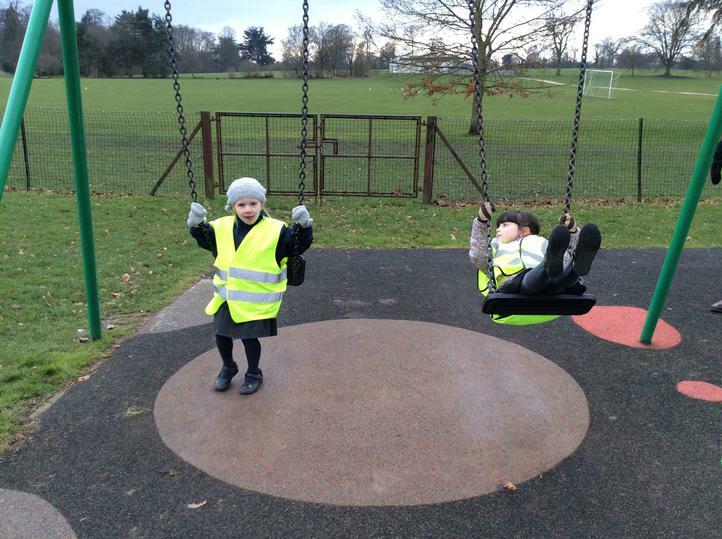 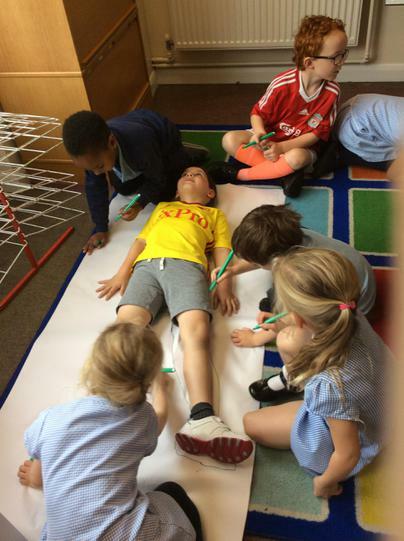 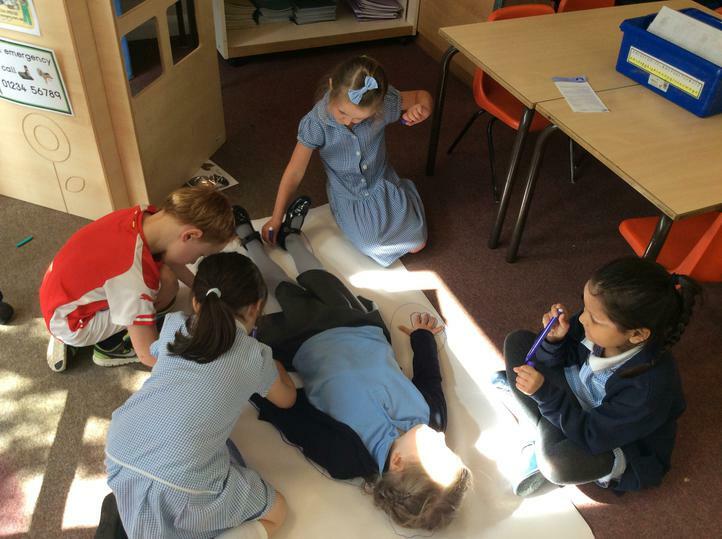 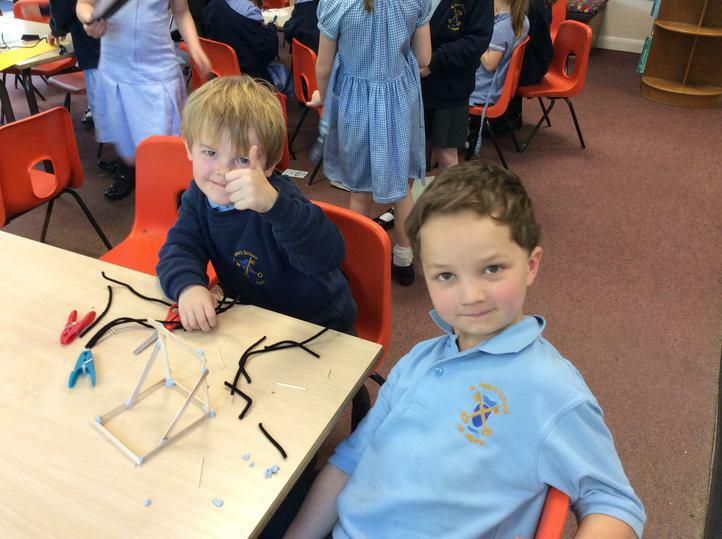 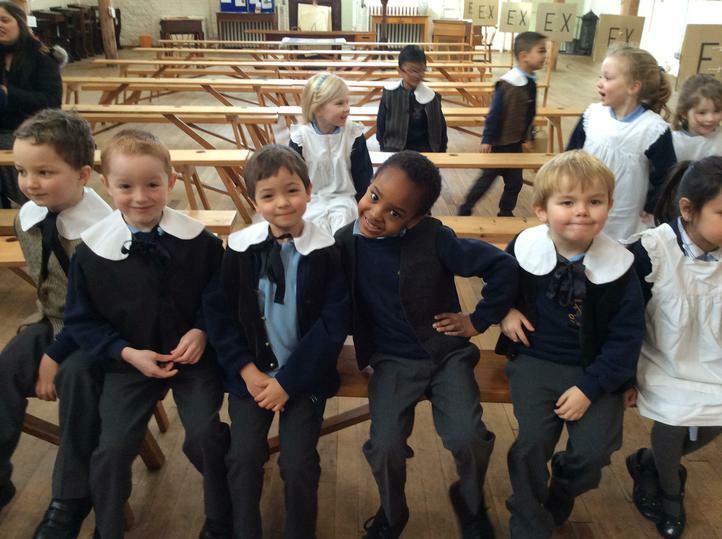 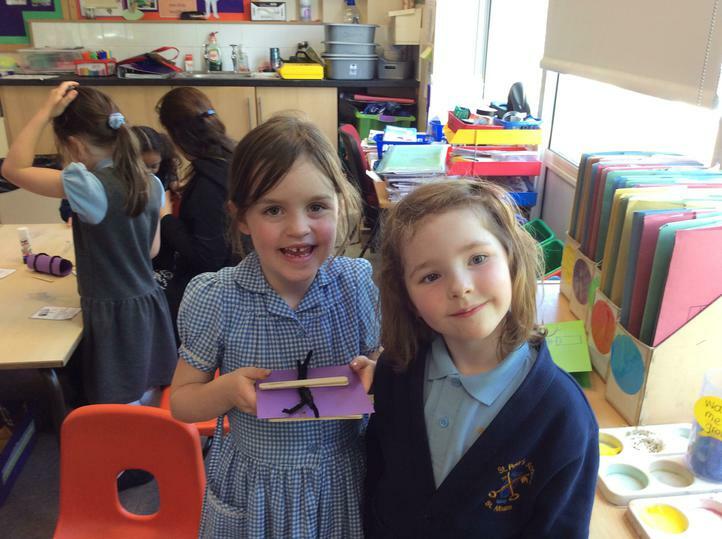 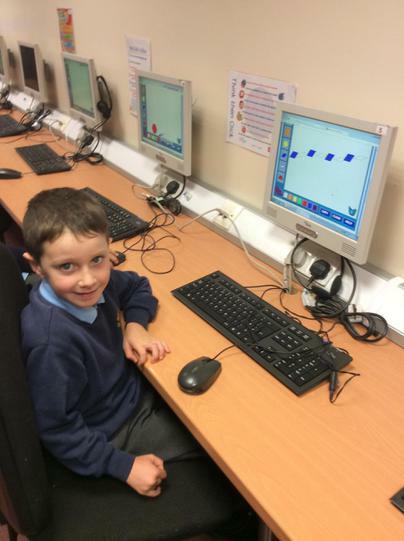 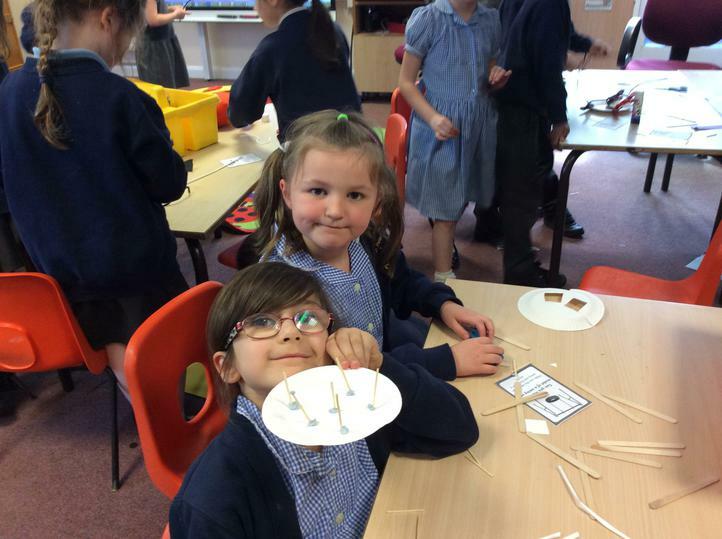 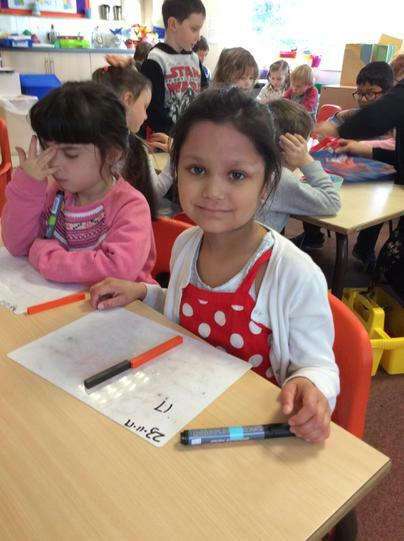 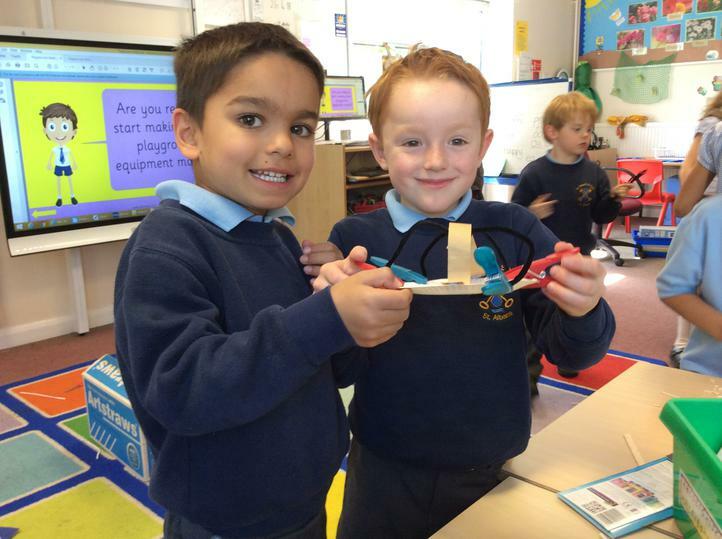 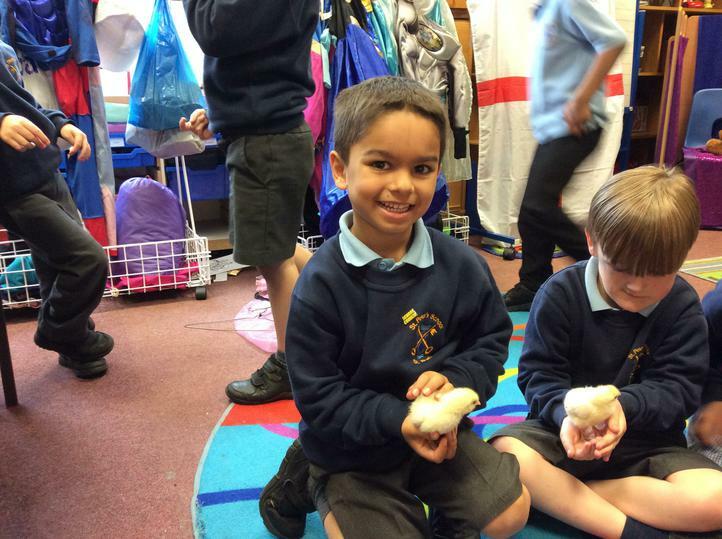 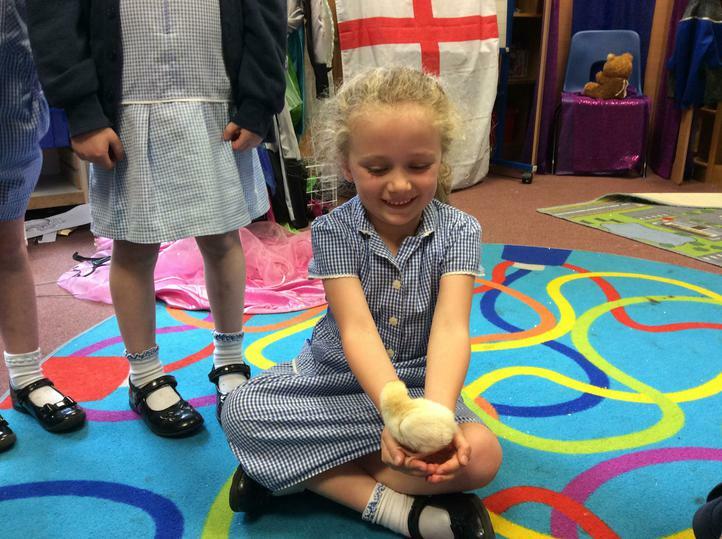 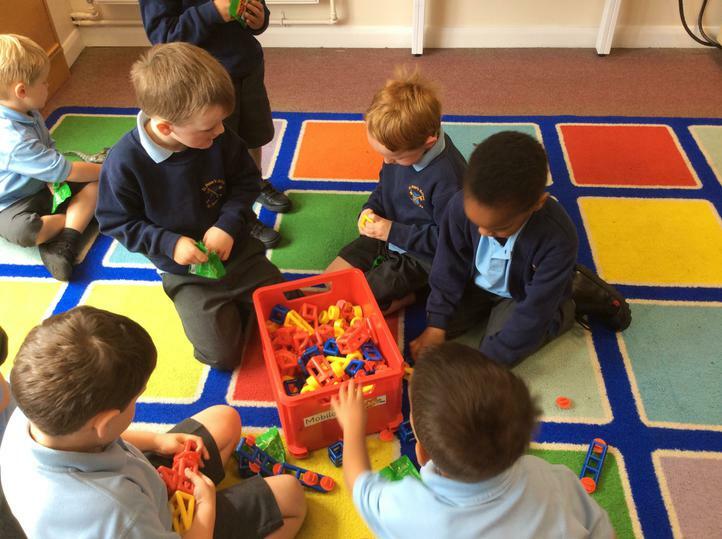 It has been a busy first few days in Year 1 but we have had a lot of fun!